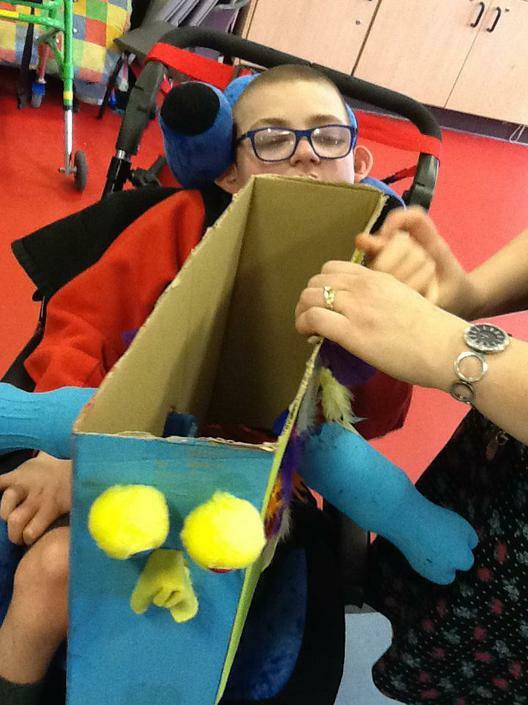 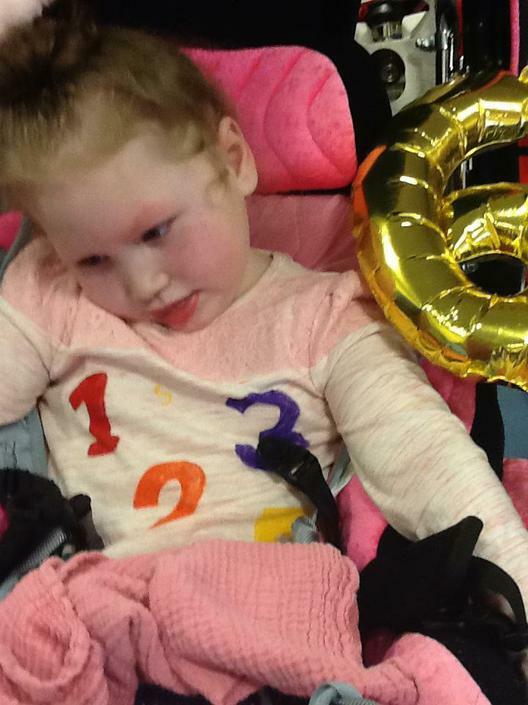 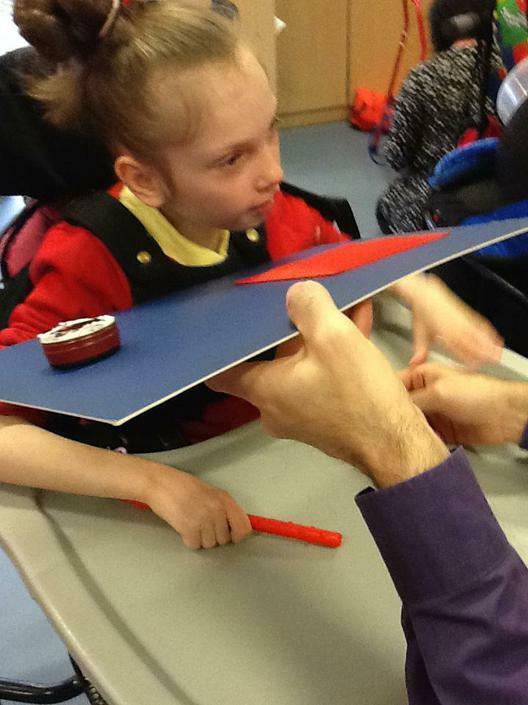 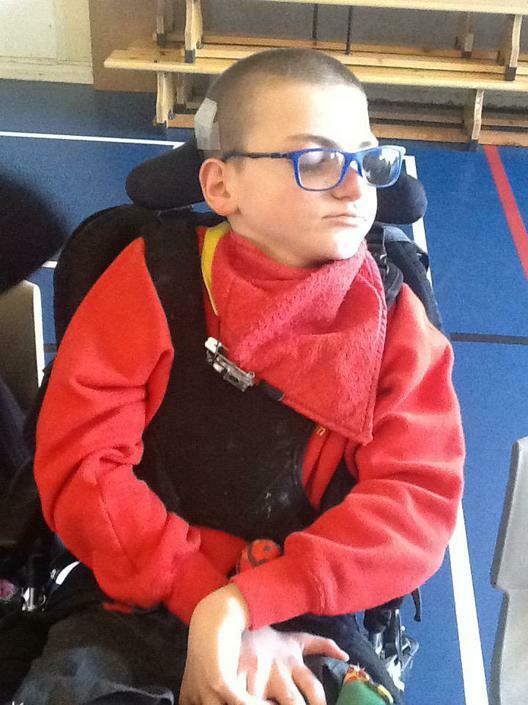 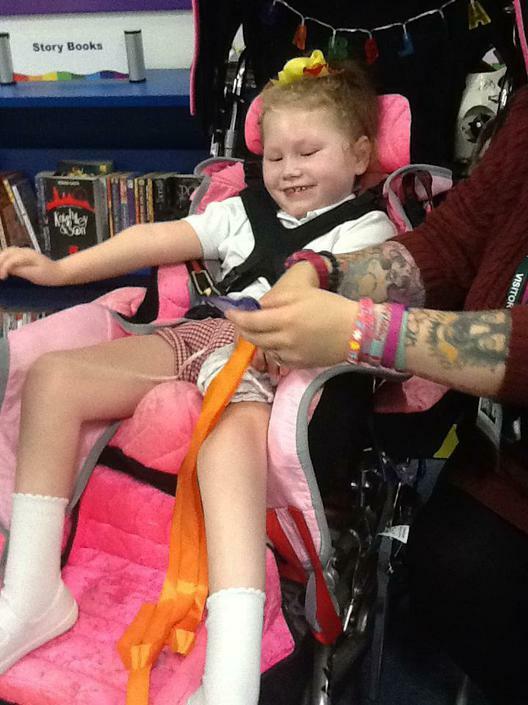 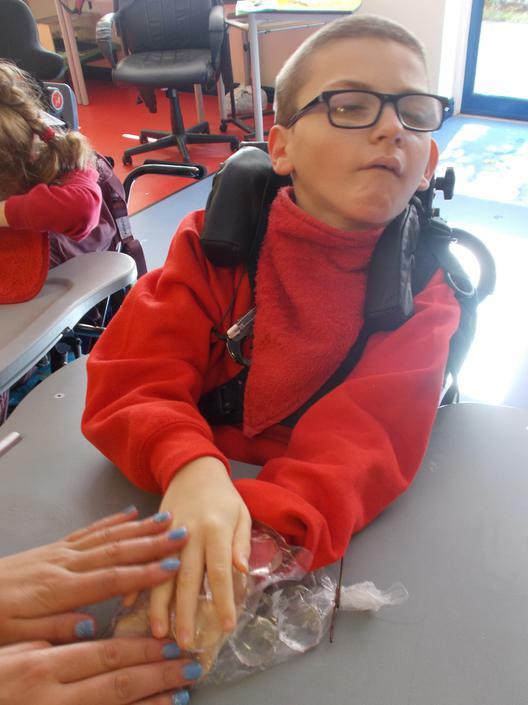 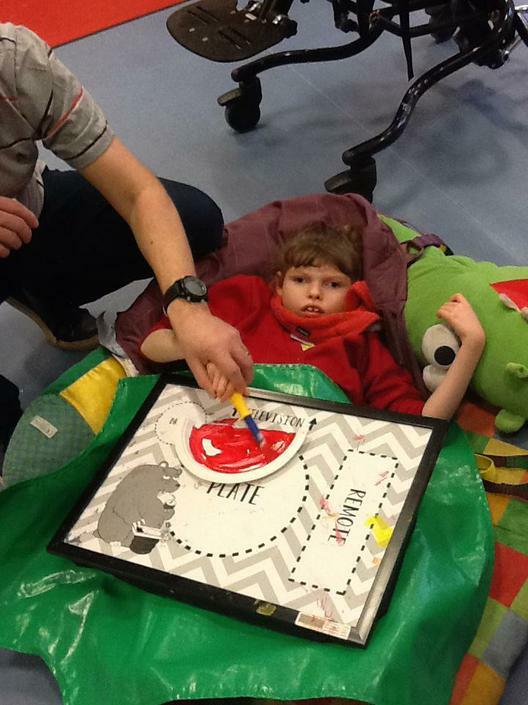 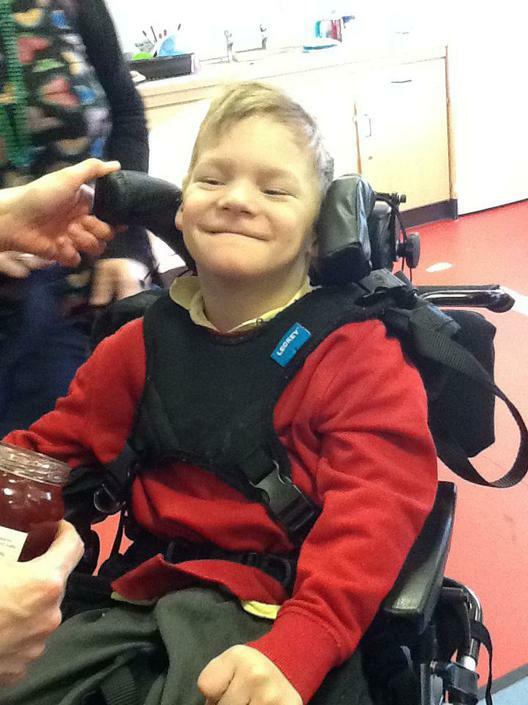 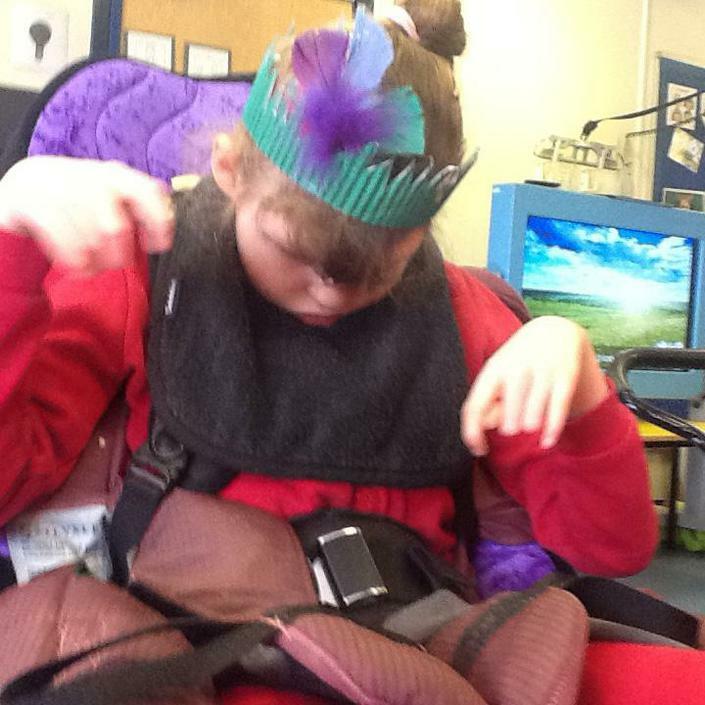 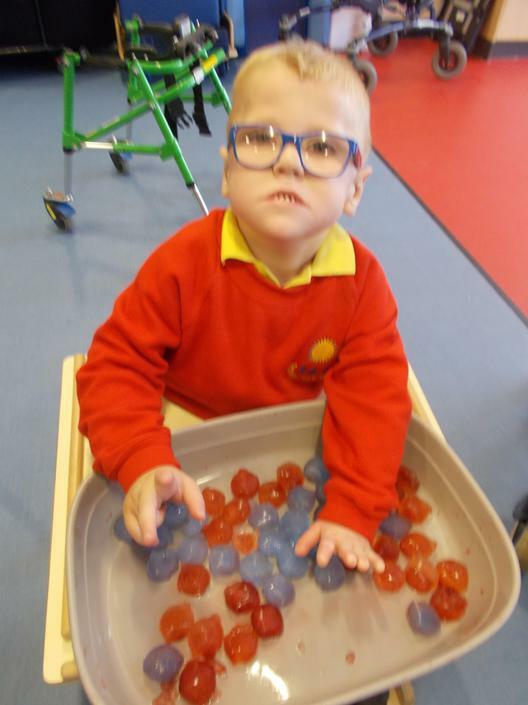 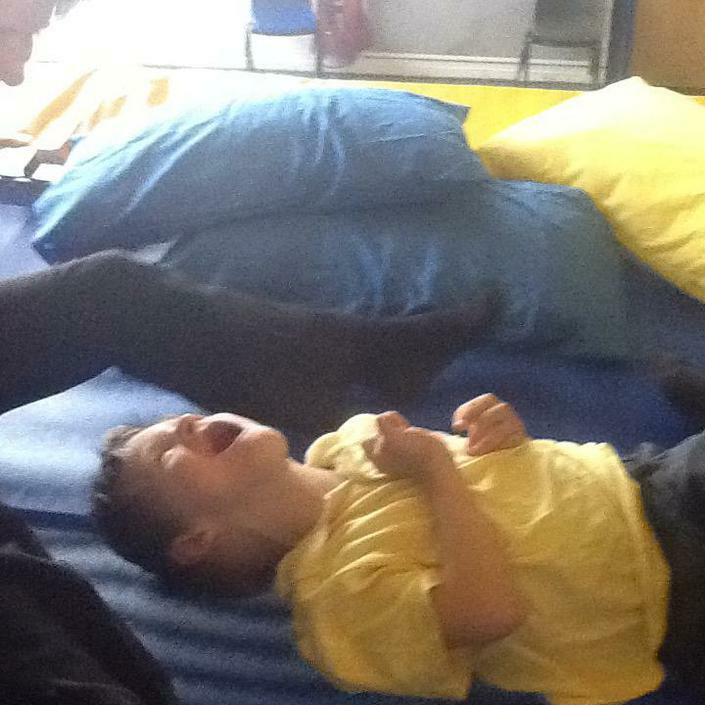 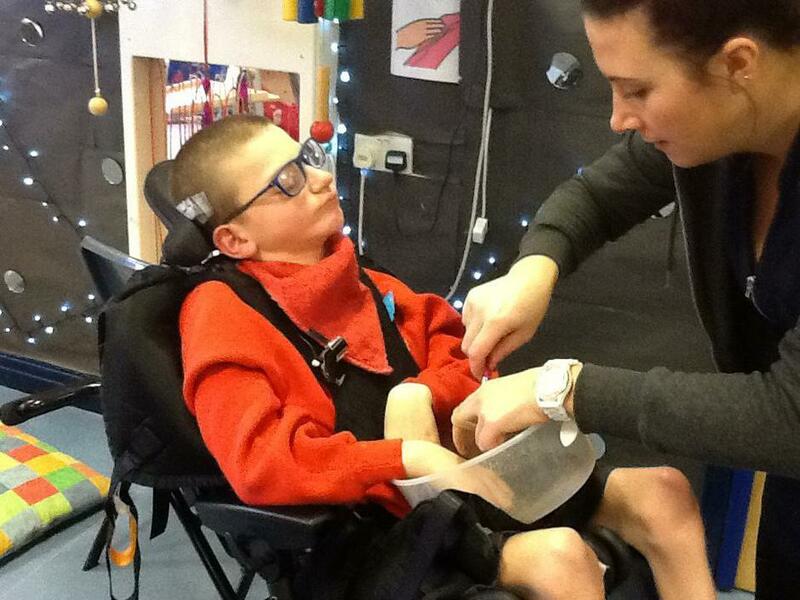 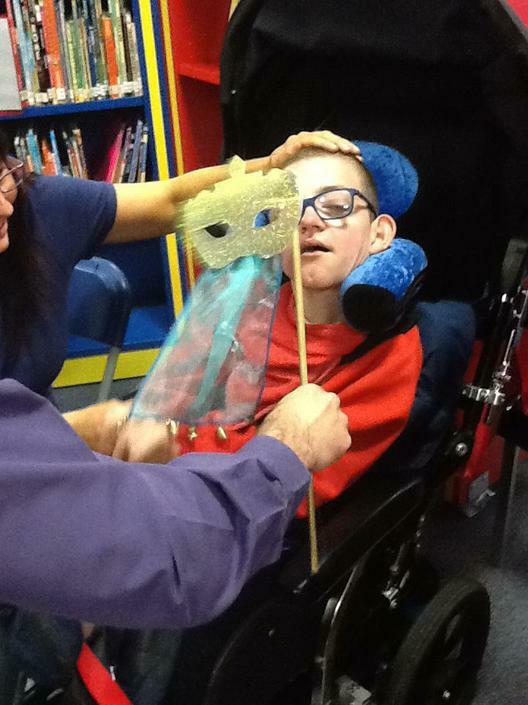 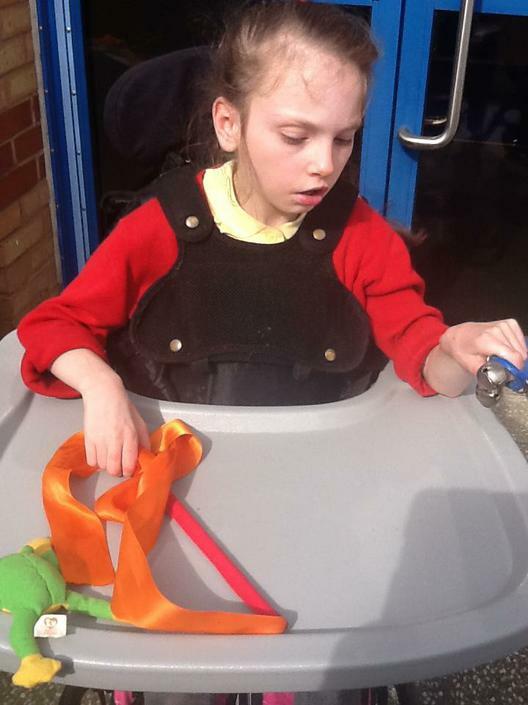 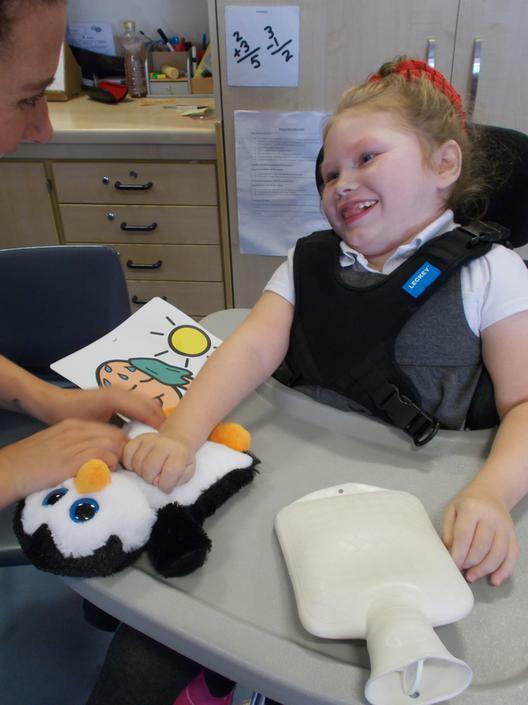 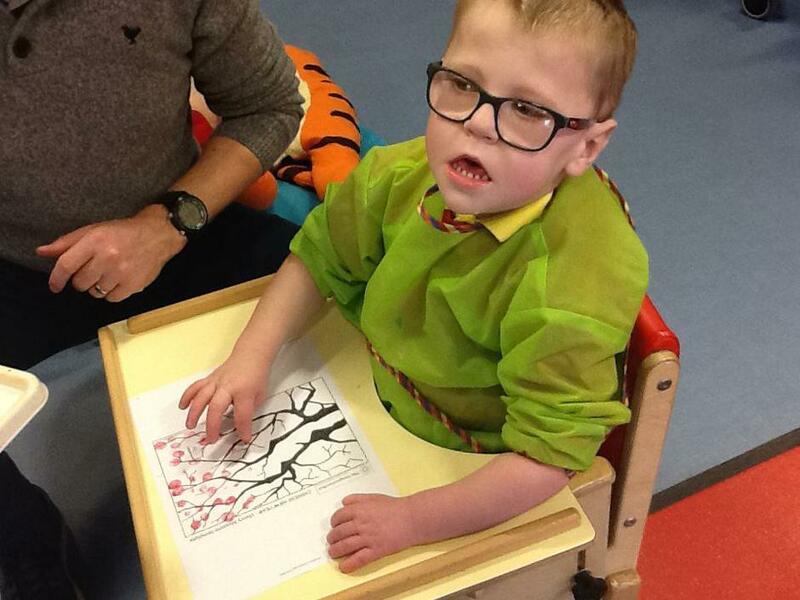 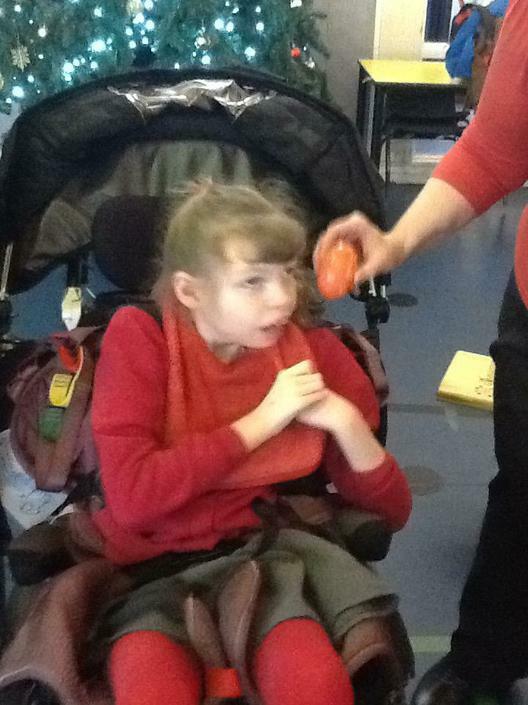 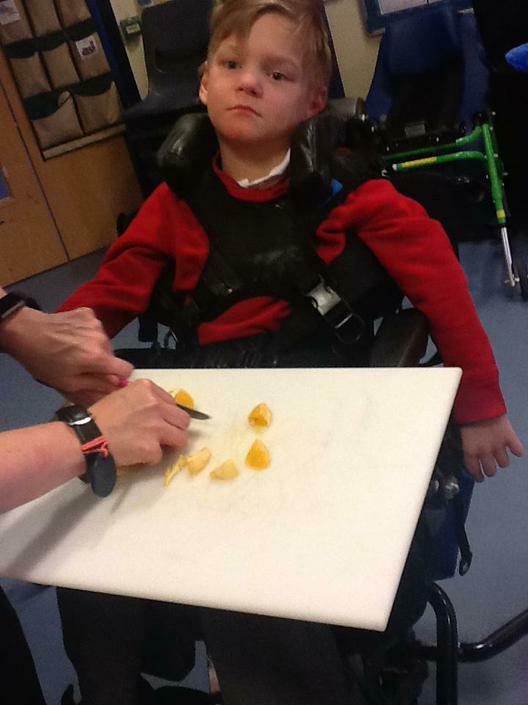 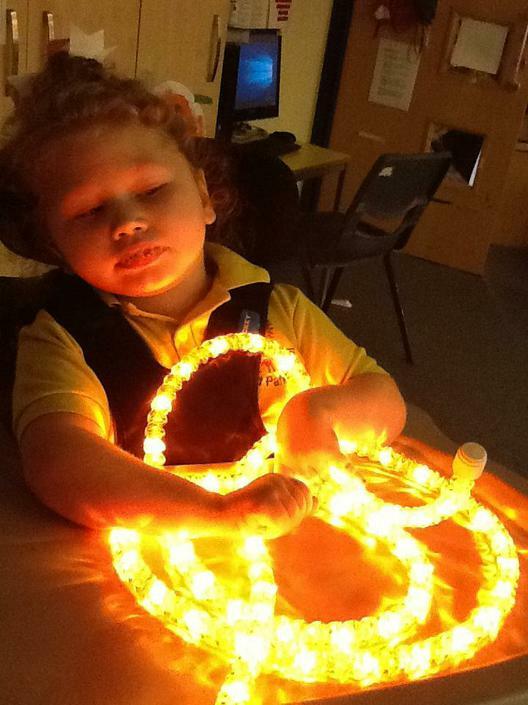 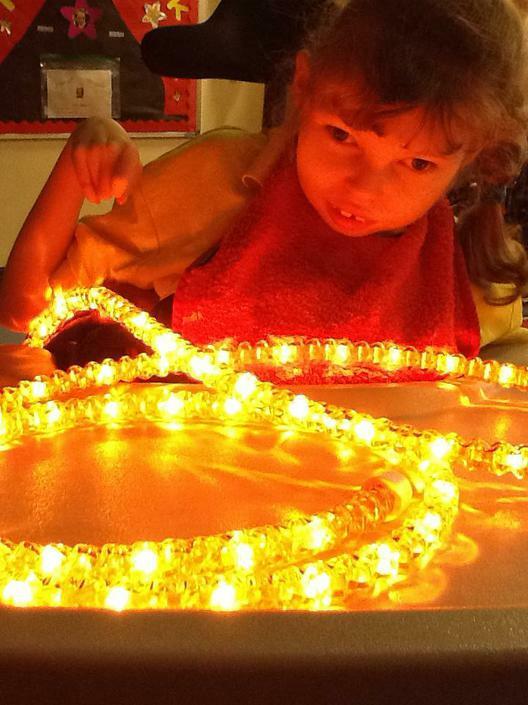 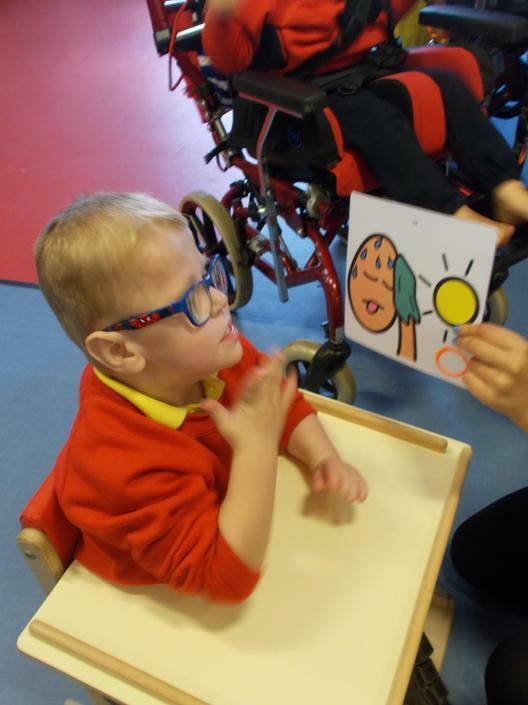 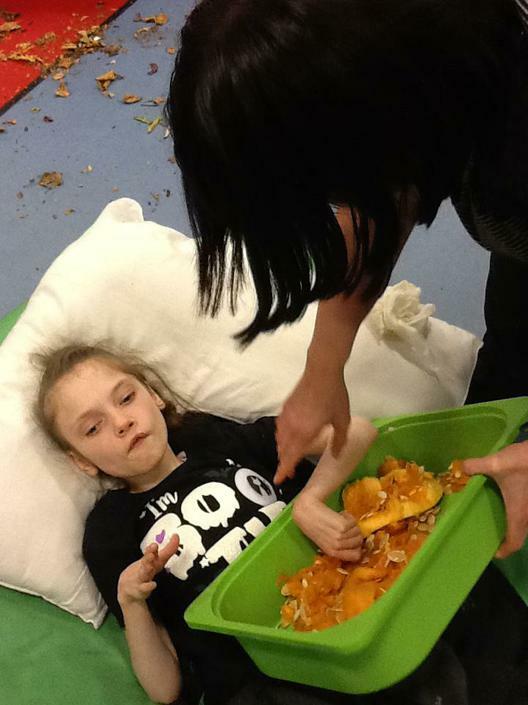 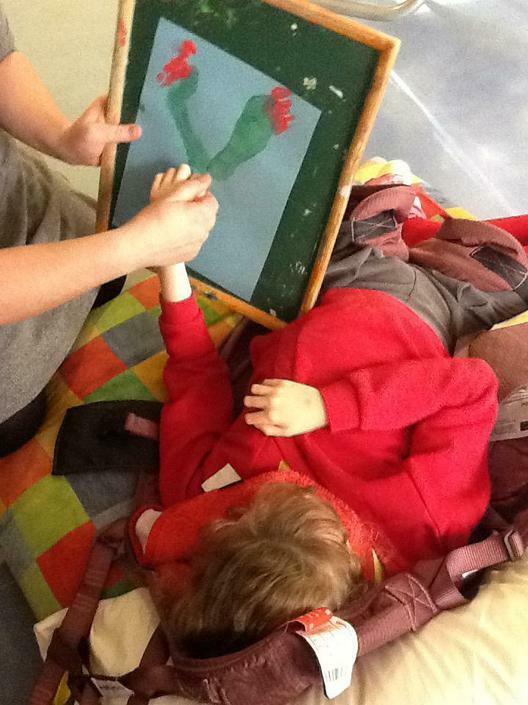 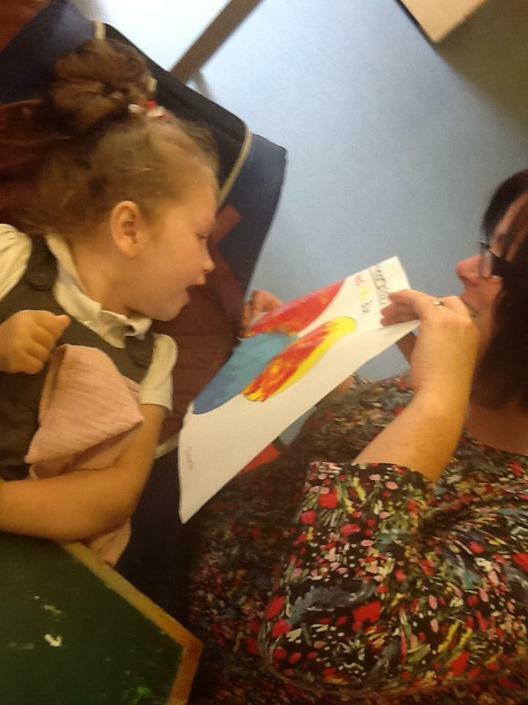 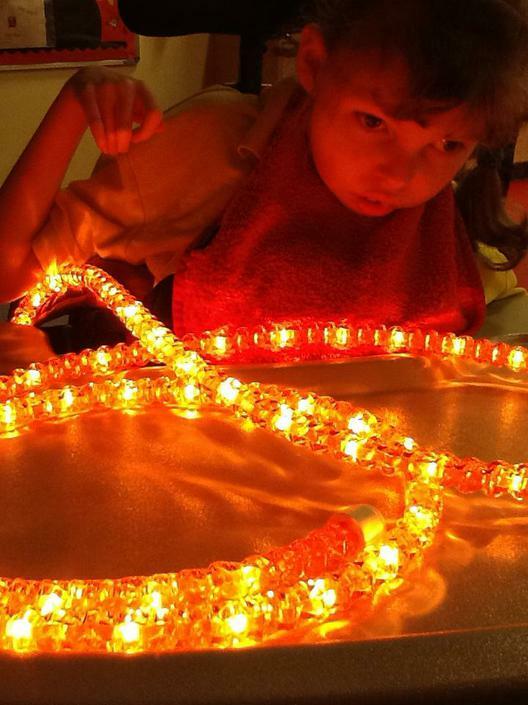 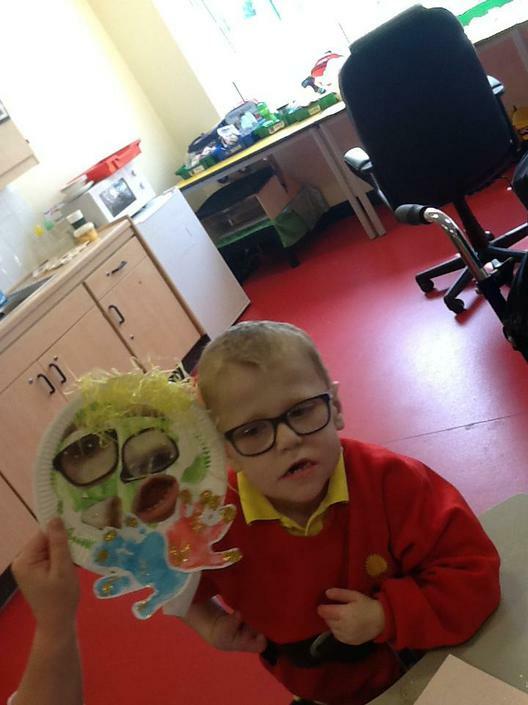 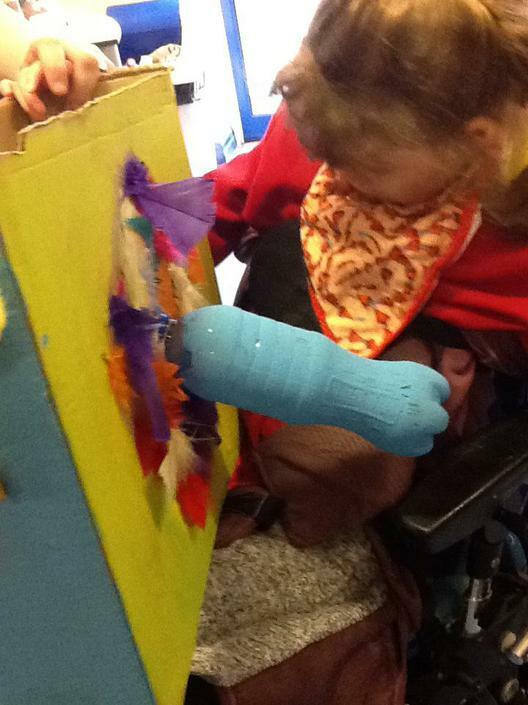 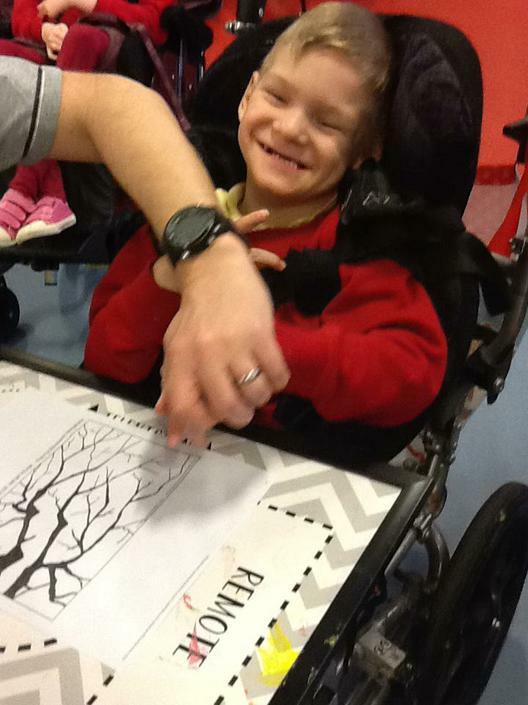 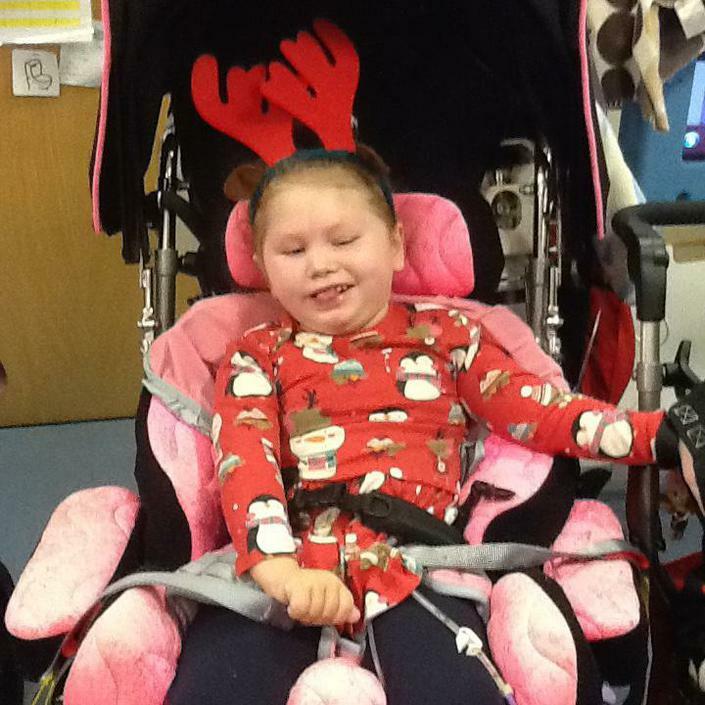 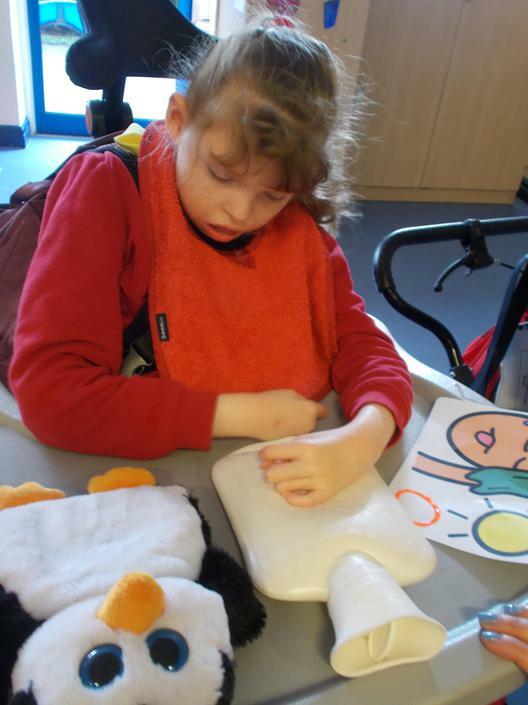 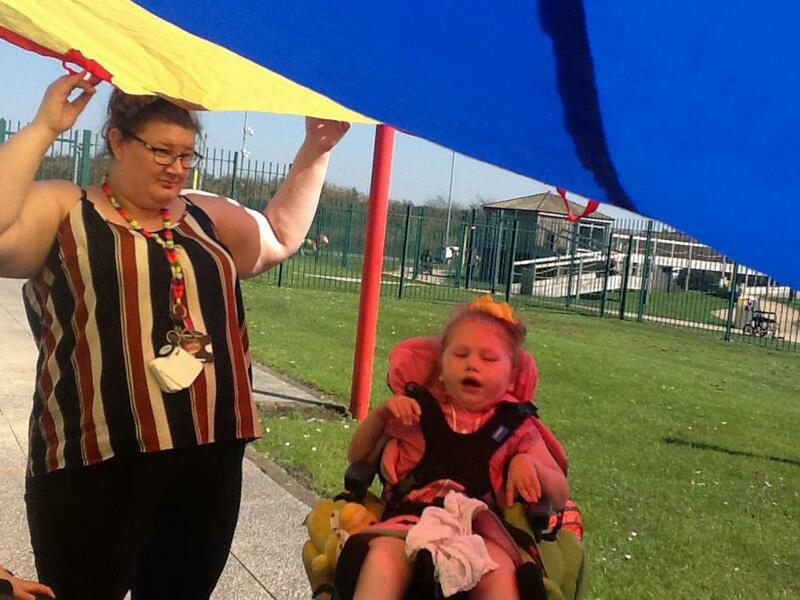 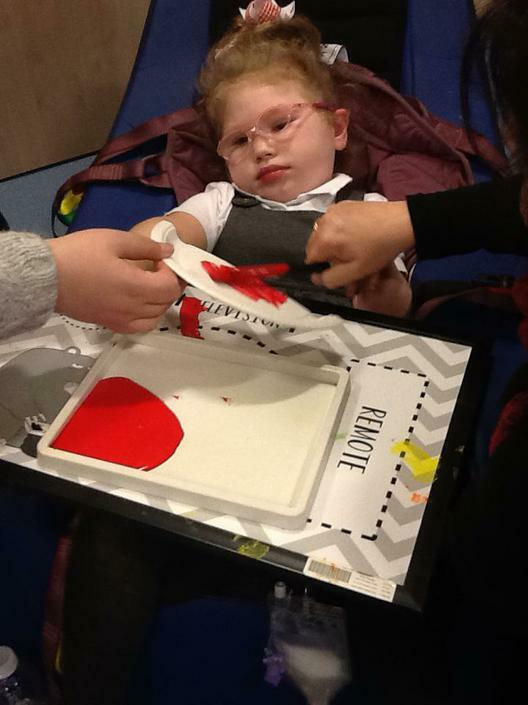 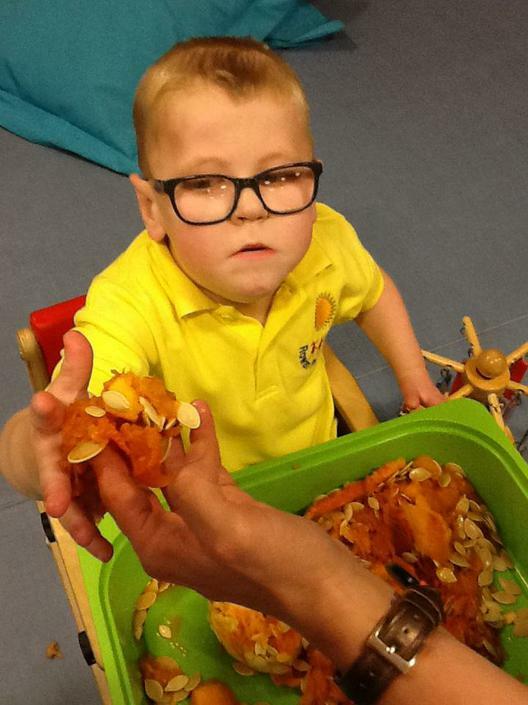 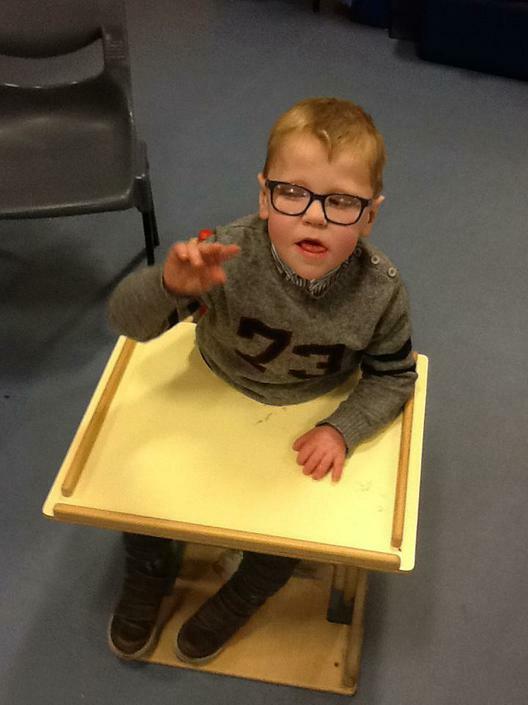 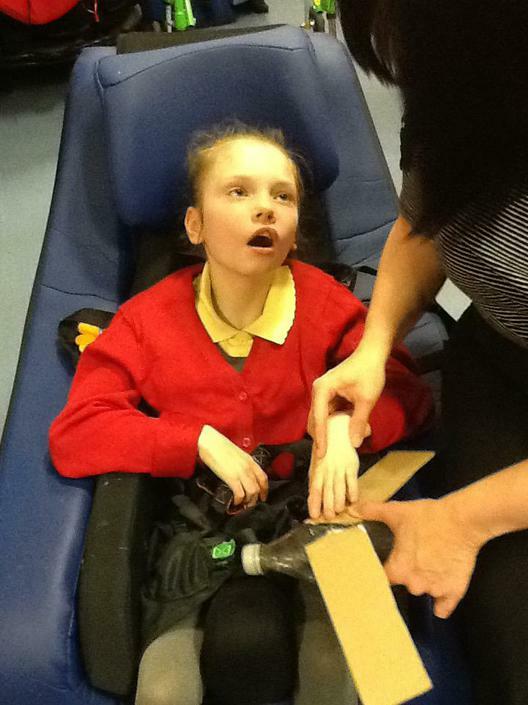 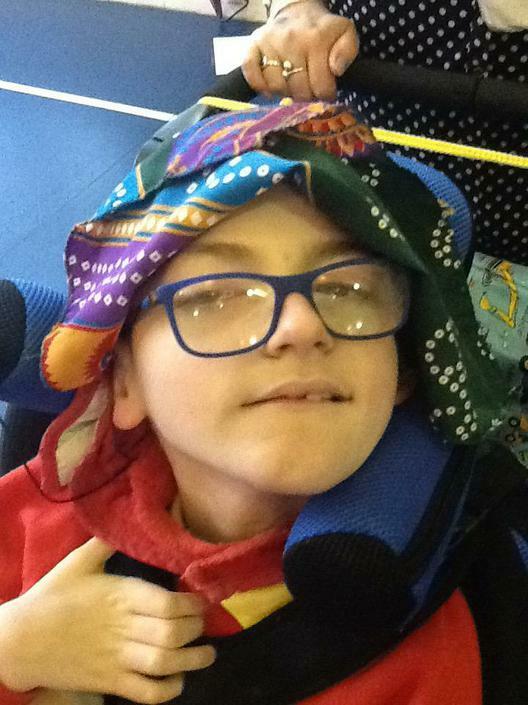 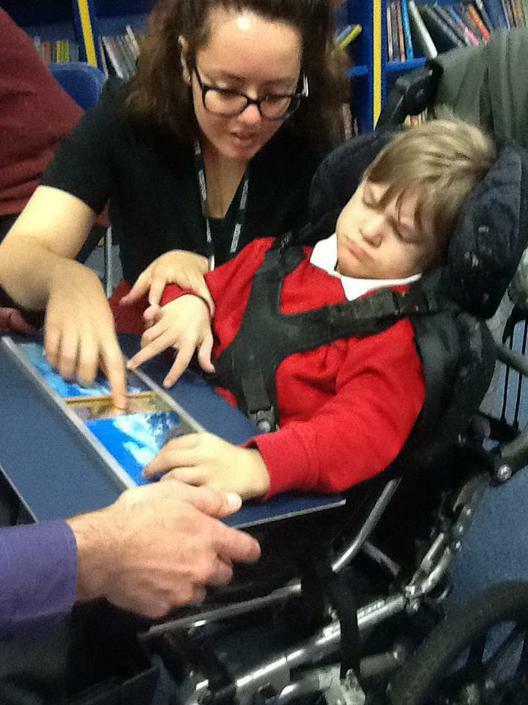 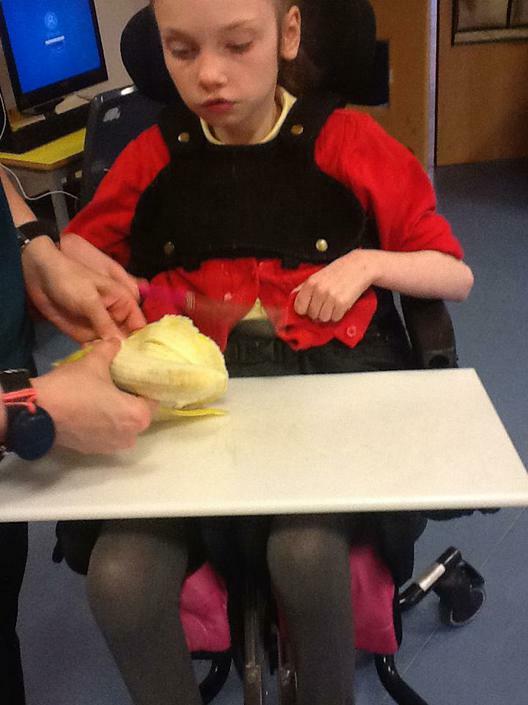 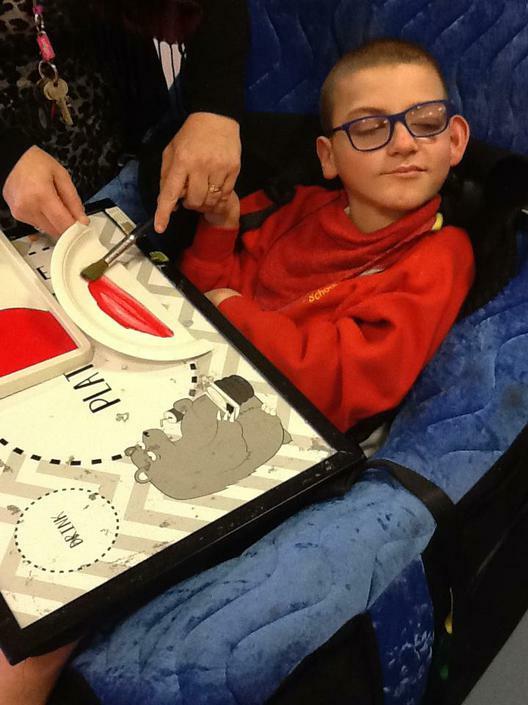 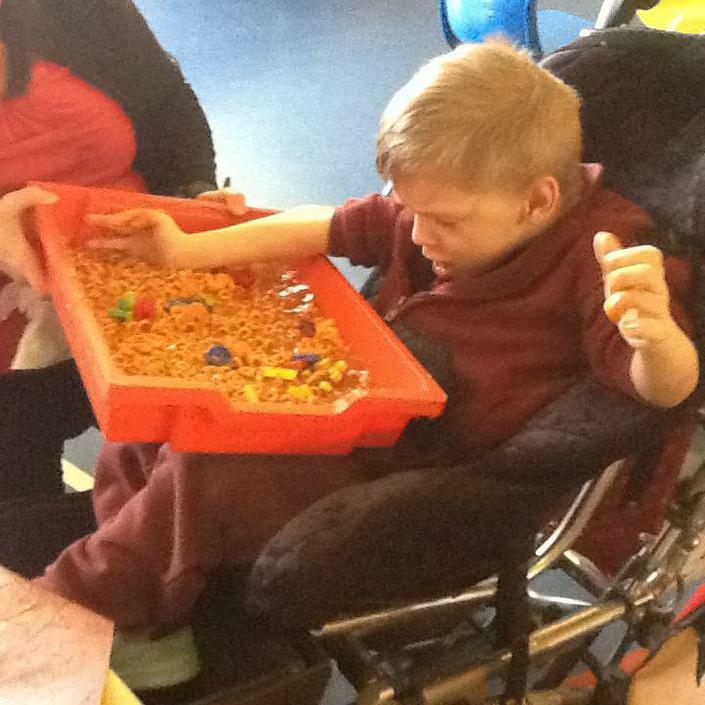 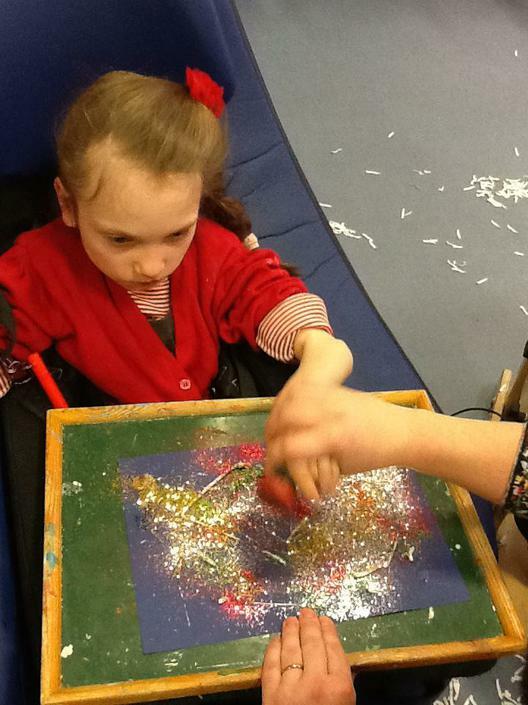 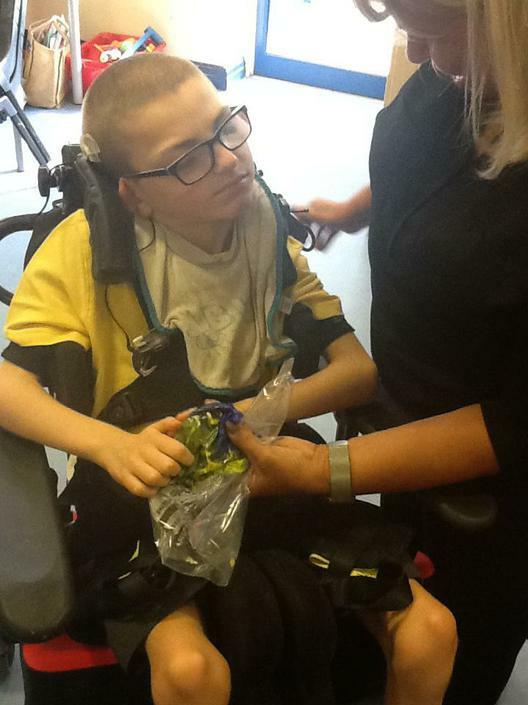 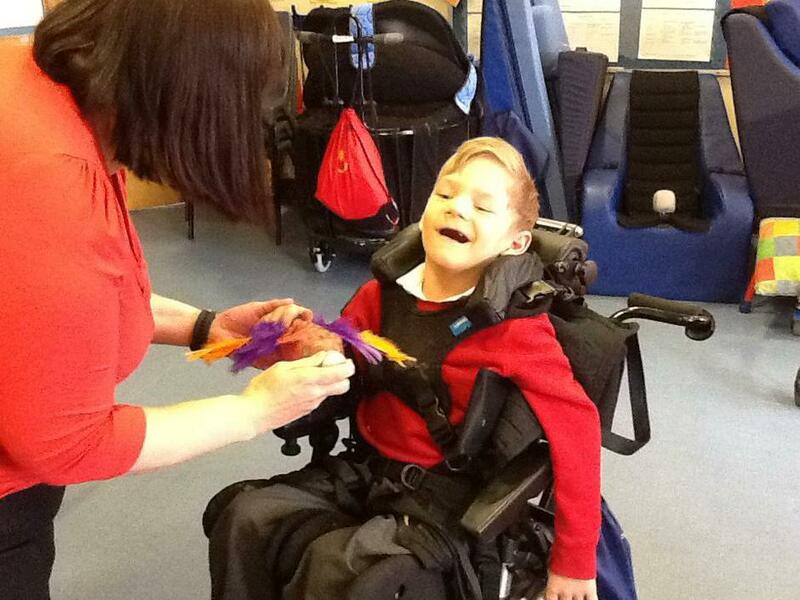 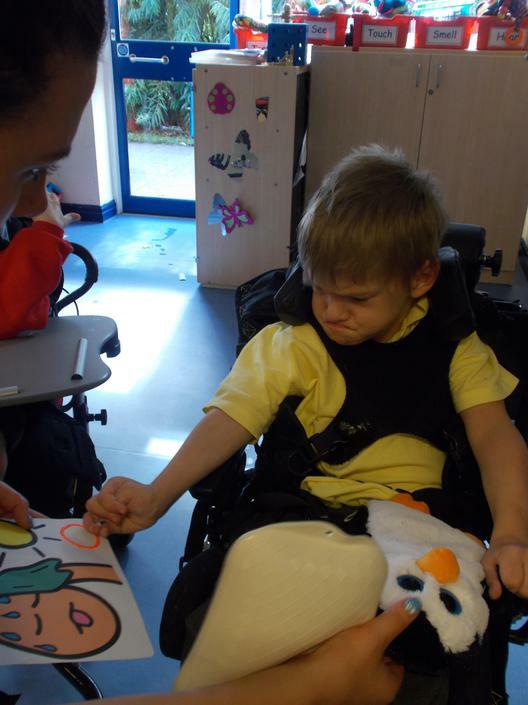 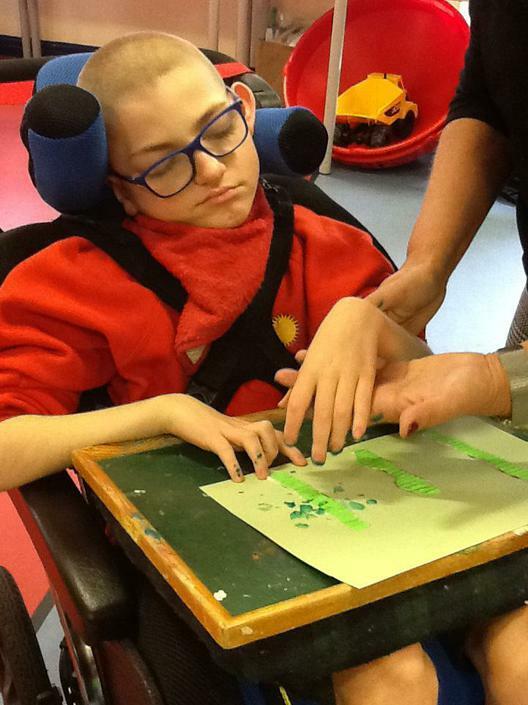 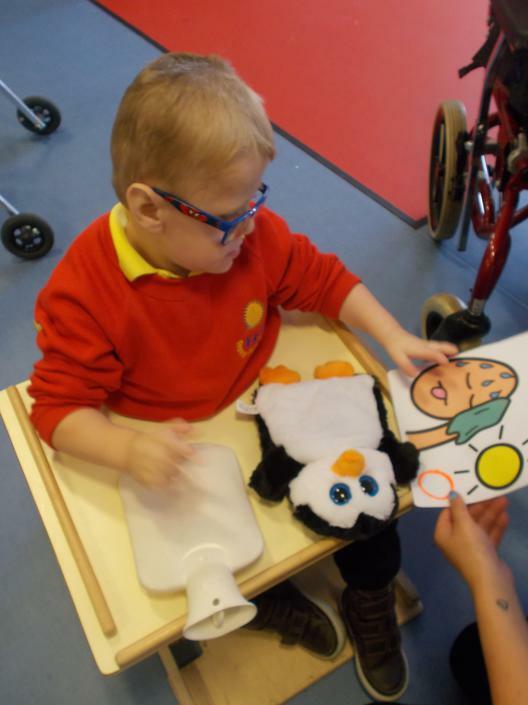 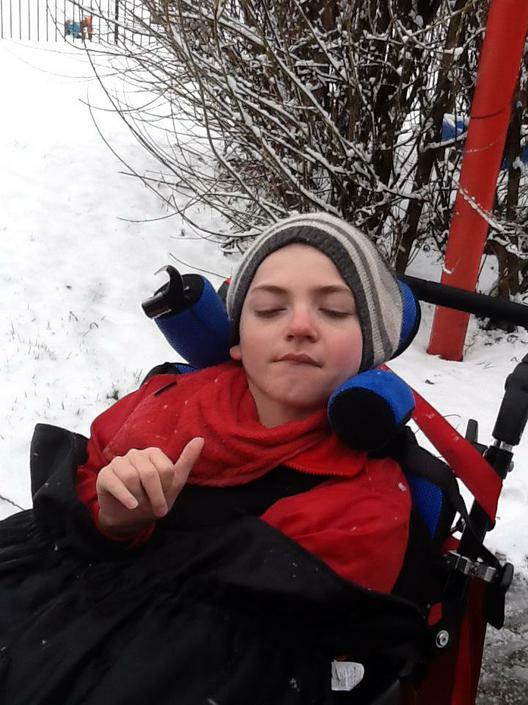 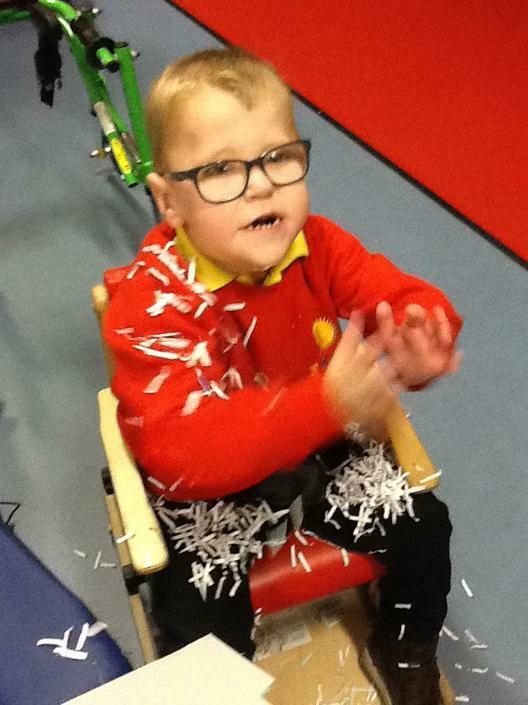 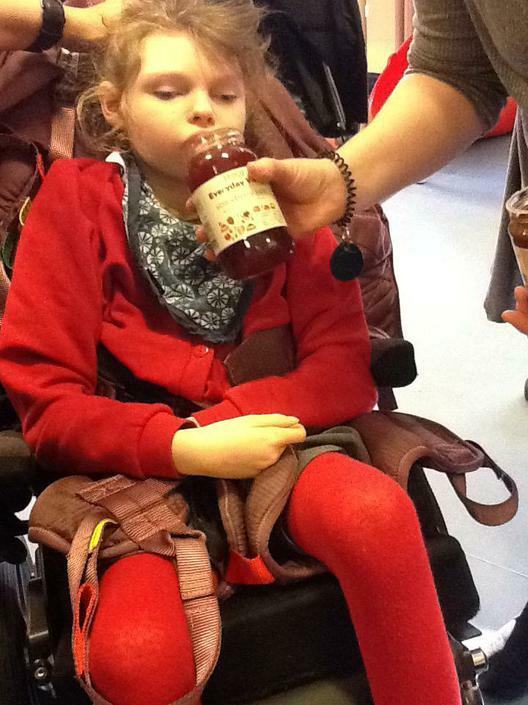 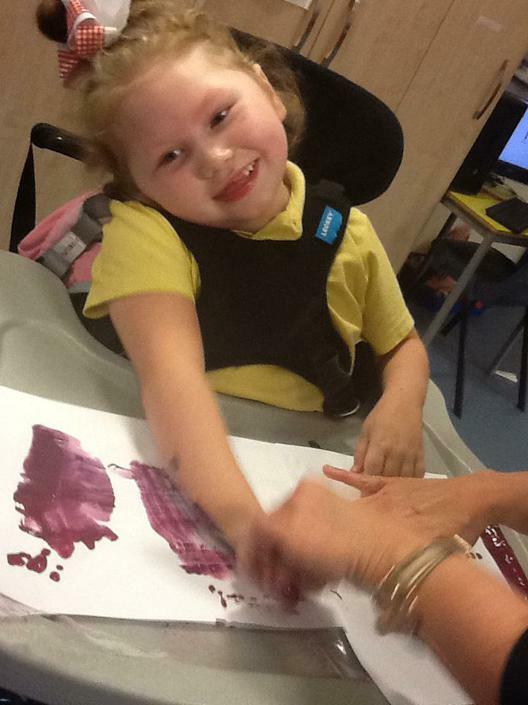 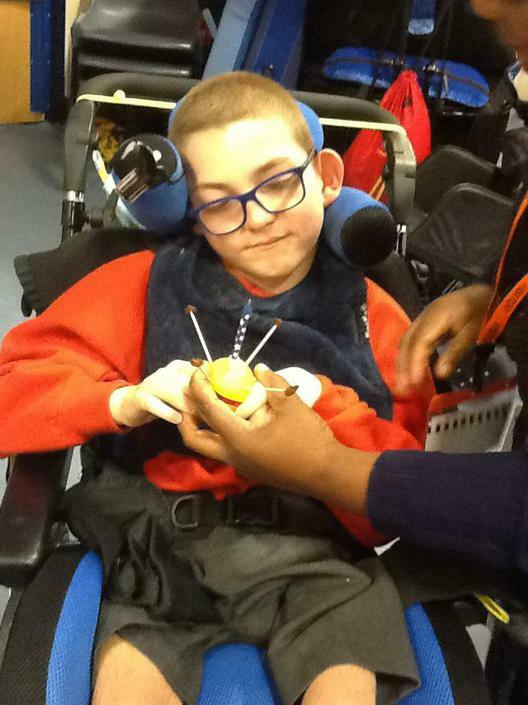 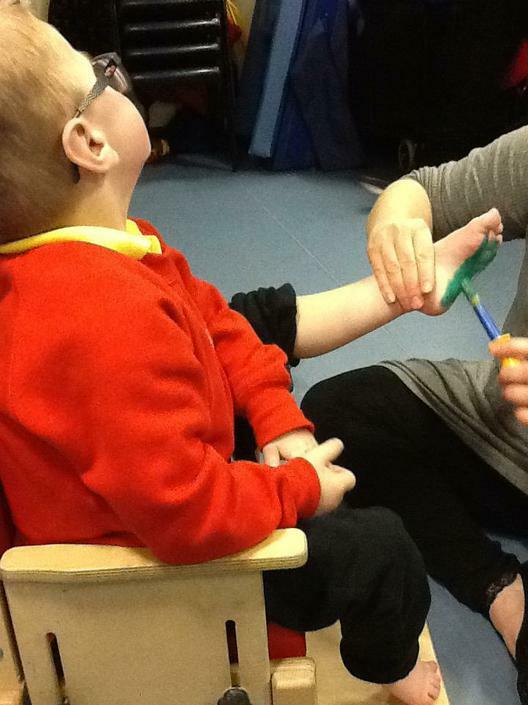 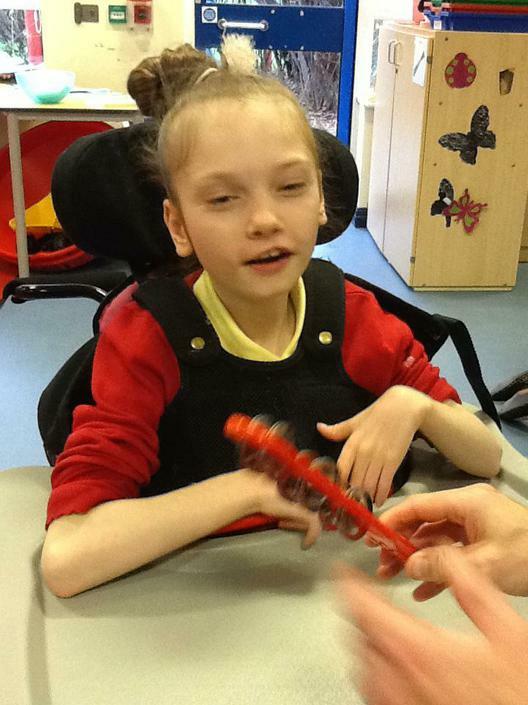 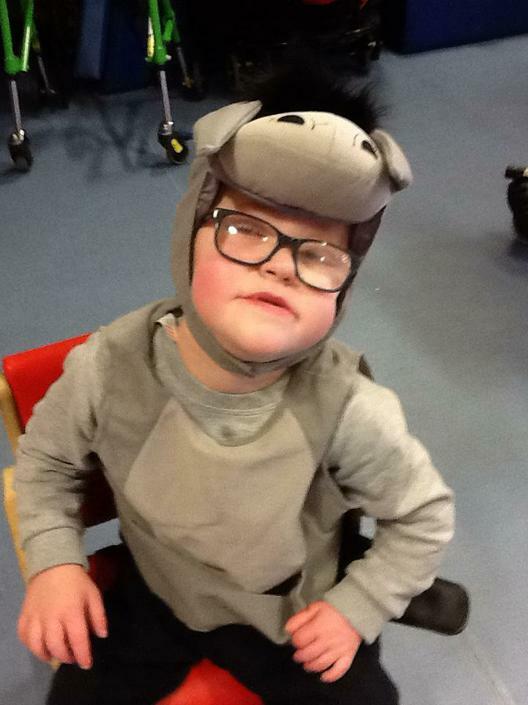 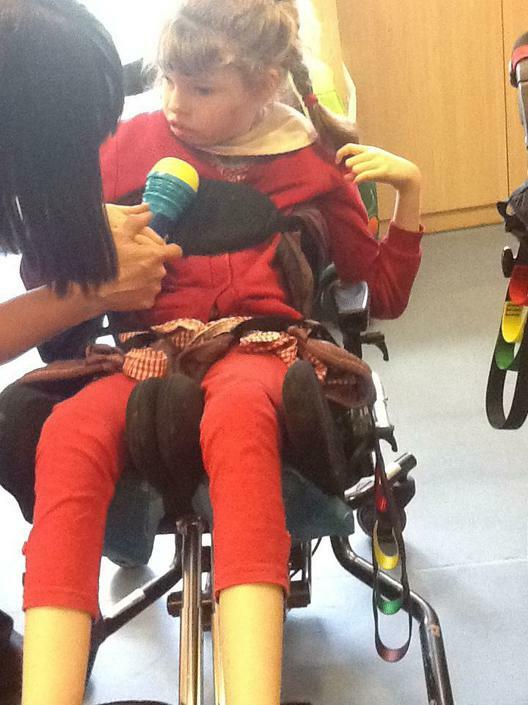 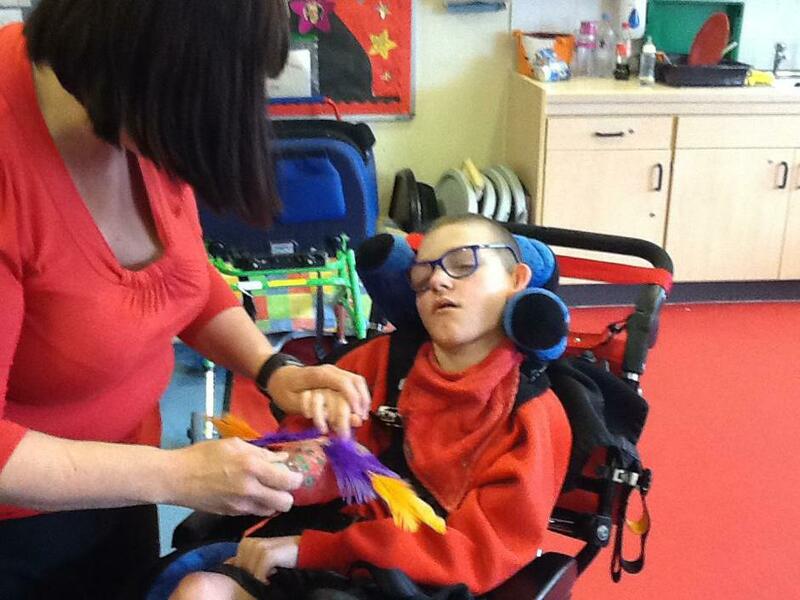 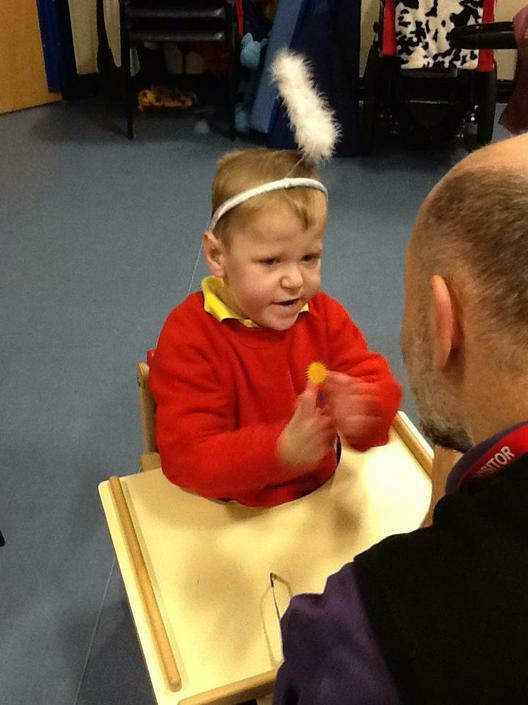 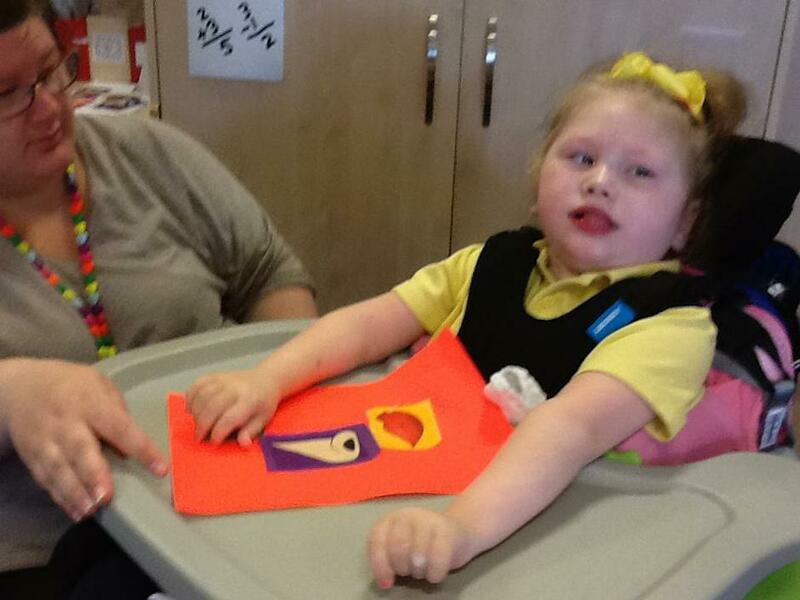 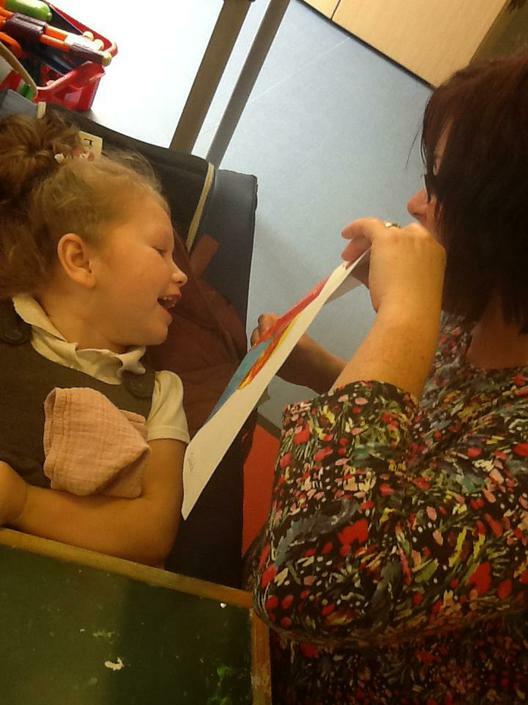 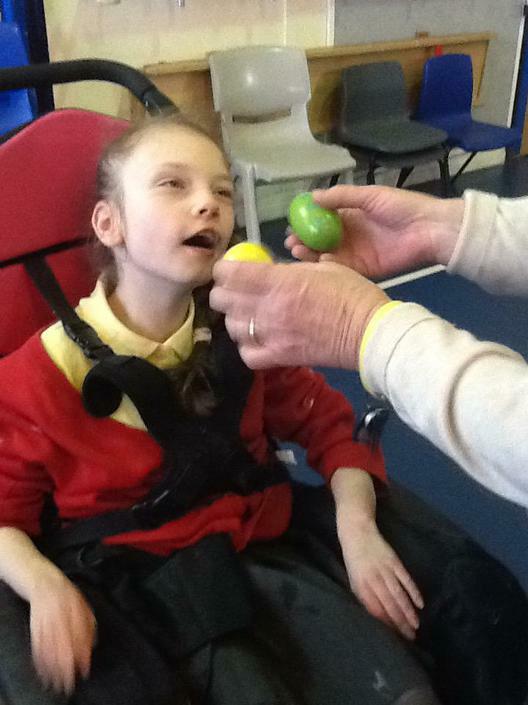 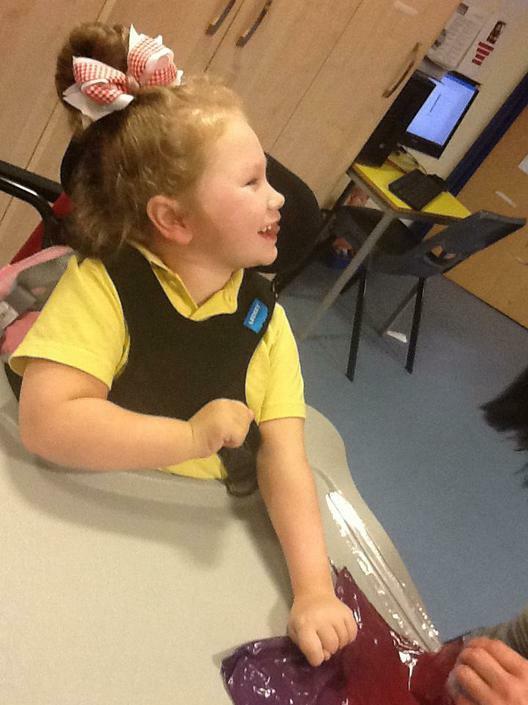 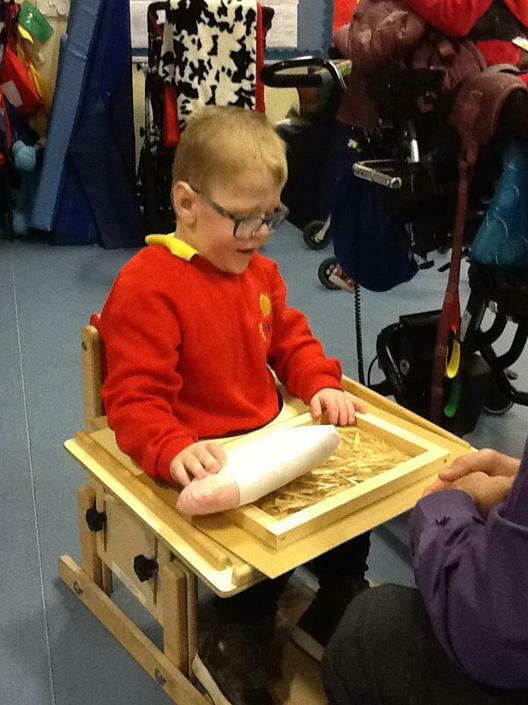 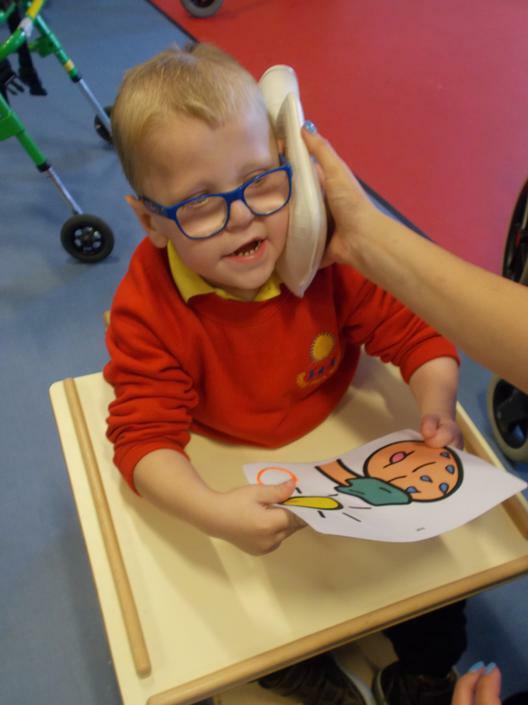 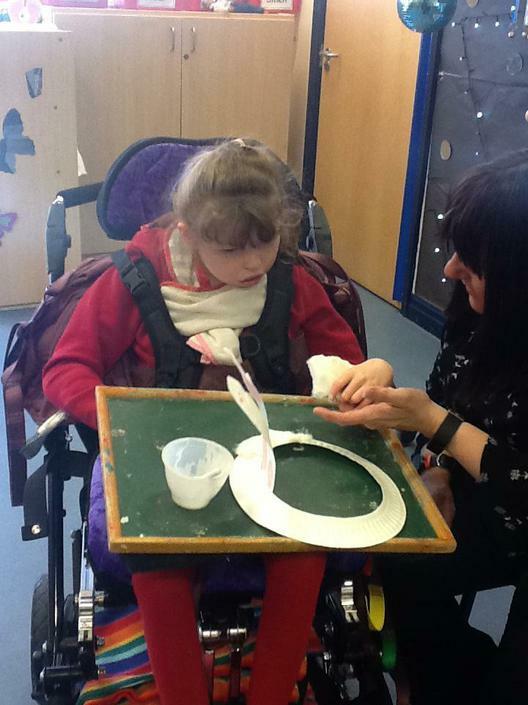 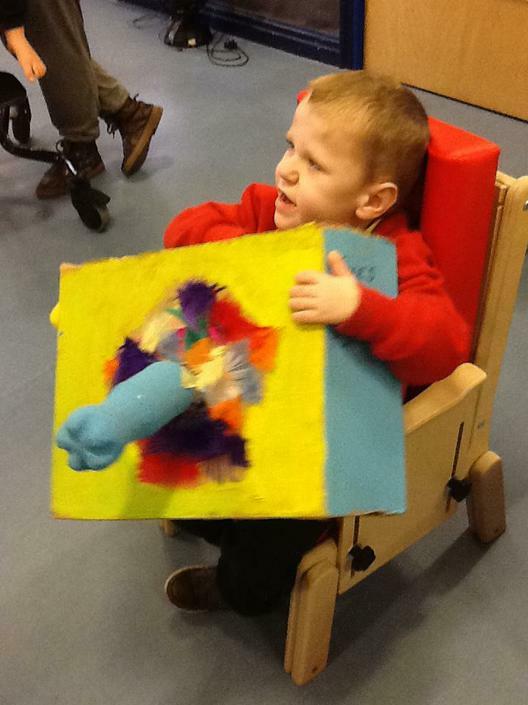 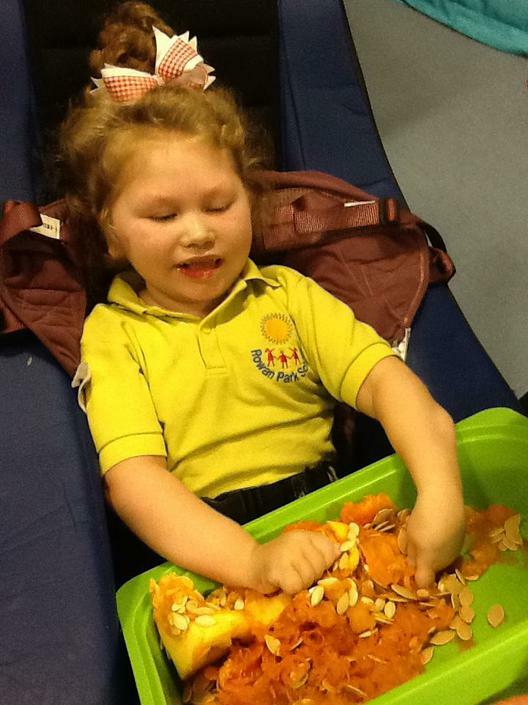 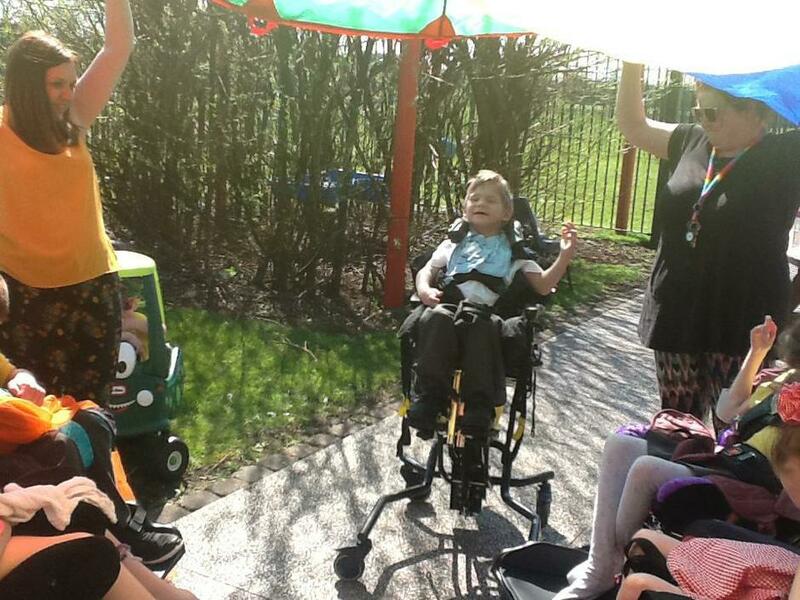 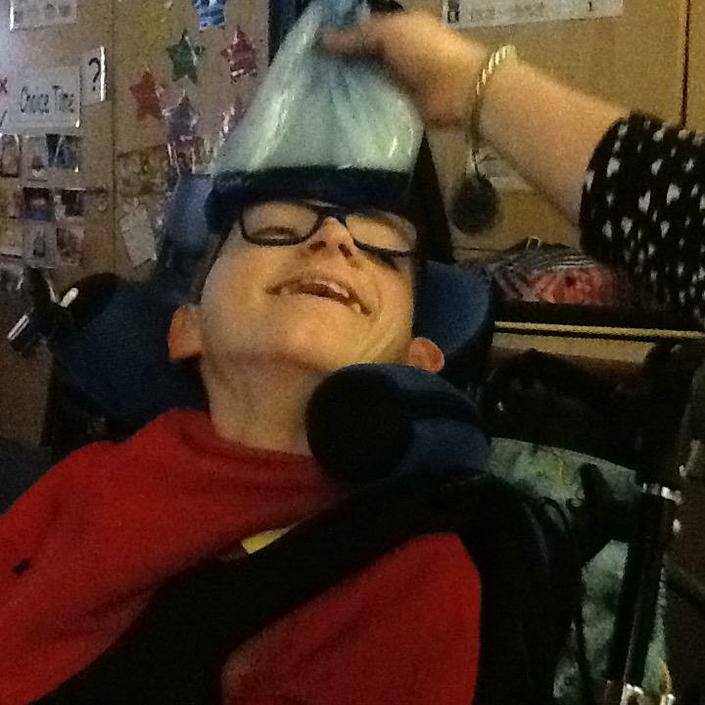 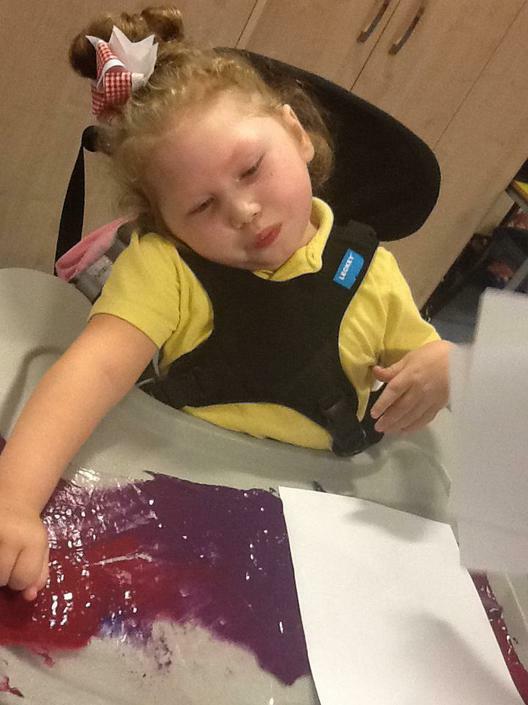 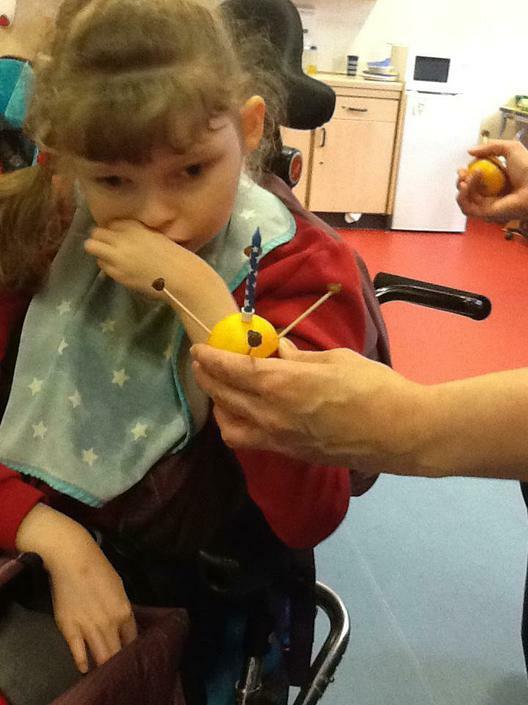 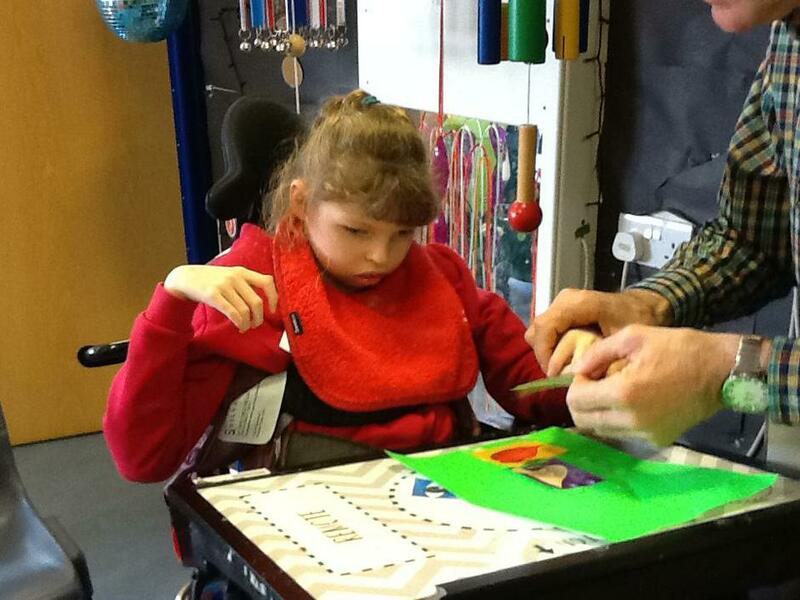 Foxes class is a specialist class for pupils with Multiple Sensory Impairment (MSI), Multiple Disabilities and Visual Impairment (MDVI) and Profound and Multiple Learning Difficulties (PMLD). 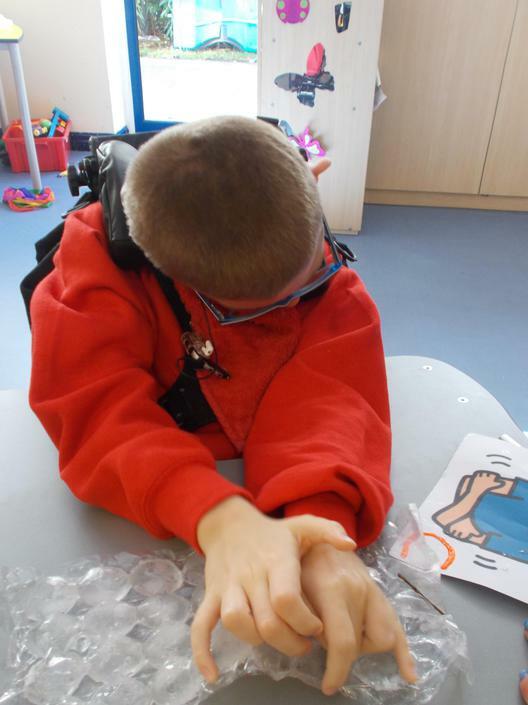 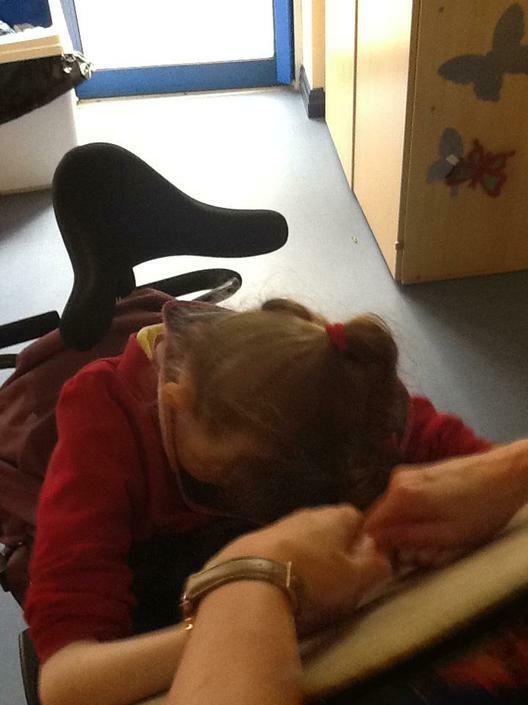 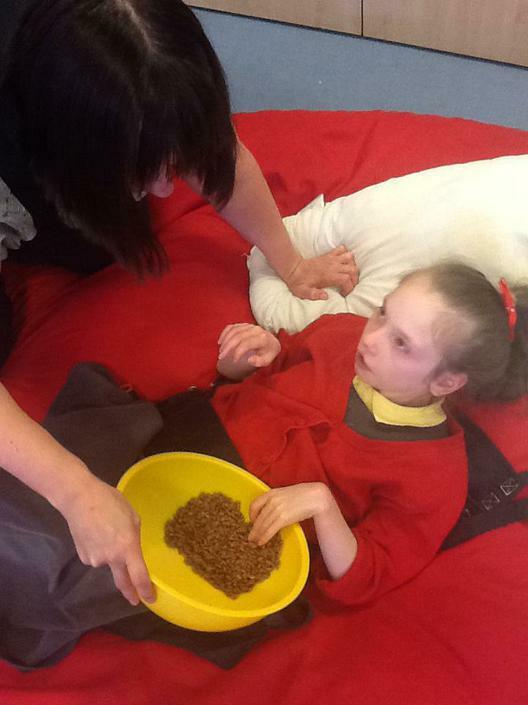 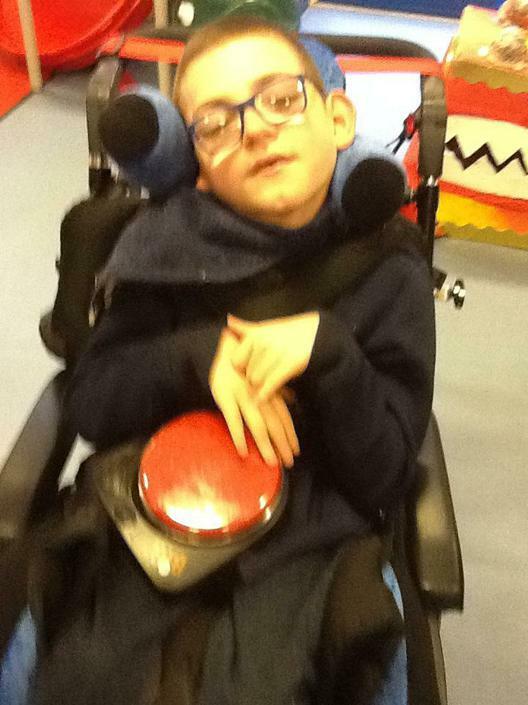 We are taught by a qualified Teacher for multi sensory impairment (QTMSI) and three teaching assistants who support us throughout the school day. 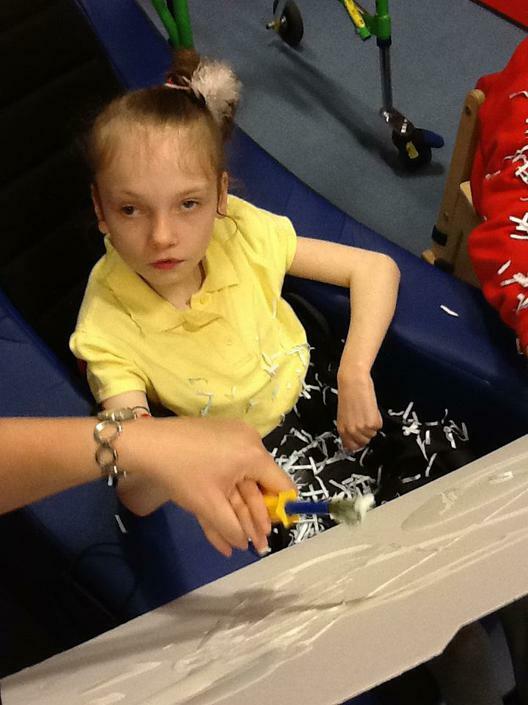 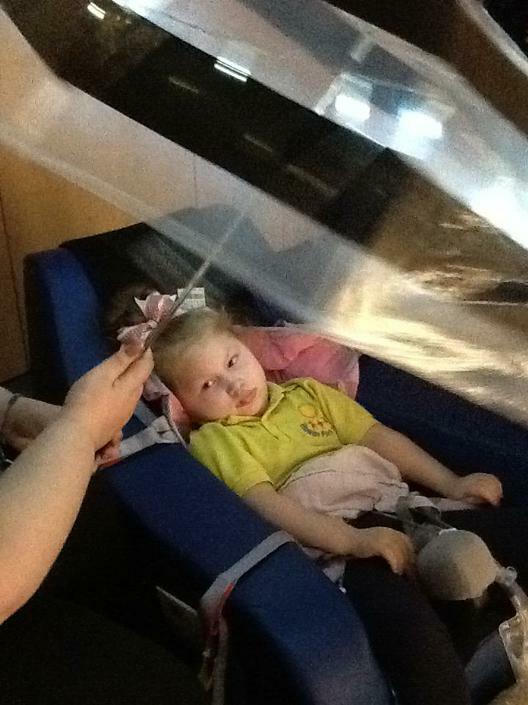 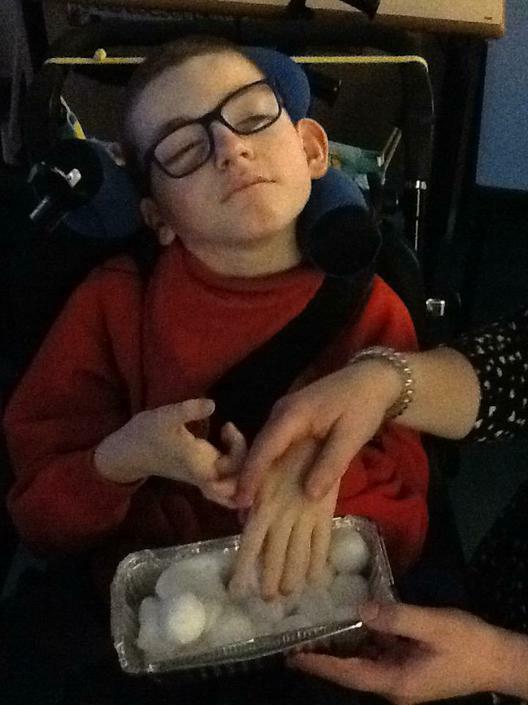 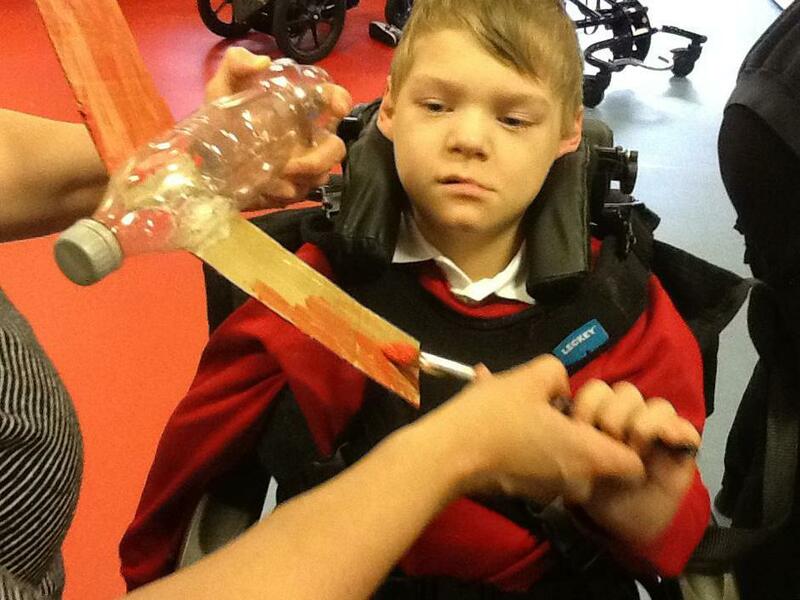 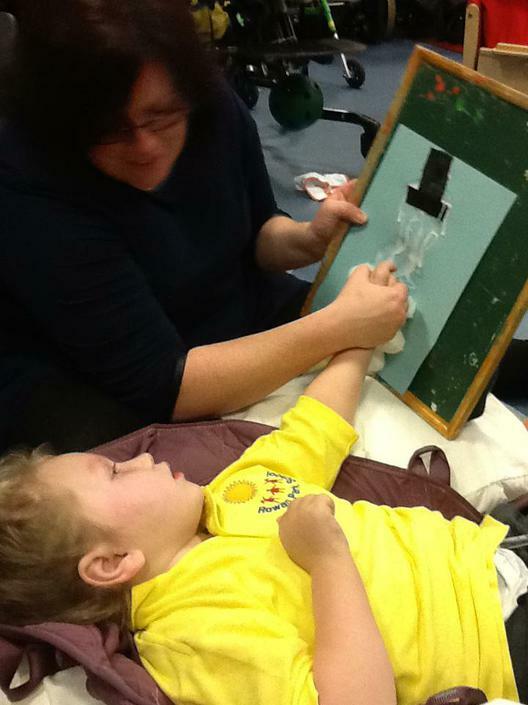 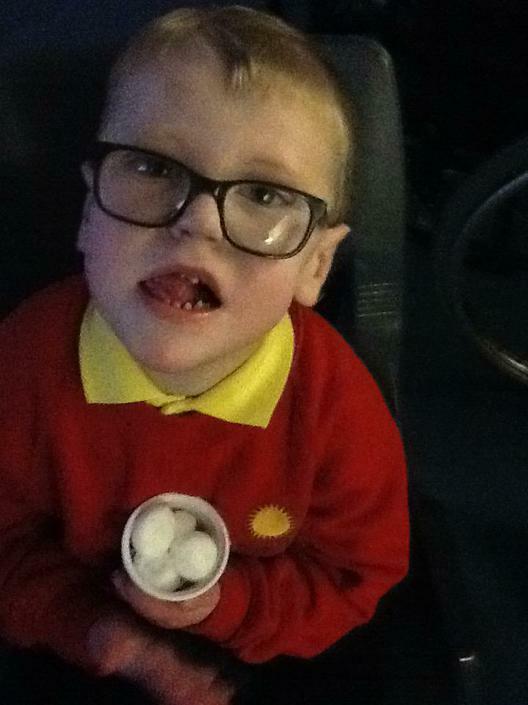 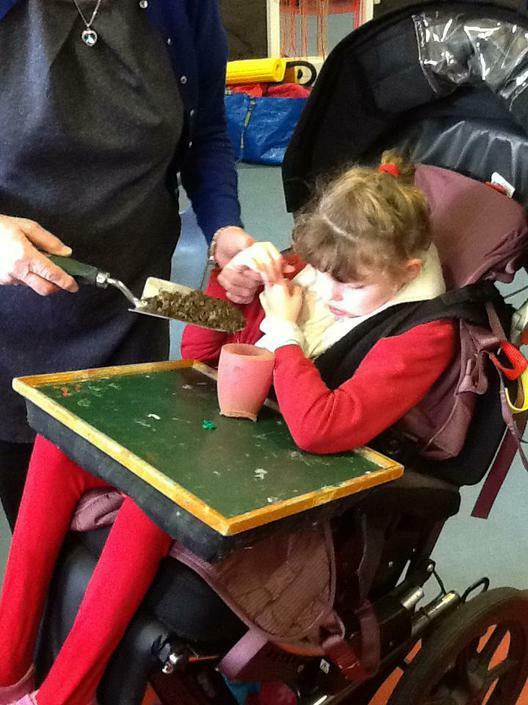 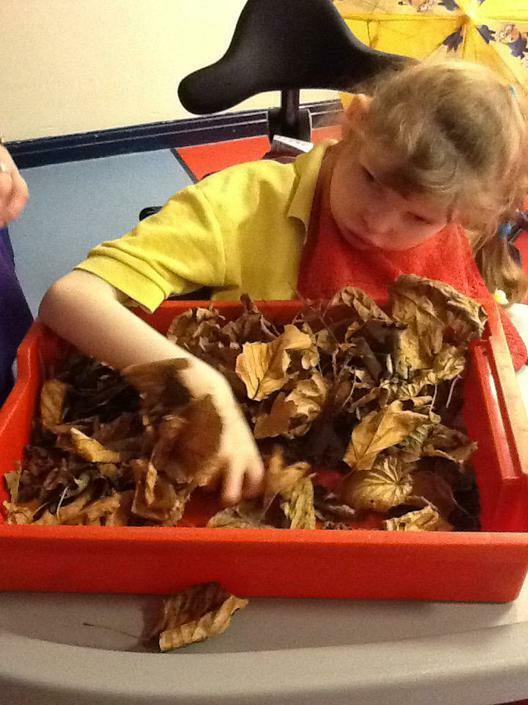 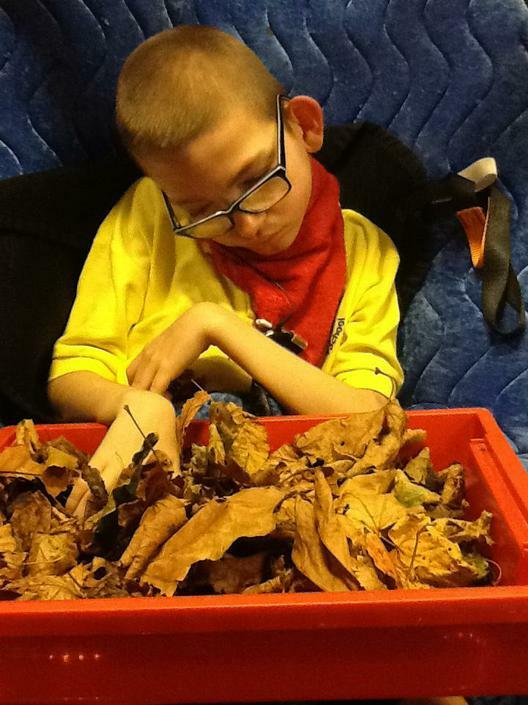 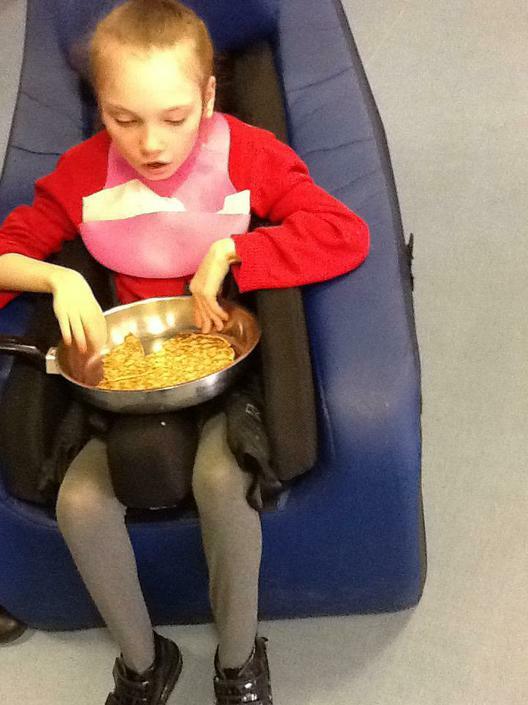 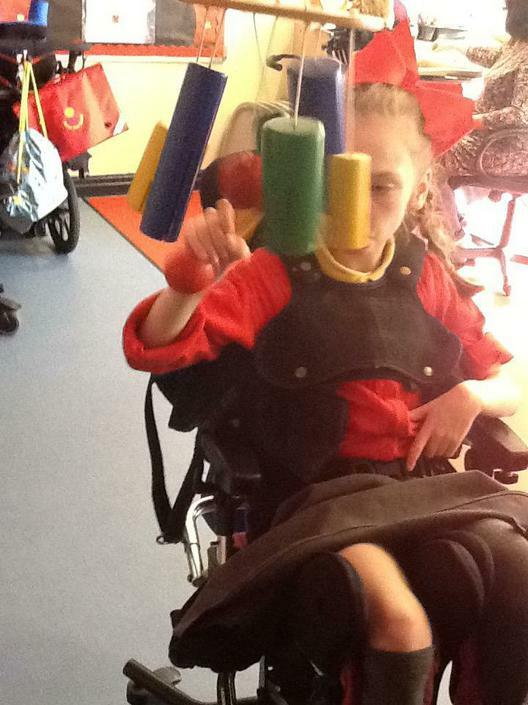 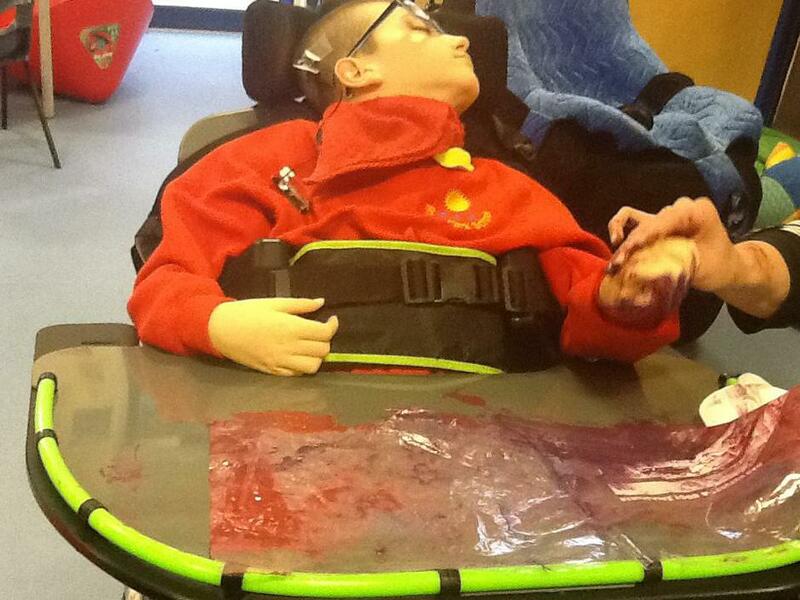 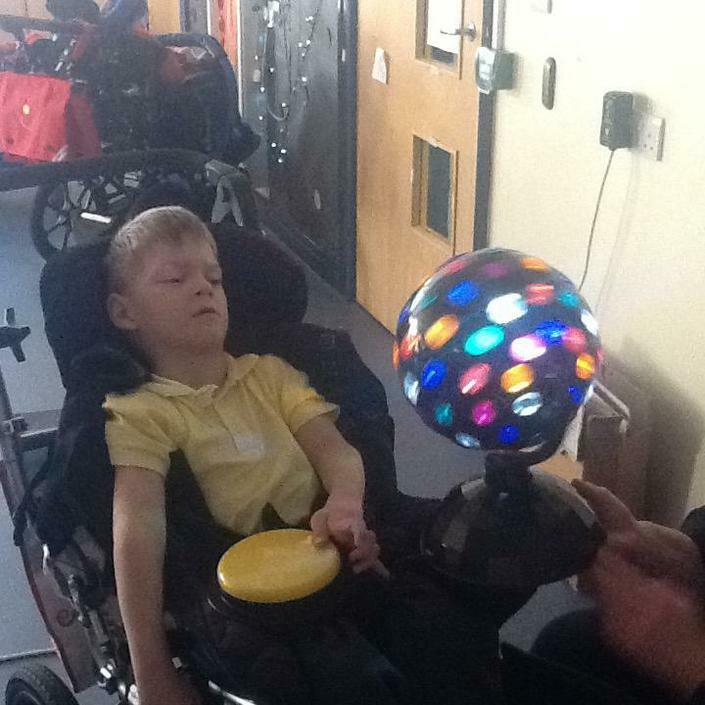 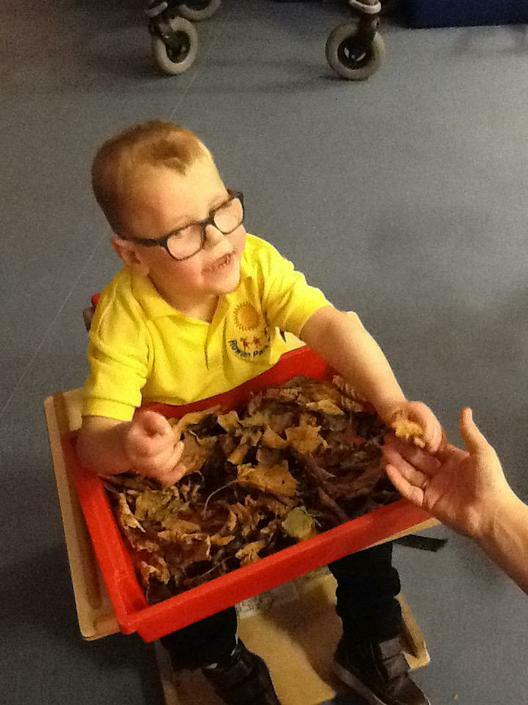 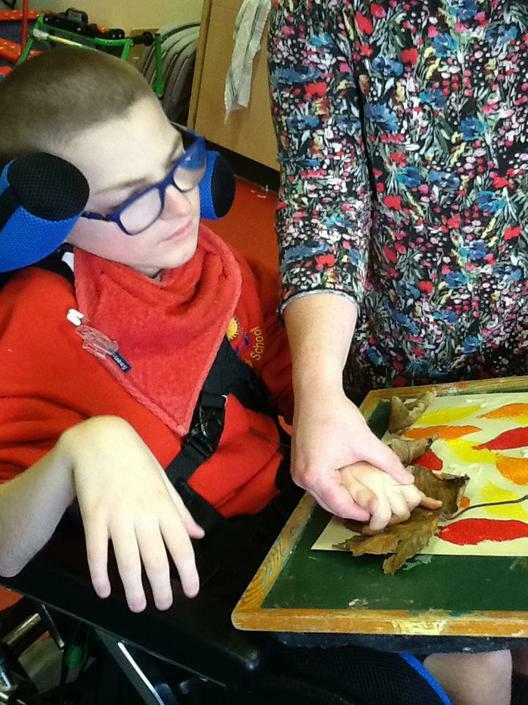 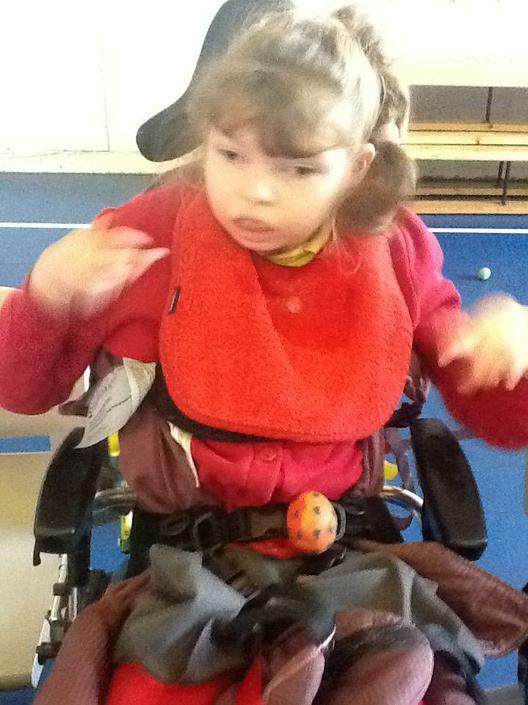 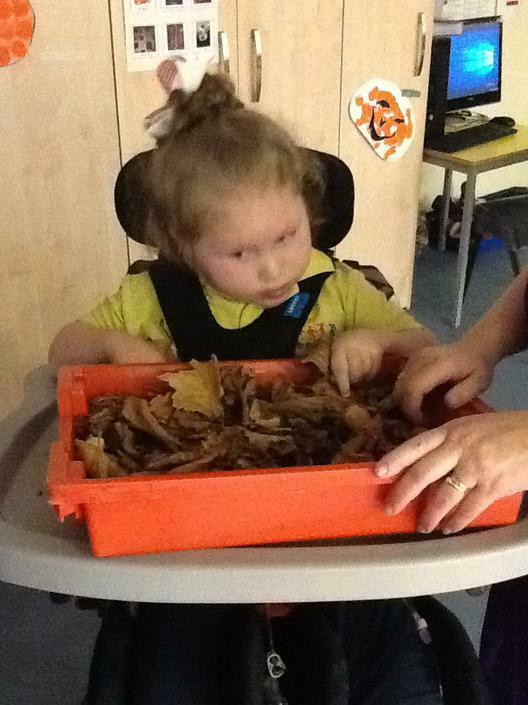 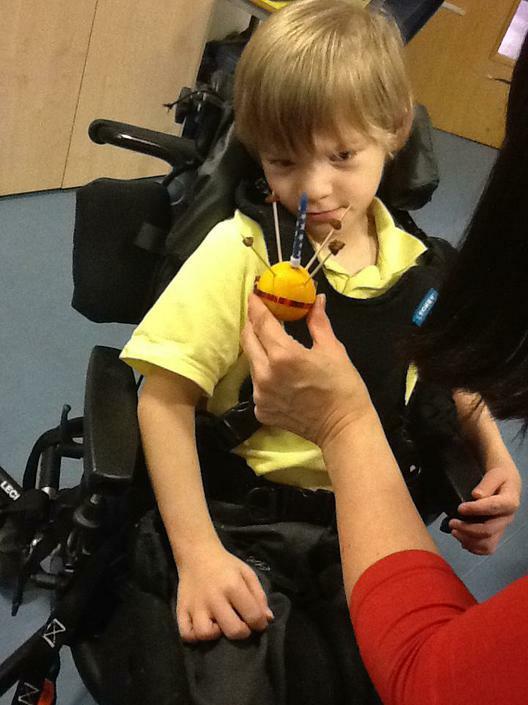 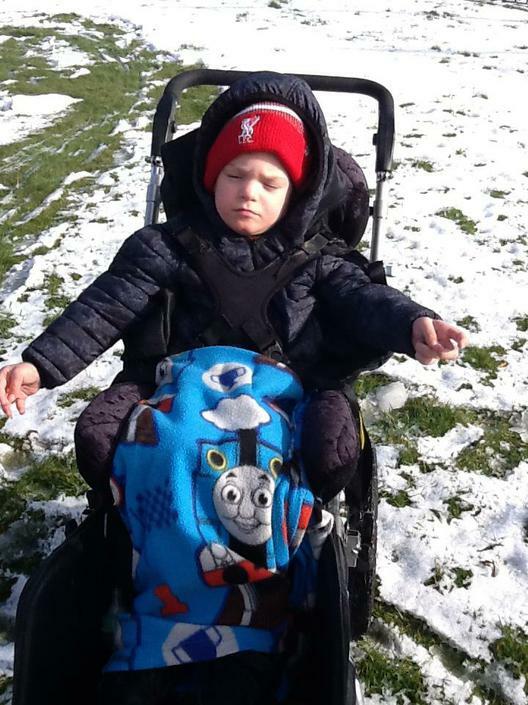 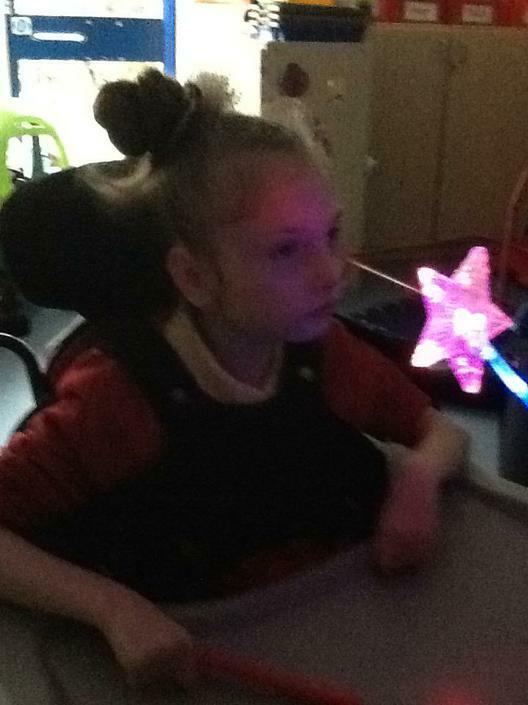 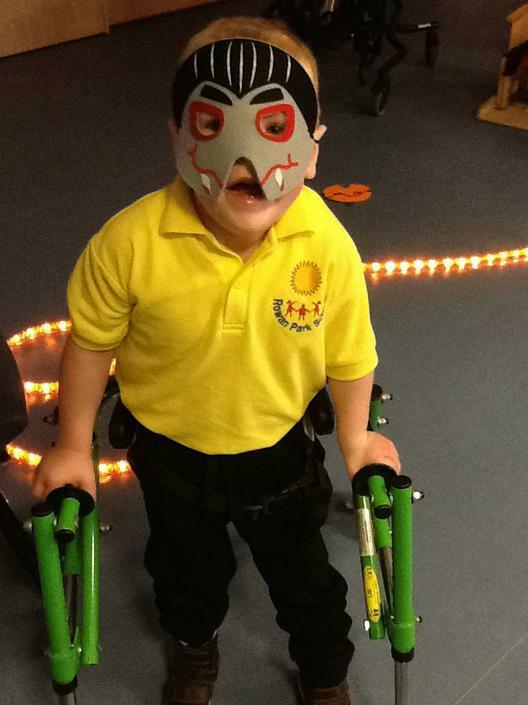 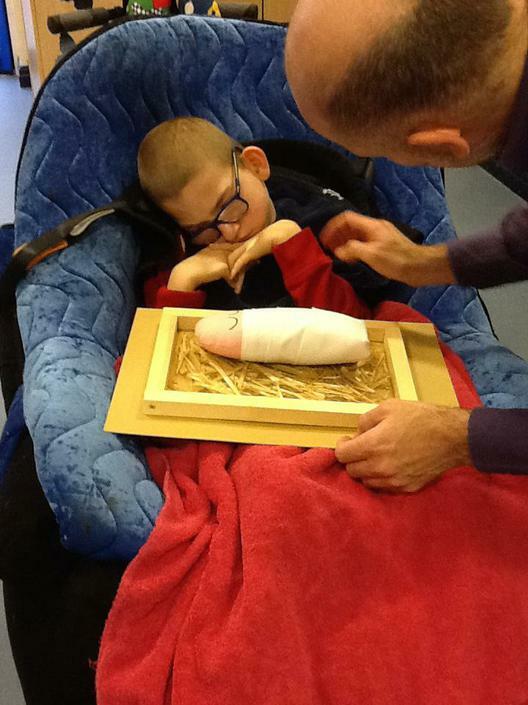 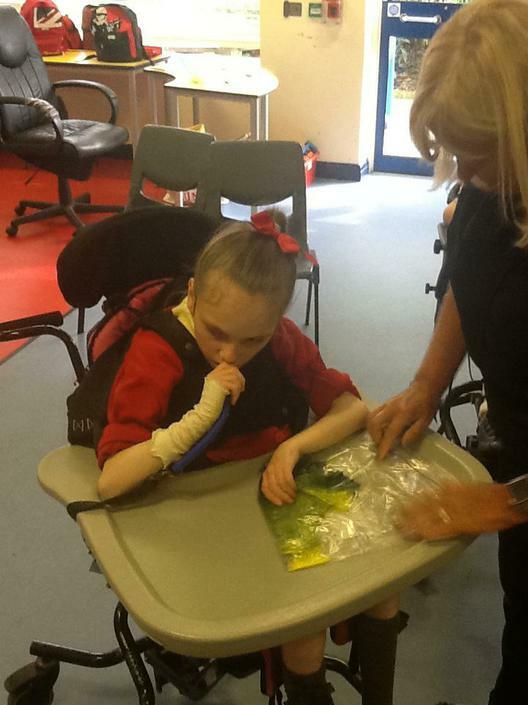 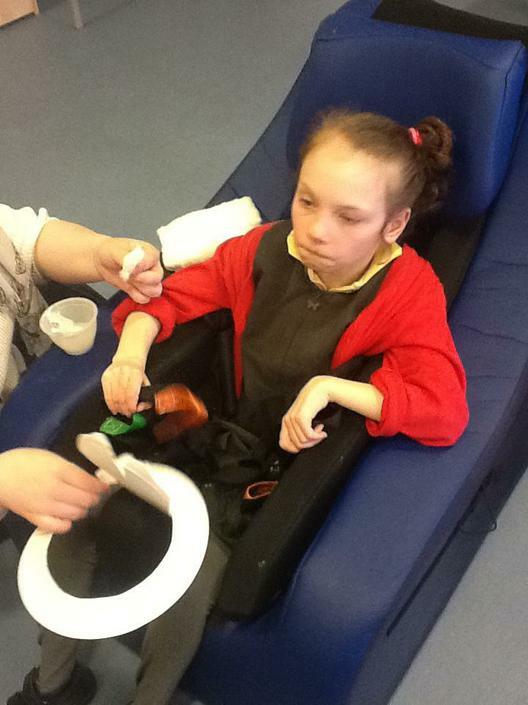 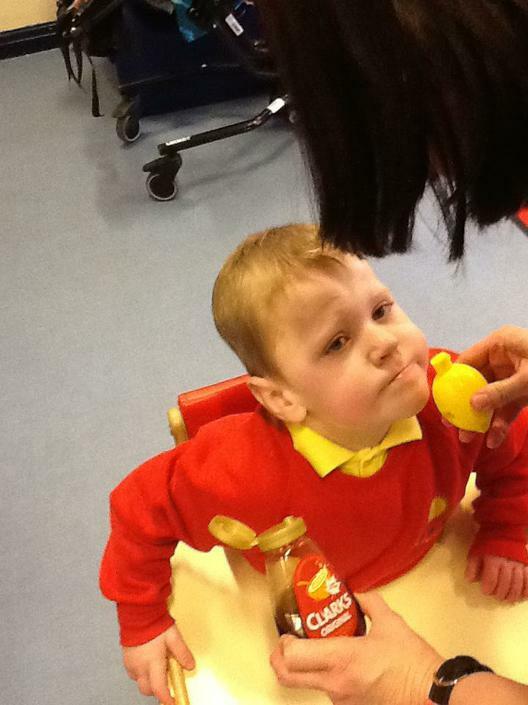 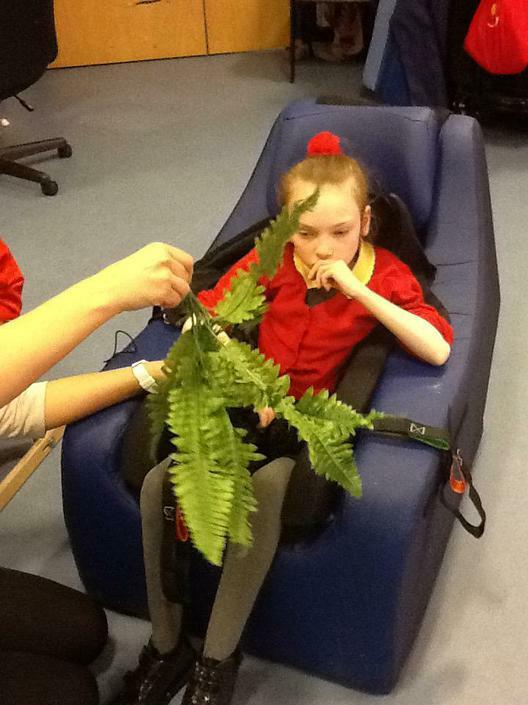 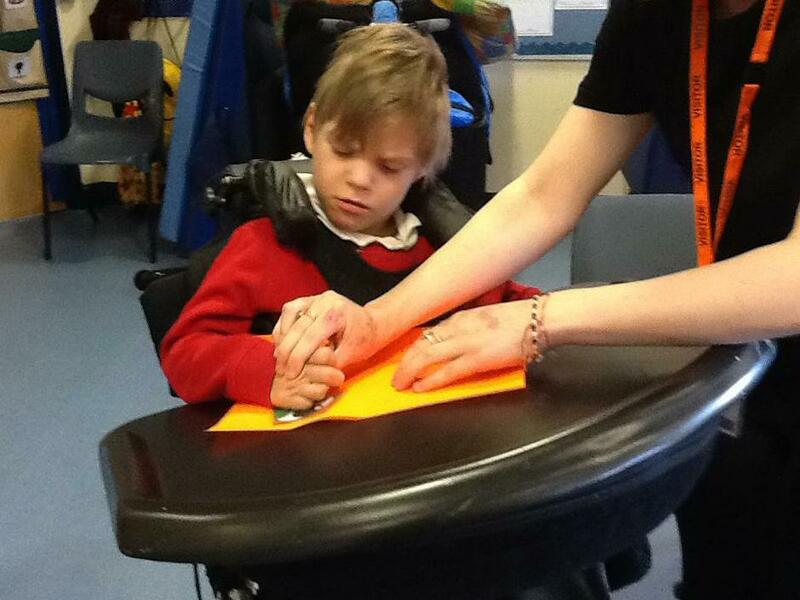 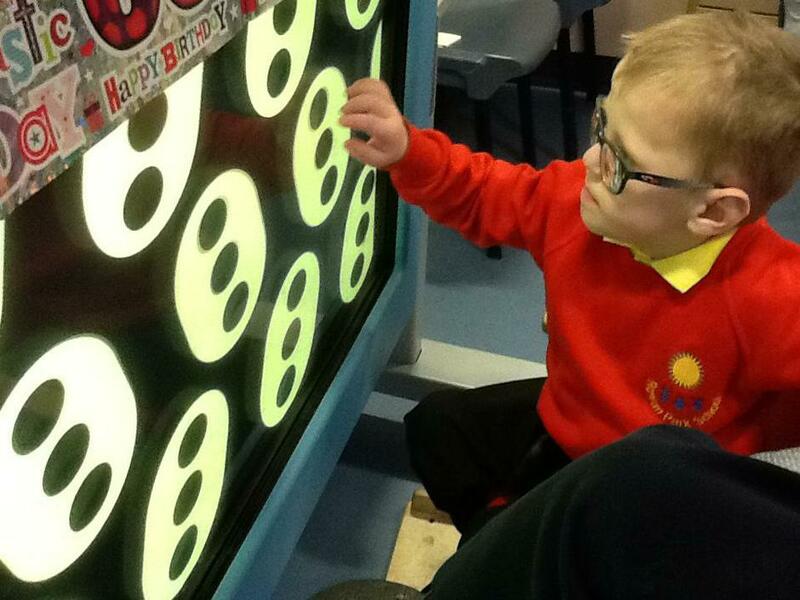 We follow a multi sensory approach to the curriculum, use specialised equipment to help us understand the world around us. 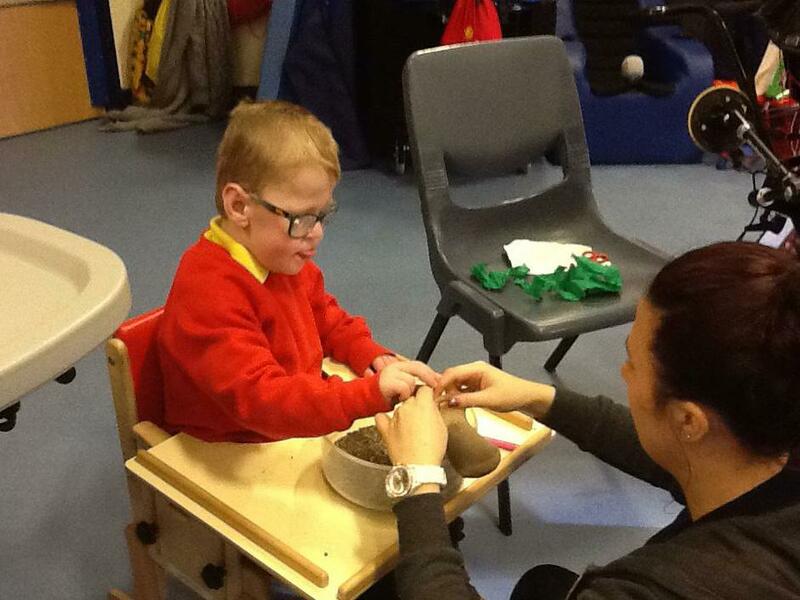 Early Communication, Cognitive and Social skills that are the foundation of all future learning. 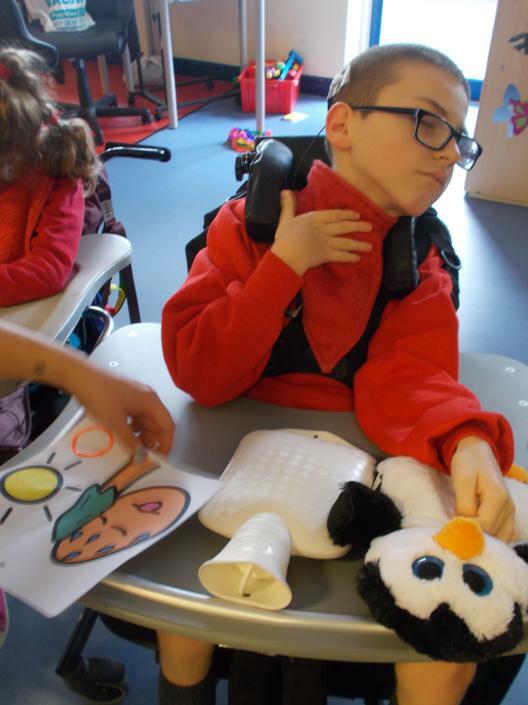 Daily signifiers to provide a better understanding of daily routines including daily; smell, sound and sensory colour bag. 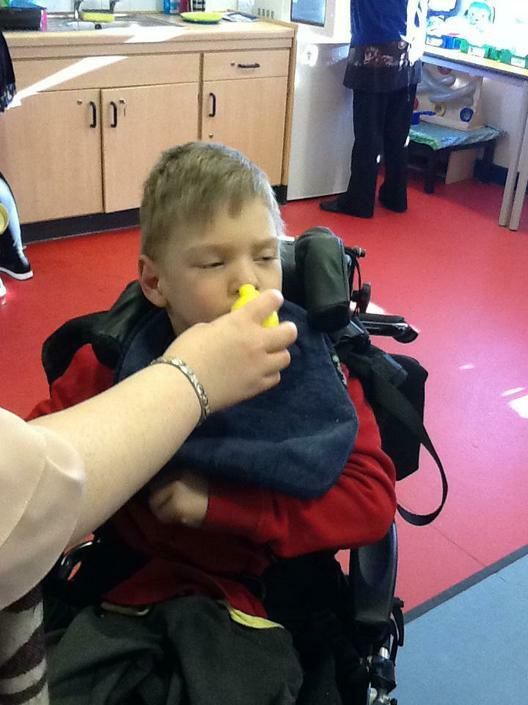 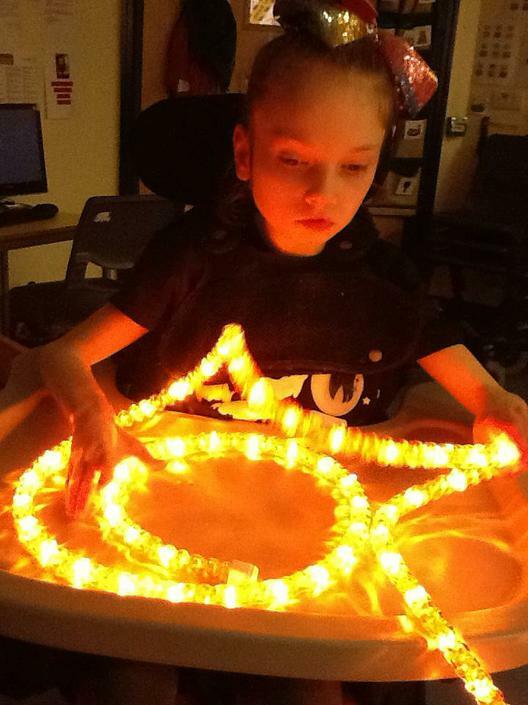 Communication aids, and technology to access learning and respond to the world around us. 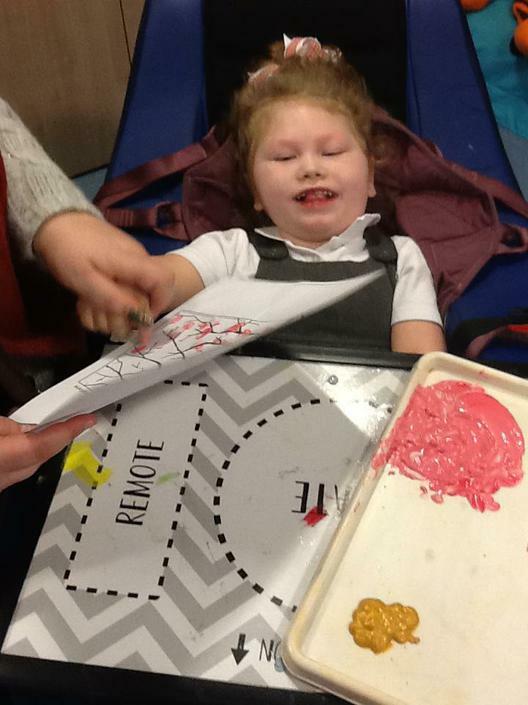 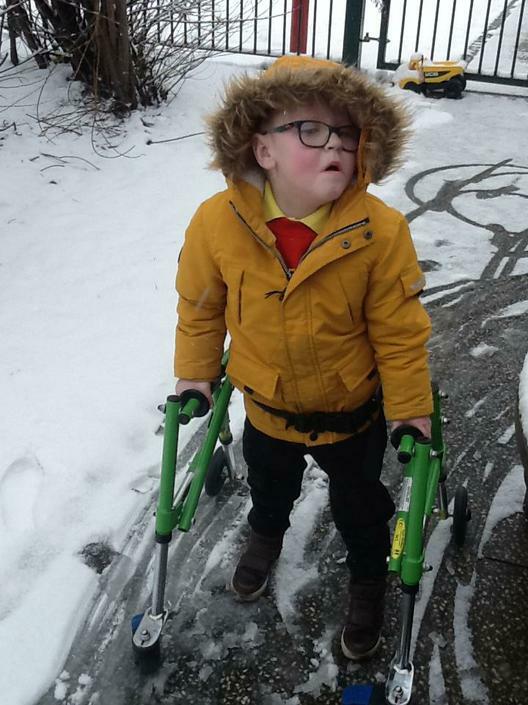 Mobility and orientation is important to us and we all follow a mobility and orientation route around school using sensory cues and markers to help us better understand our surroundings. 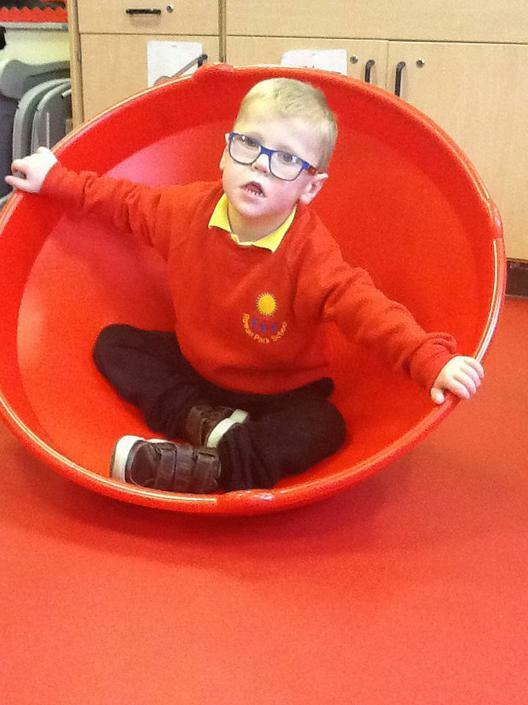 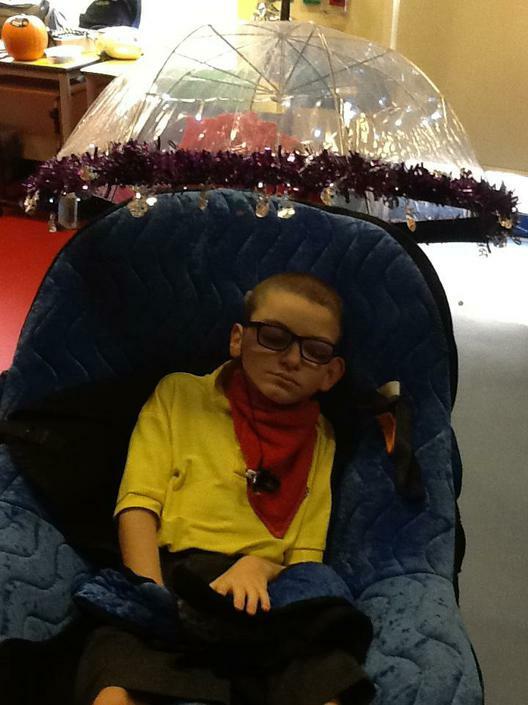 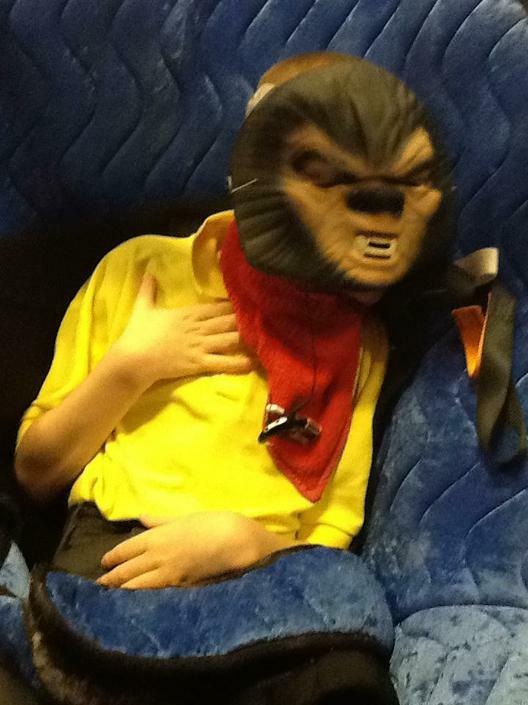 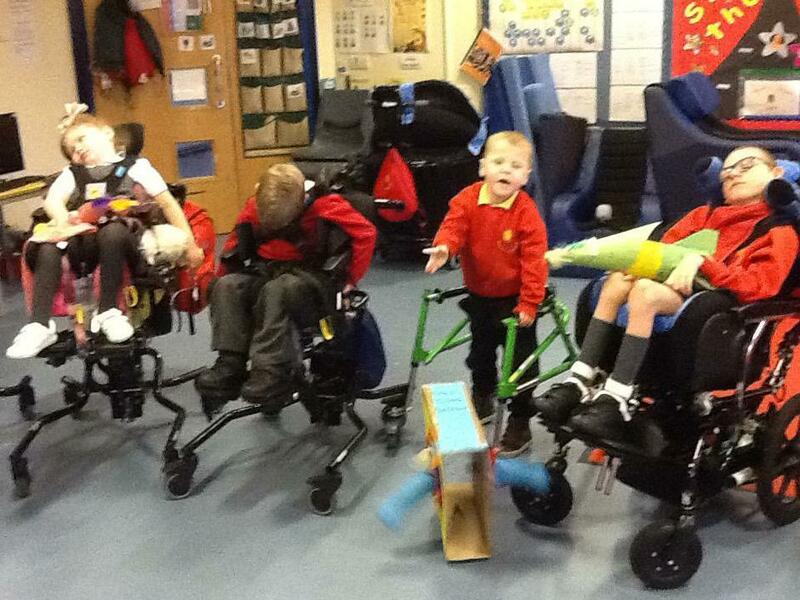 Please take a look at our class page and all the exciting things we are learning this term! 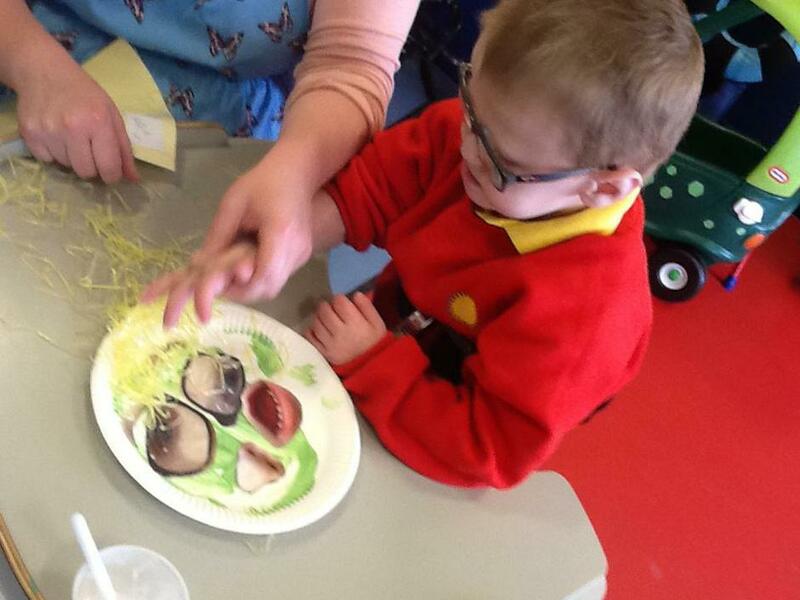 Foxes participate in cookery throughout the year. 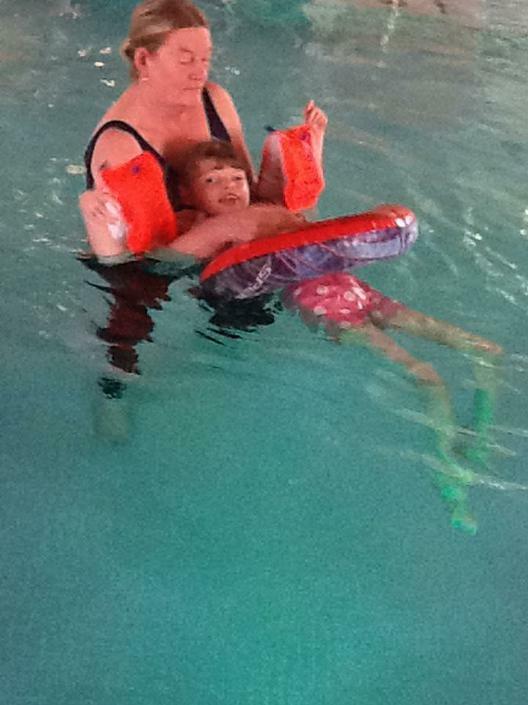 Swimming sessions take place on Monday morning. 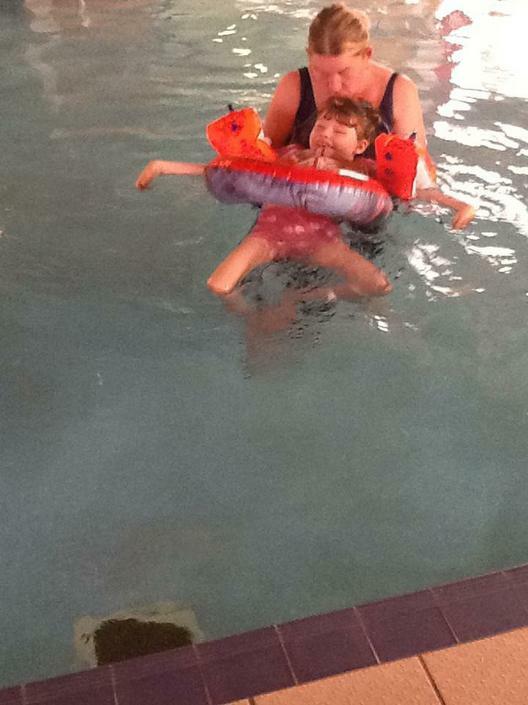 Please ensure your child has swimwear with a built in incontinence panel, or brings a swim nappy each week. 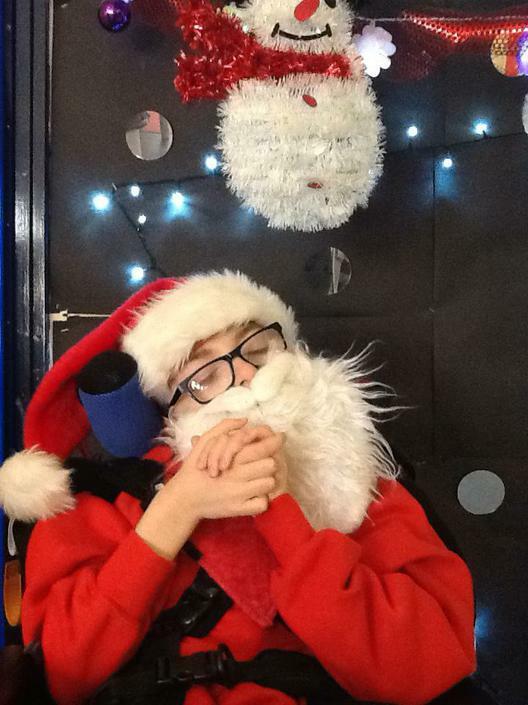 Welcome to Summer Term 2018. 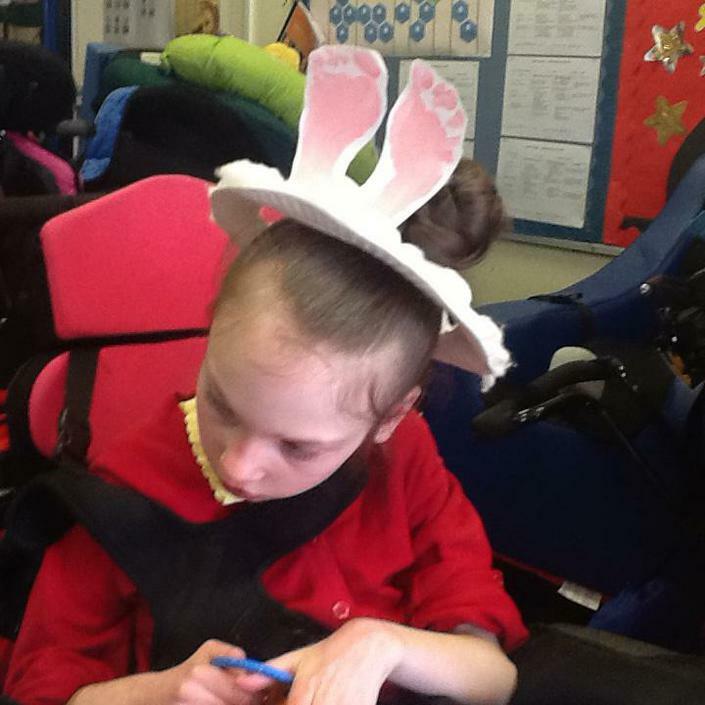 We trust that you have all had a happy Easter and enjoyed the Spring Break. 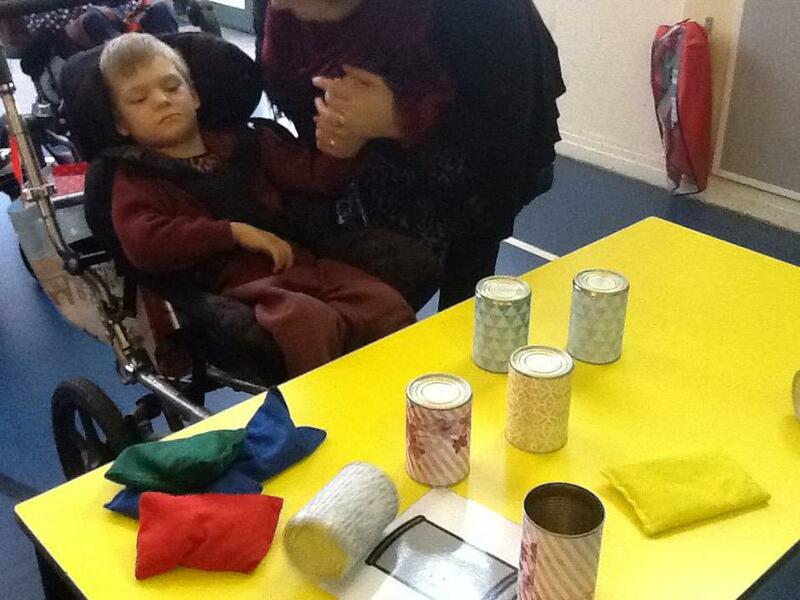 We continue our work on Number, Geometry and Measurement. 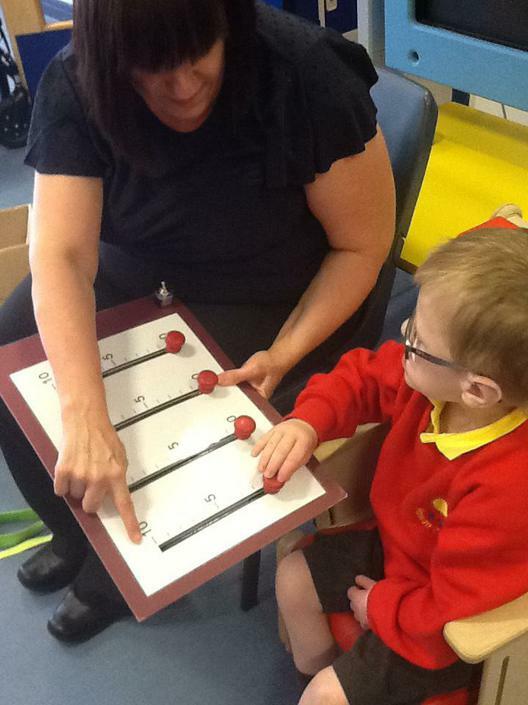 Through number rhymes, group activities and individual work. 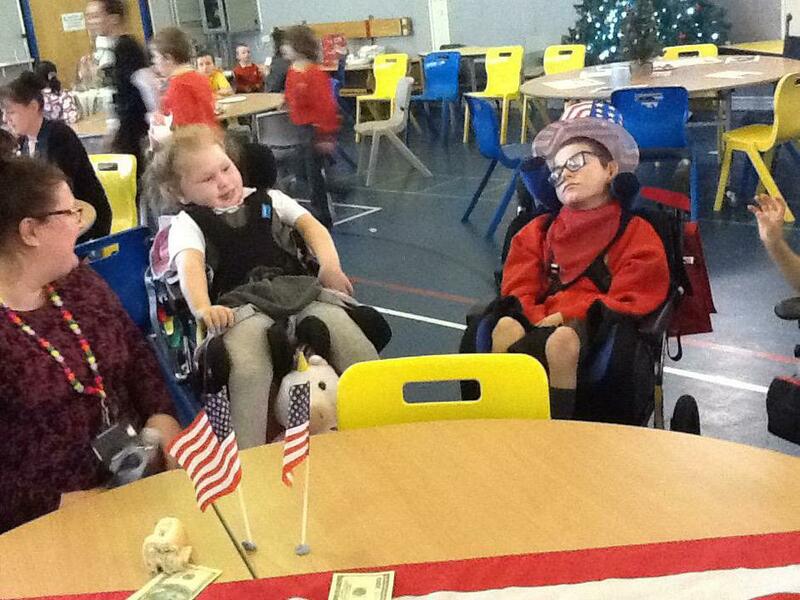 Our focus this term is on 'Friends'. 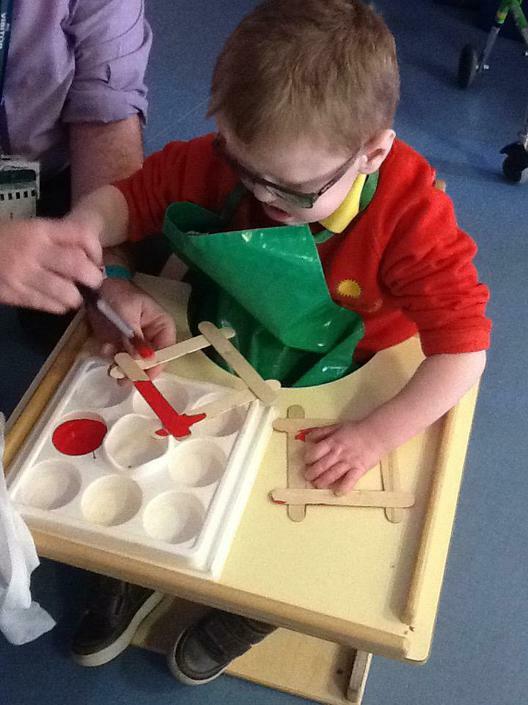 Making things work on the computer and with switches. 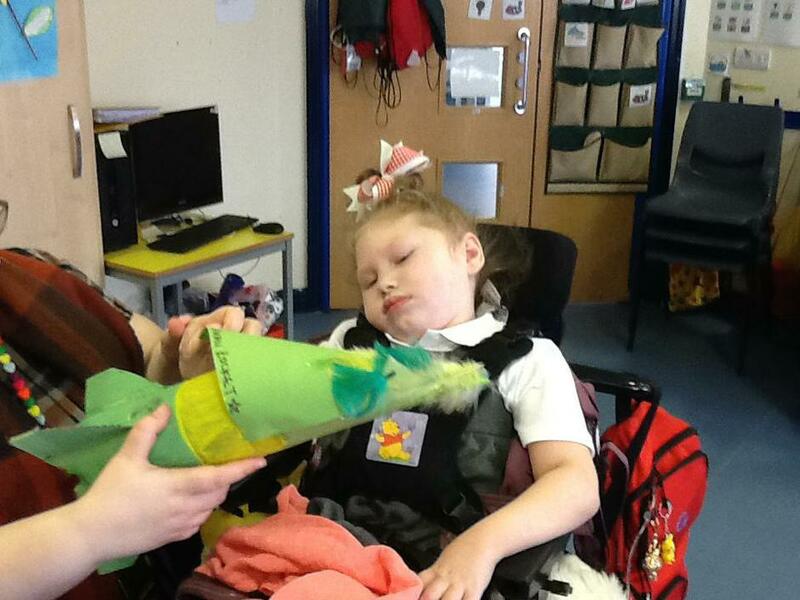 Our class assembly will be on World Oceans Day. 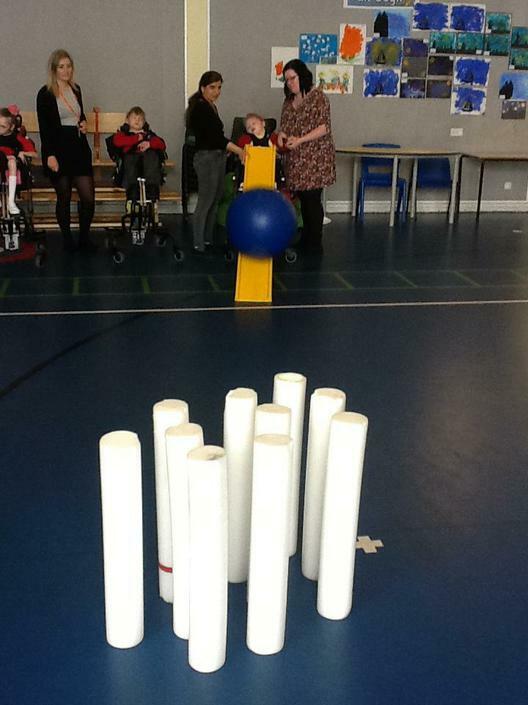 Our focus will be group and team games. 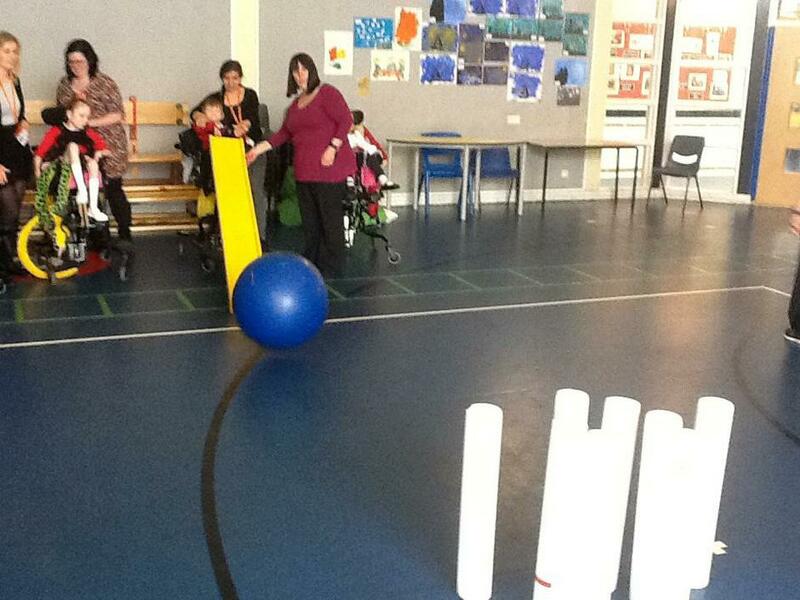 Activities will include bocccia, skittles and parachutes Games. 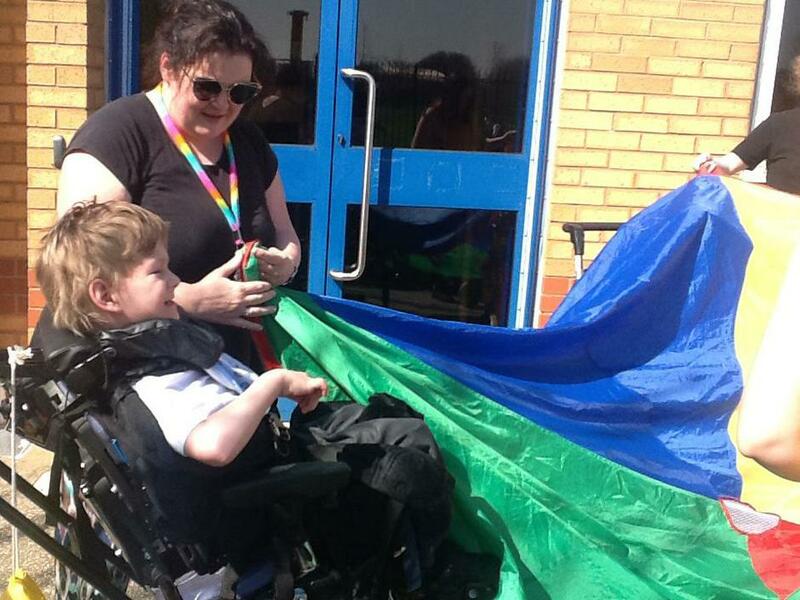 Remember to look out for the date of Sports Day...always a very competitive event! 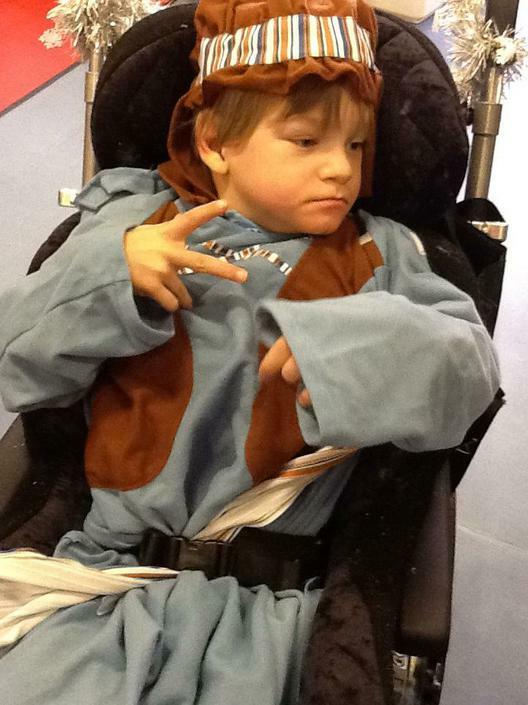 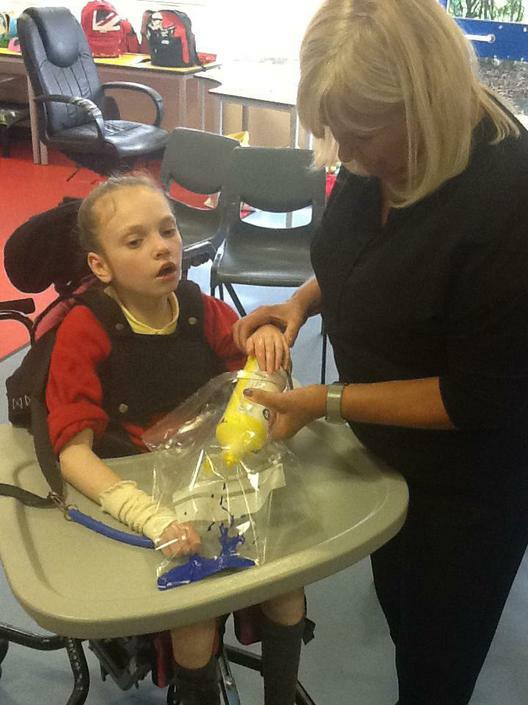 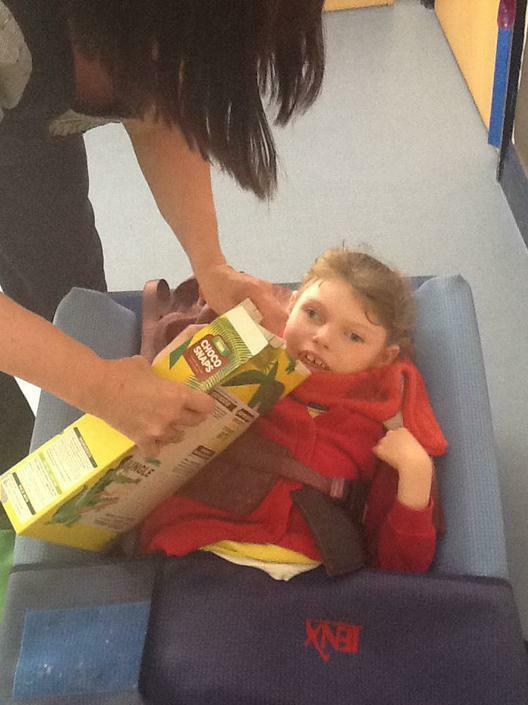 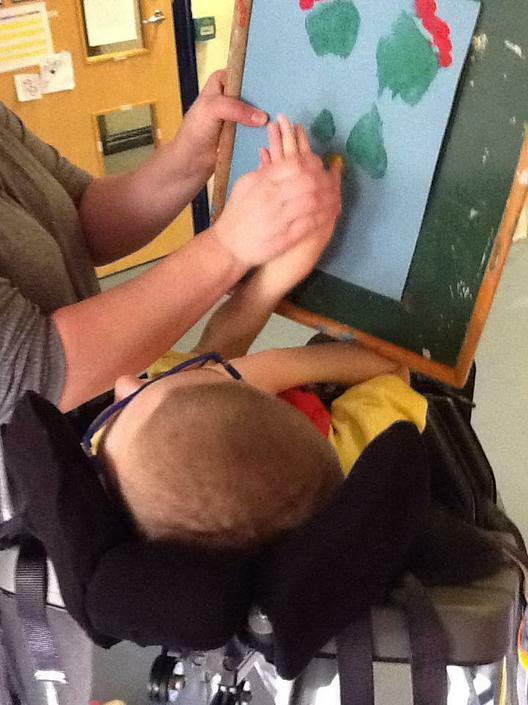 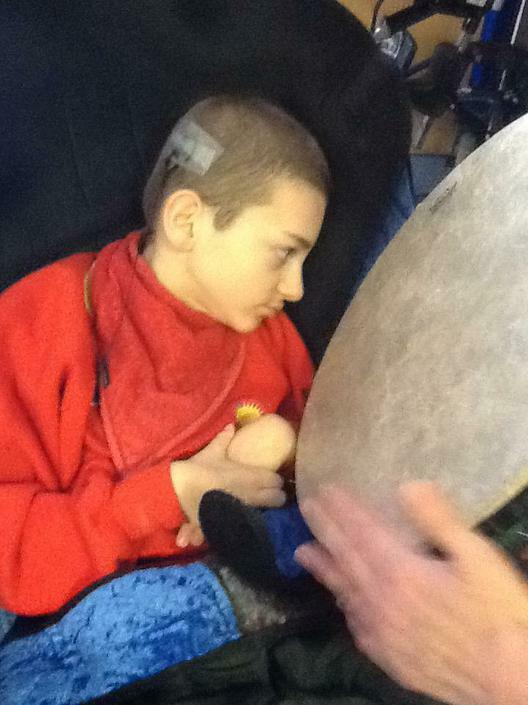 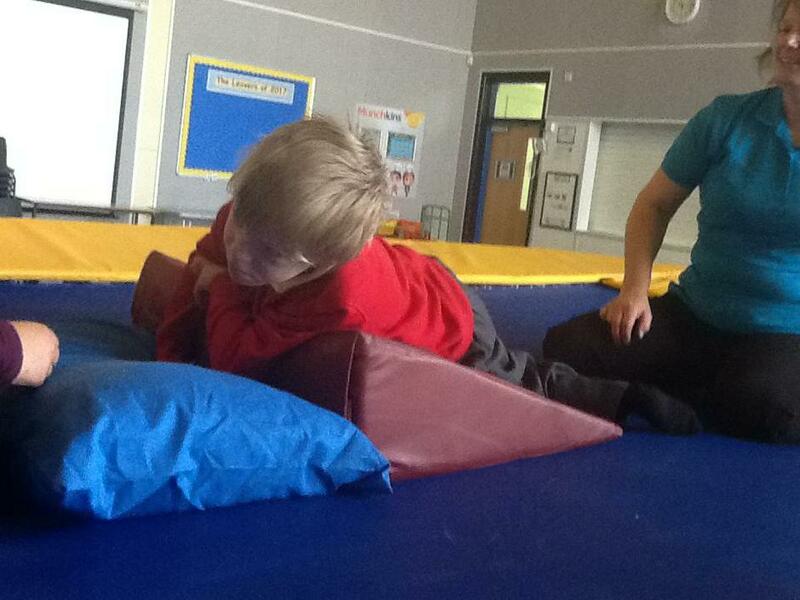 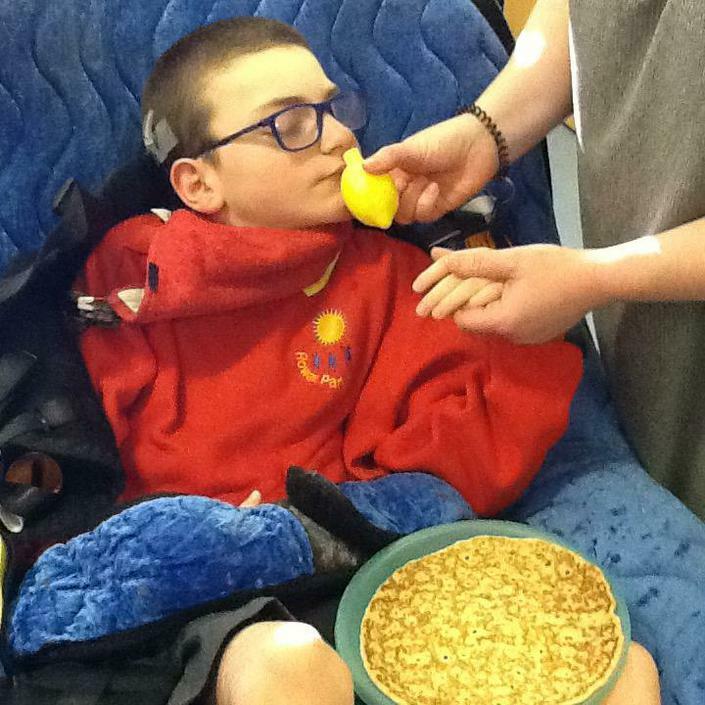 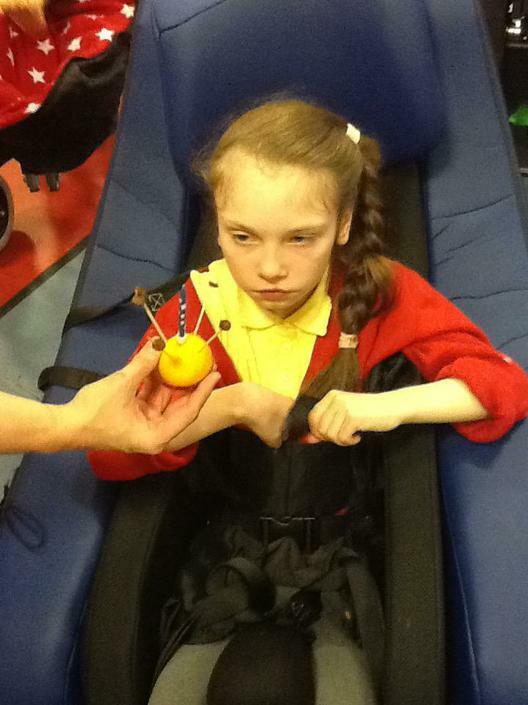 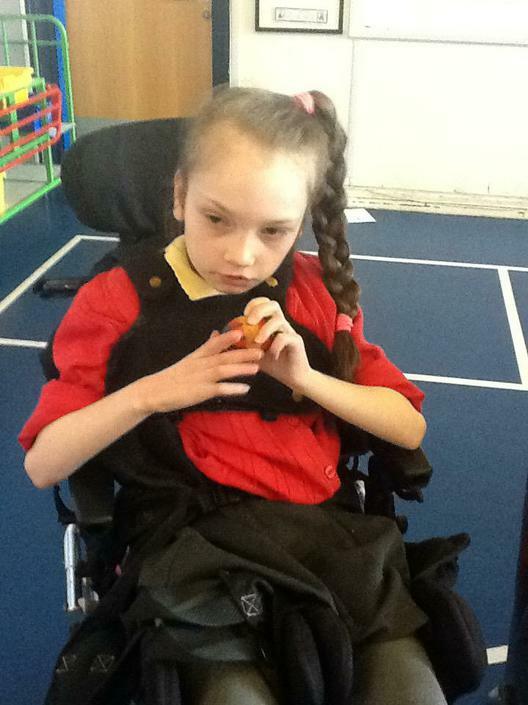 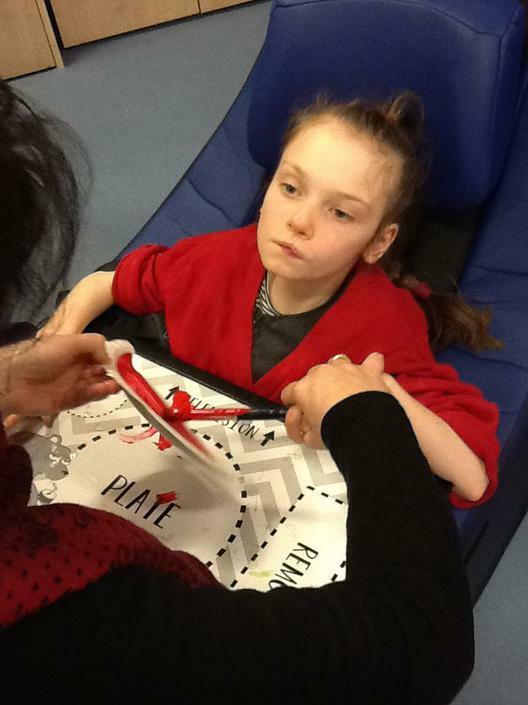 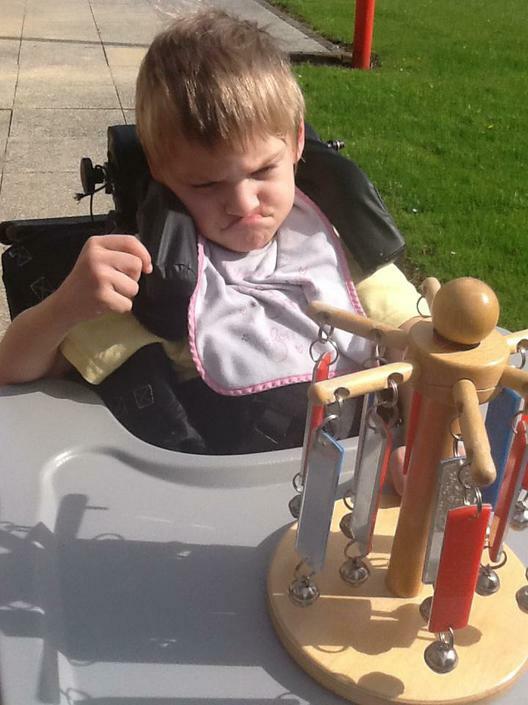 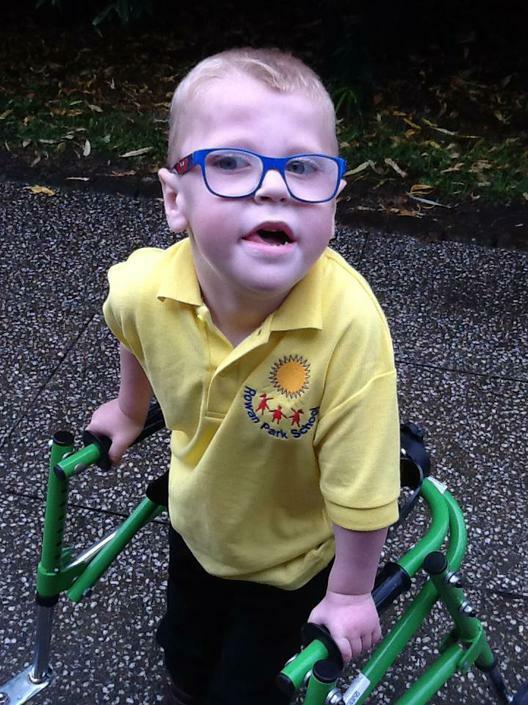 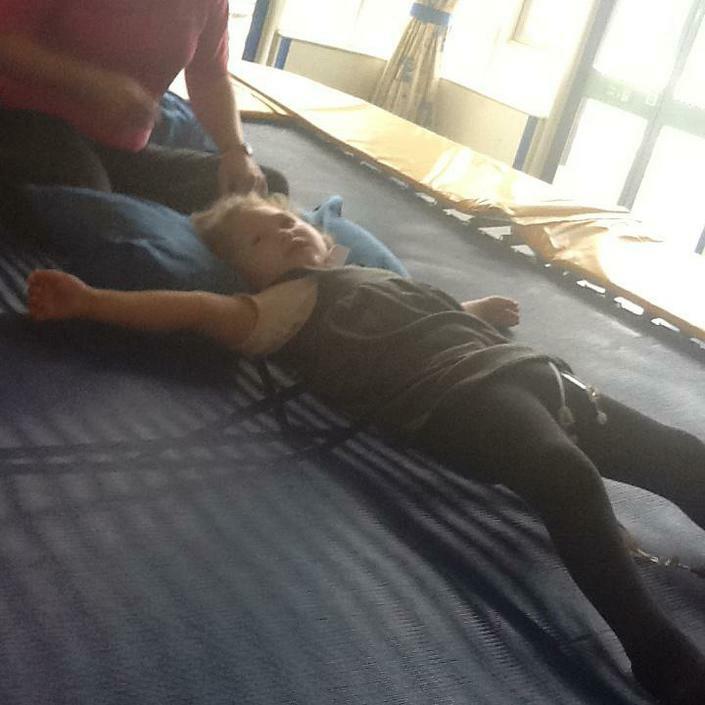 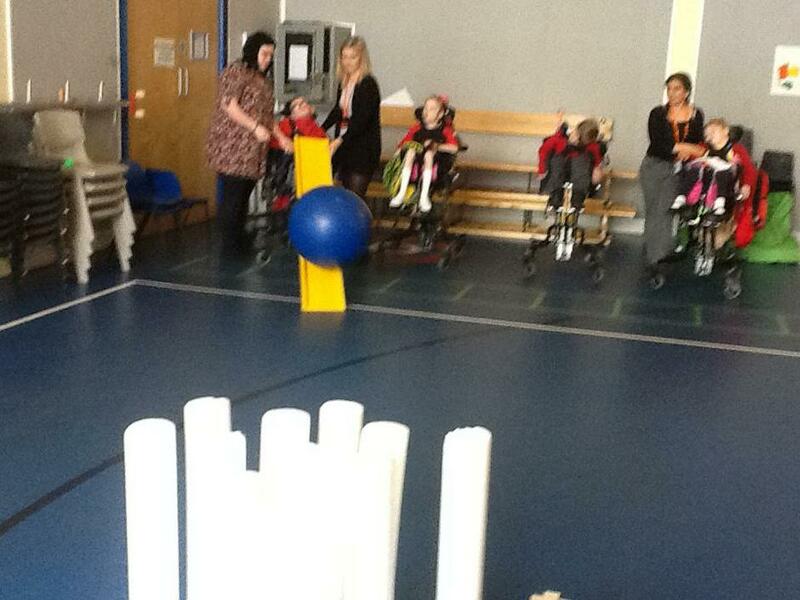 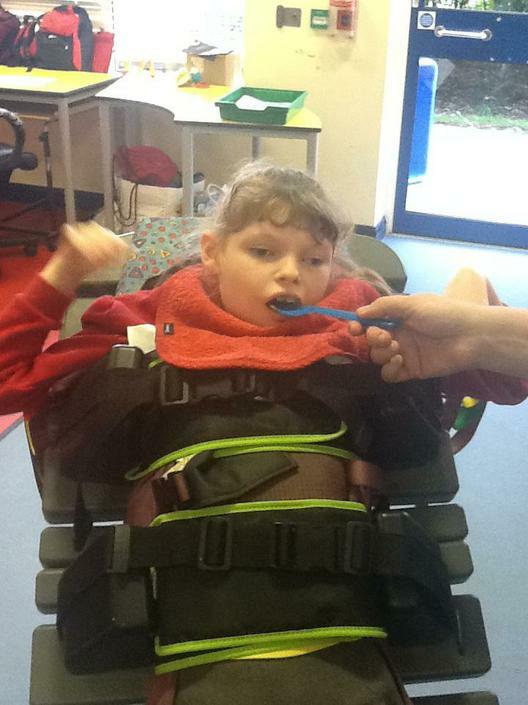 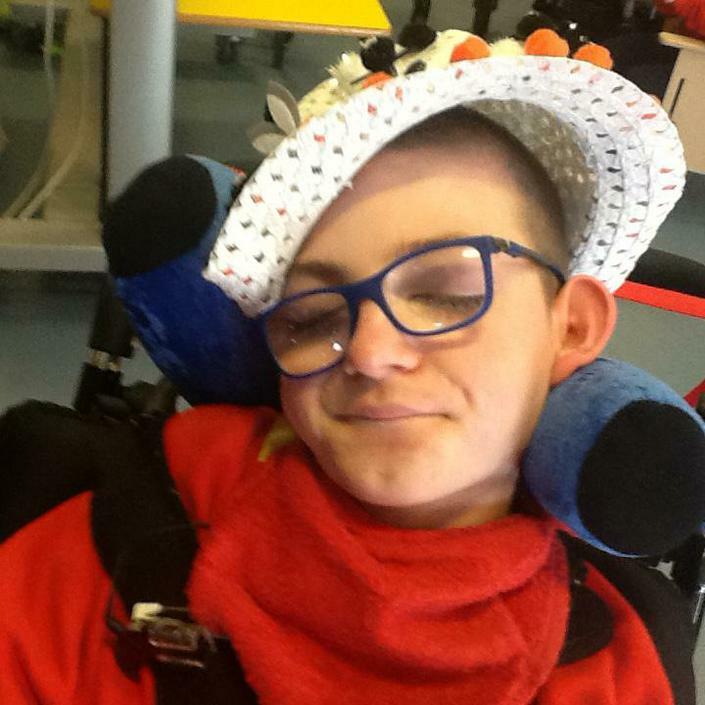 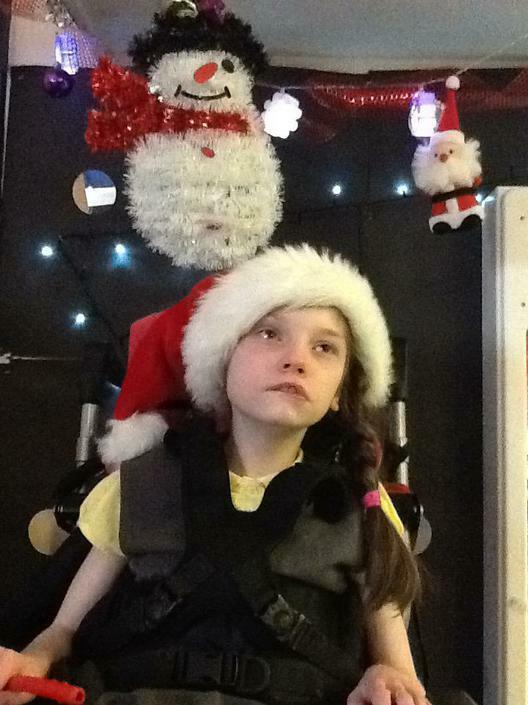 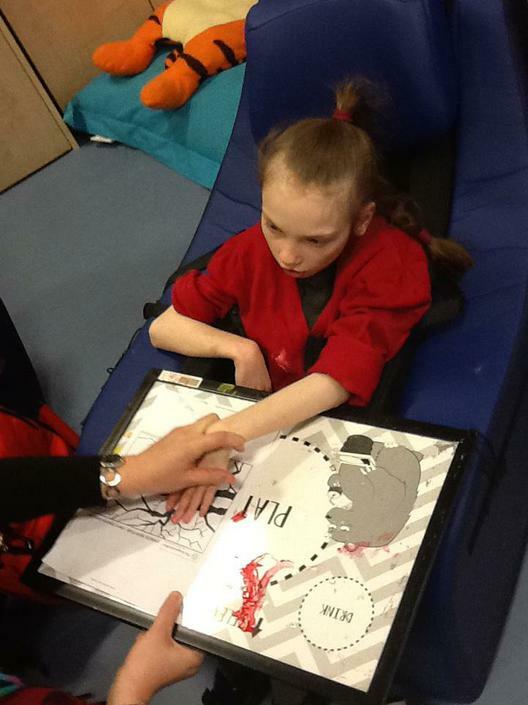 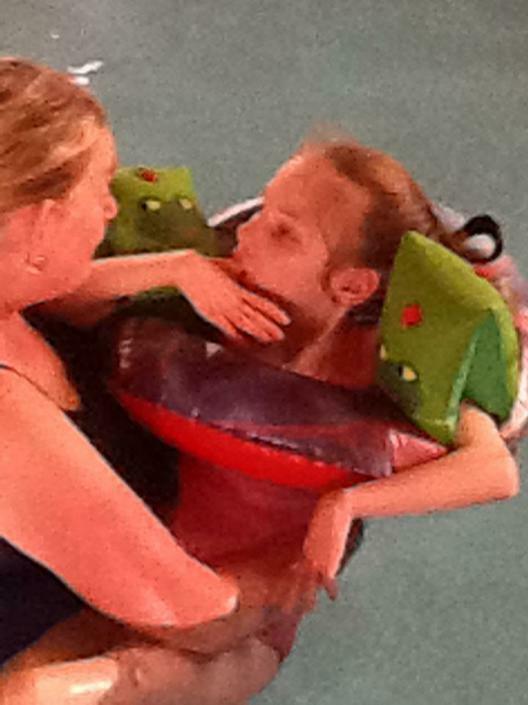 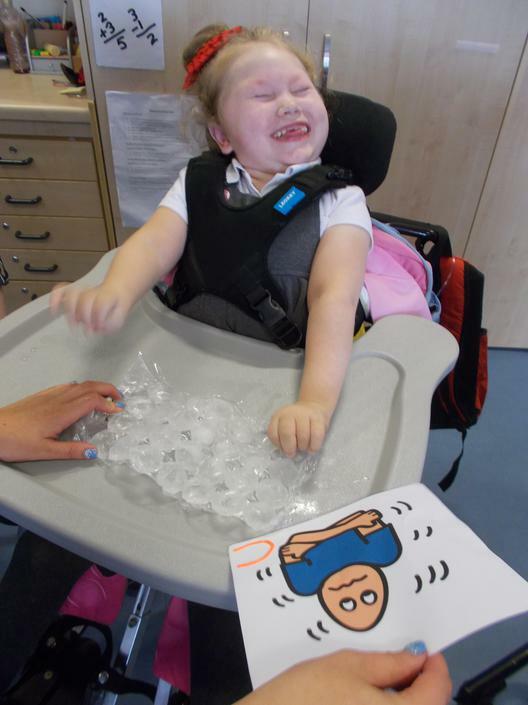 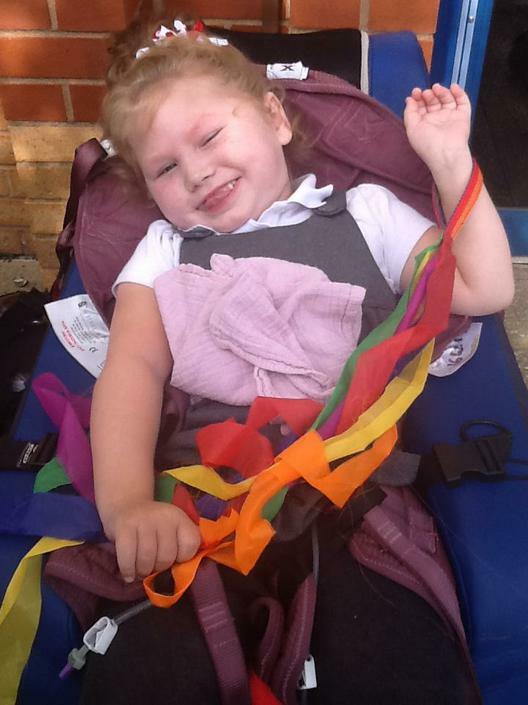 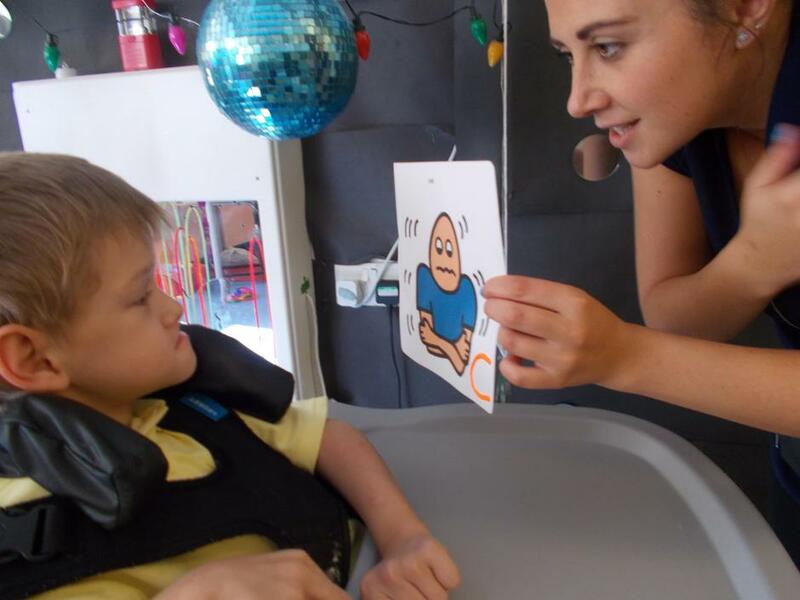 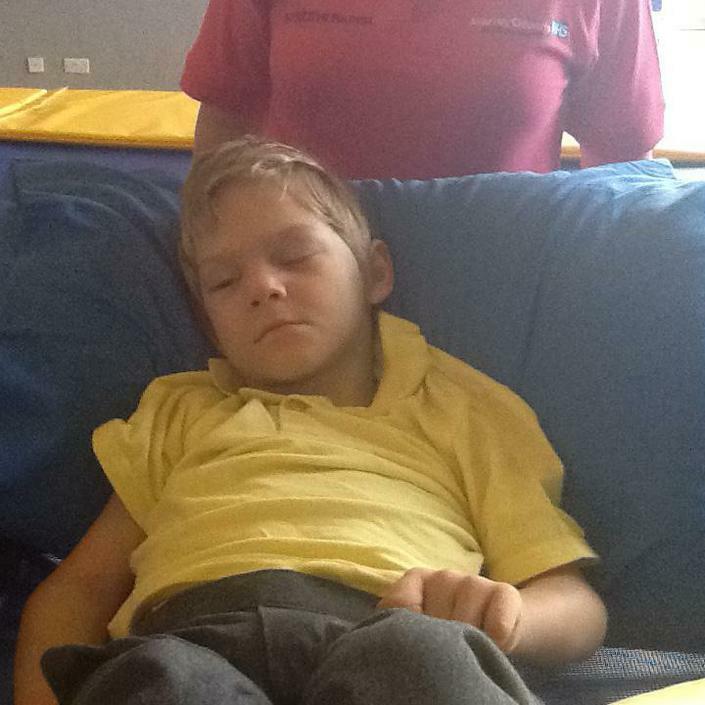 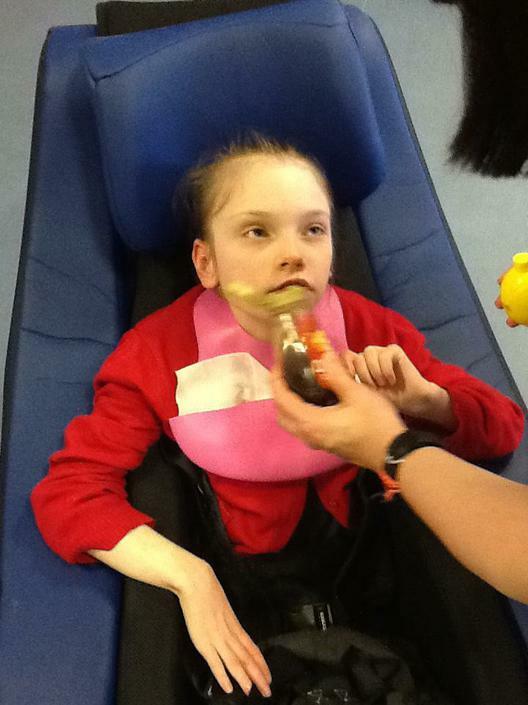 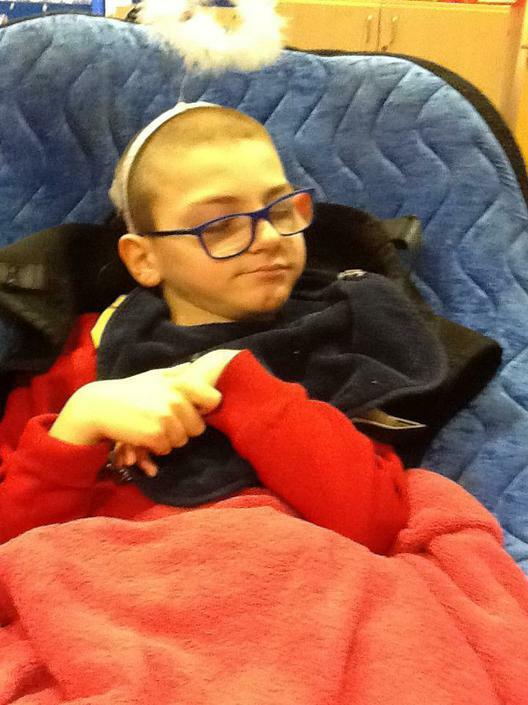 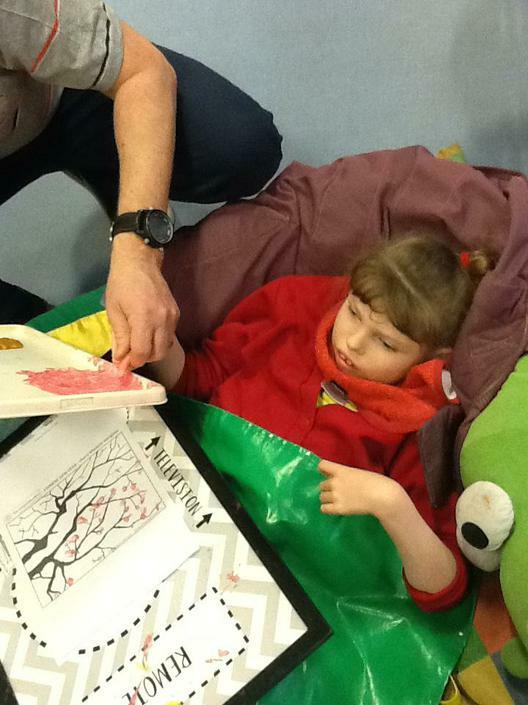 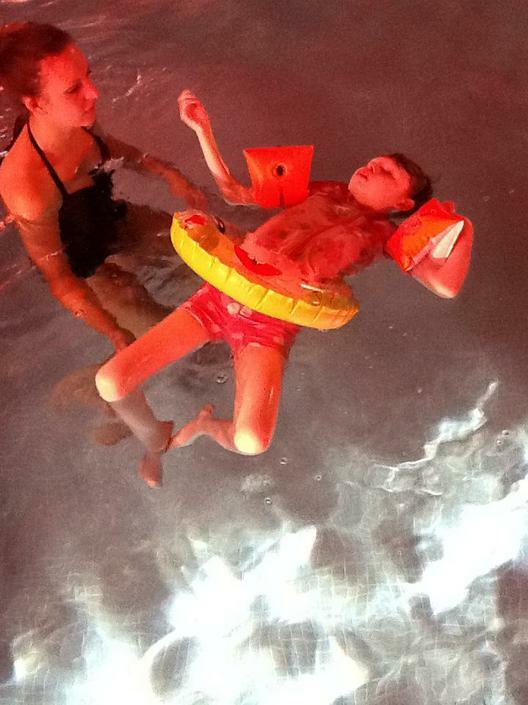 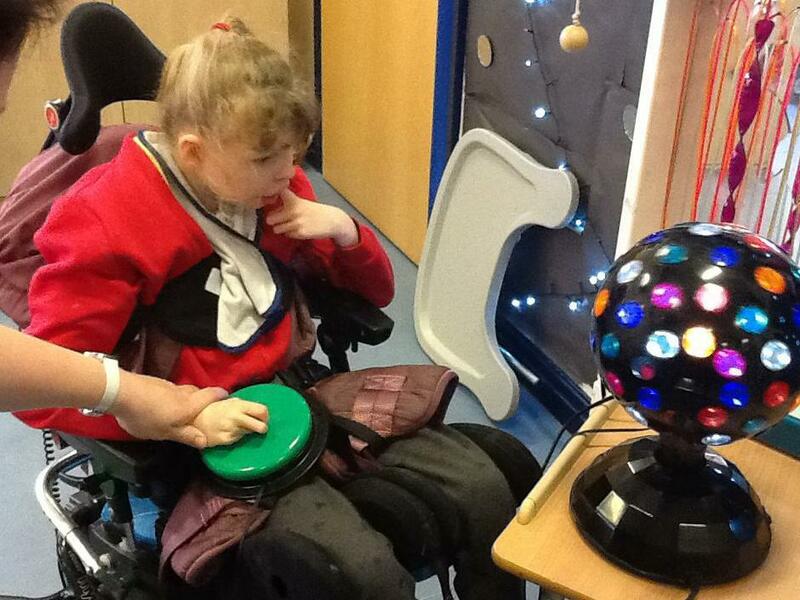 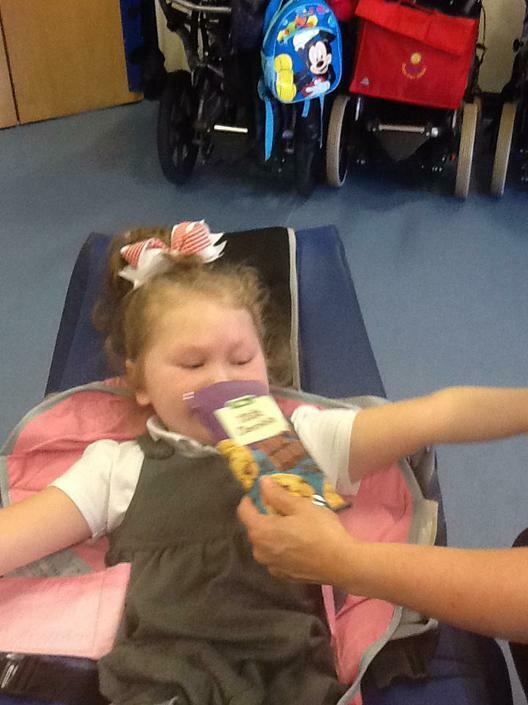 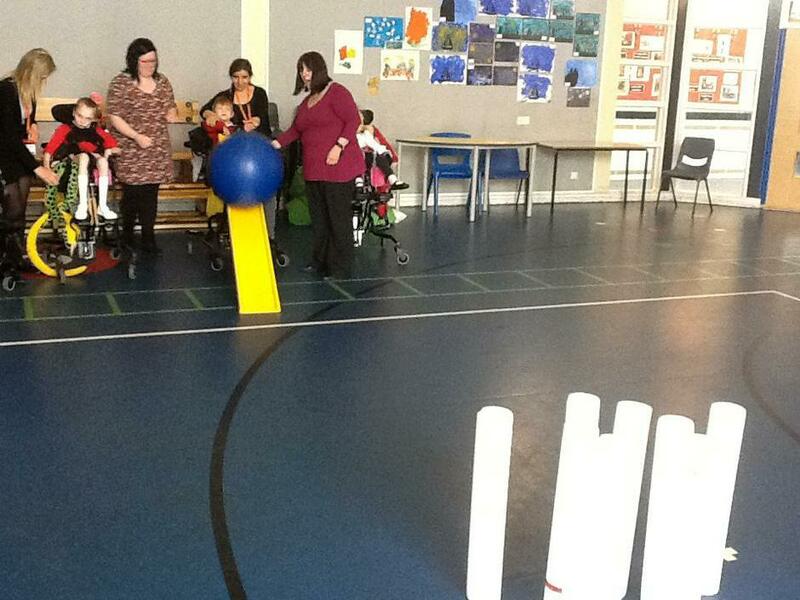 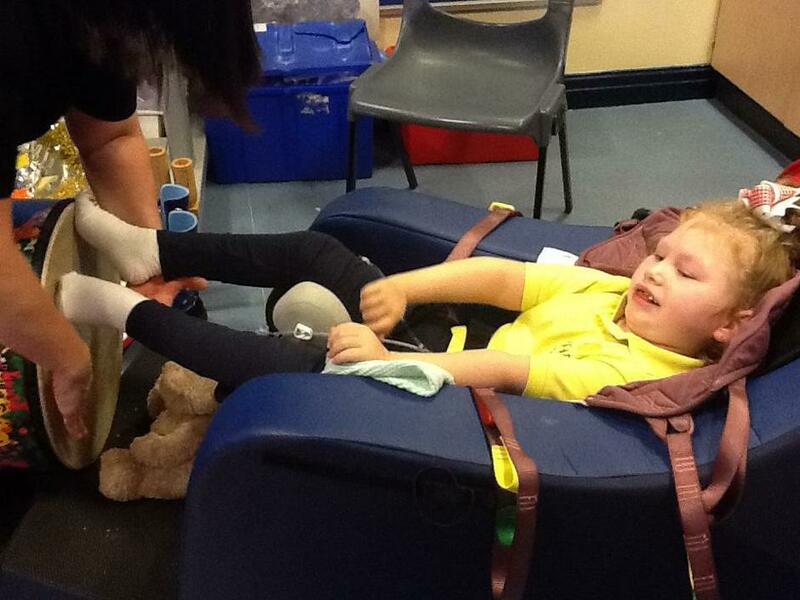 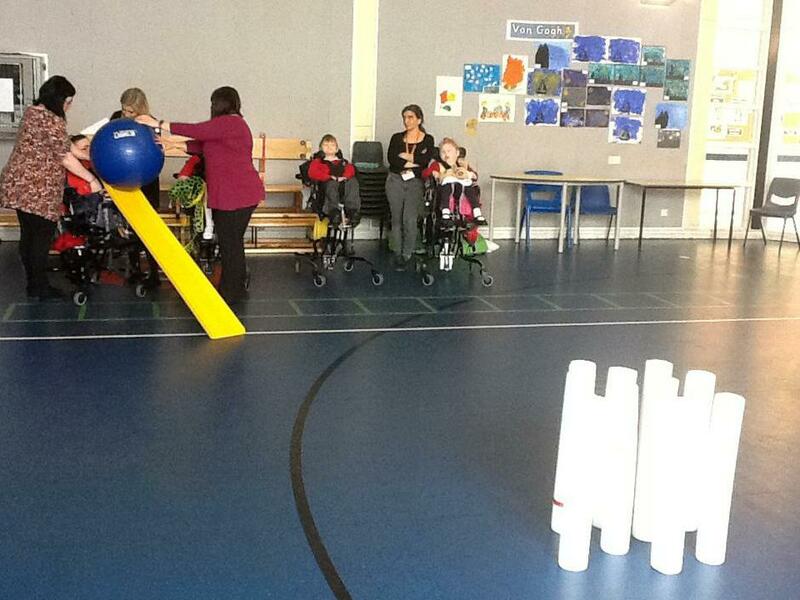 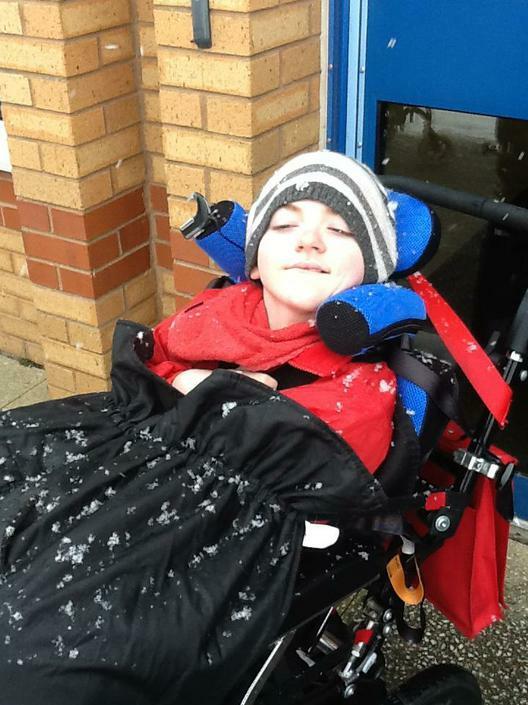 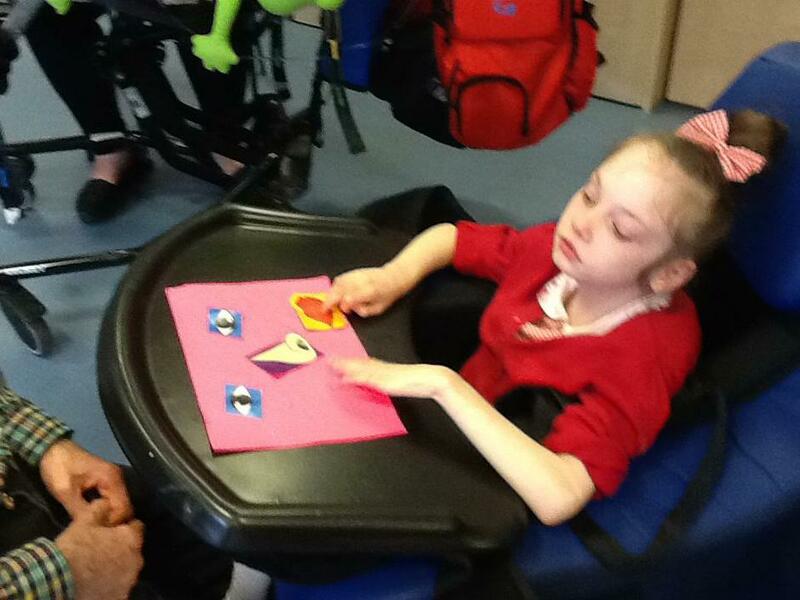 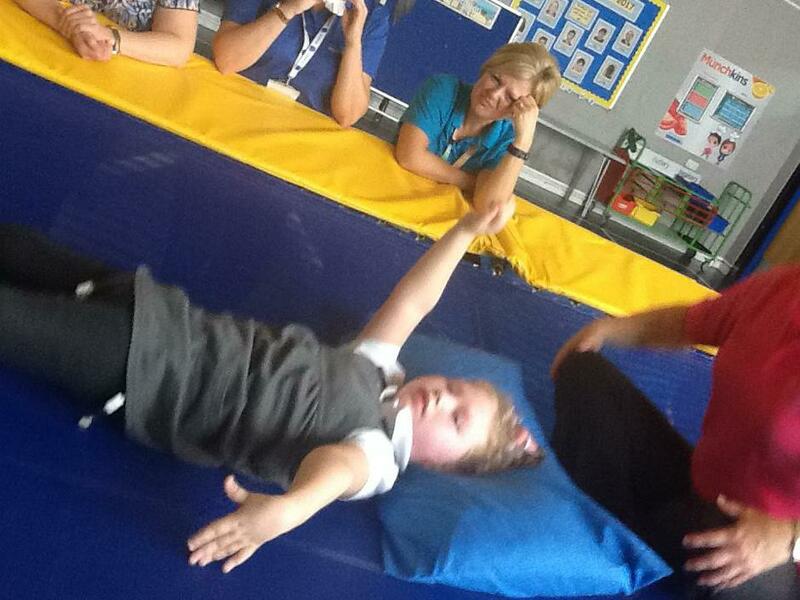 Swimming and Rebound Therapy will continue to take place on a rota basis. 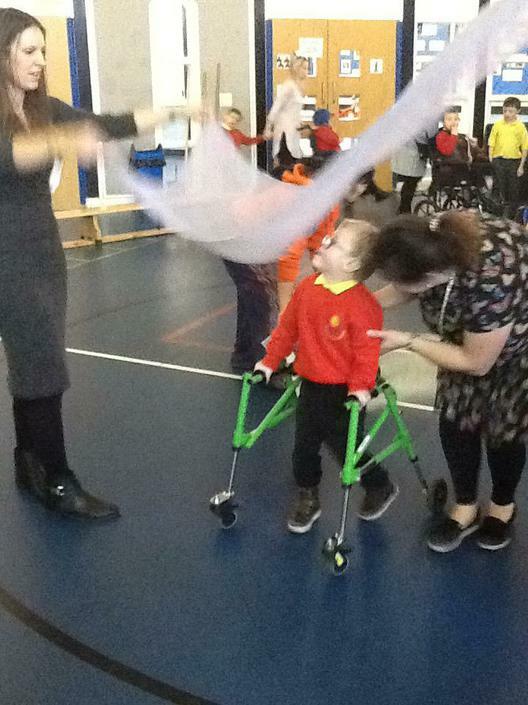 Literacy: The Band Performance Rehersal. 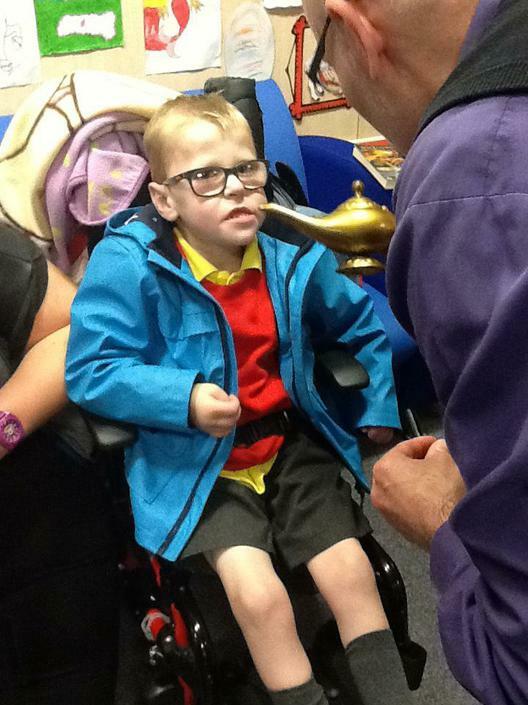 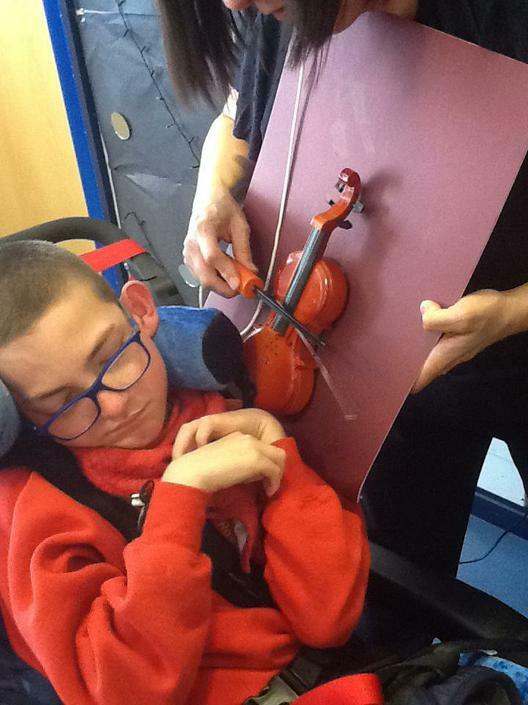 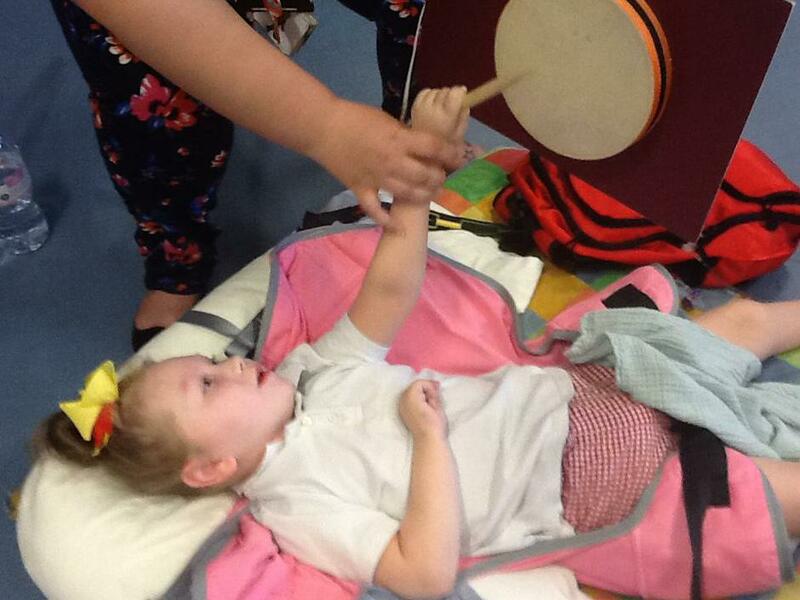 Students were given the opportunity to explore various musical instruments whilst listening to the Box Book story. 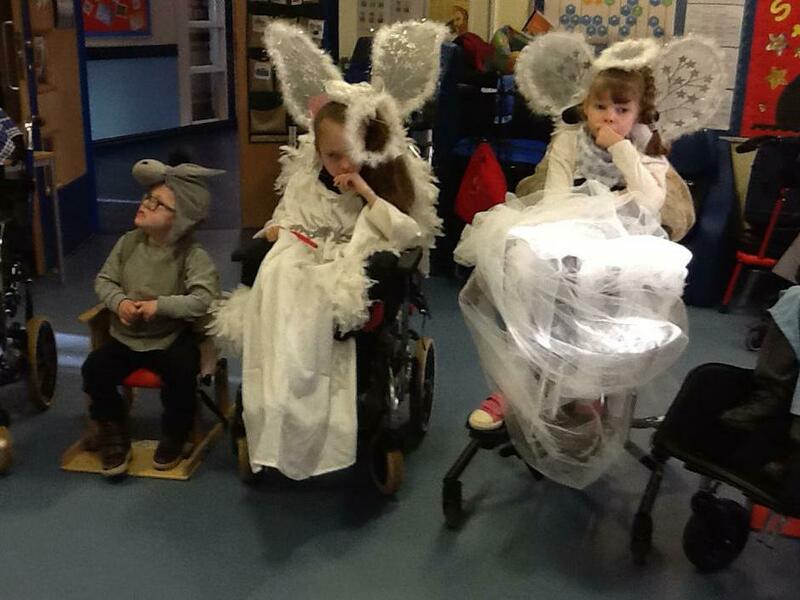 Literacy: Class outing to the Netherton local Library to partipate in shared reading. 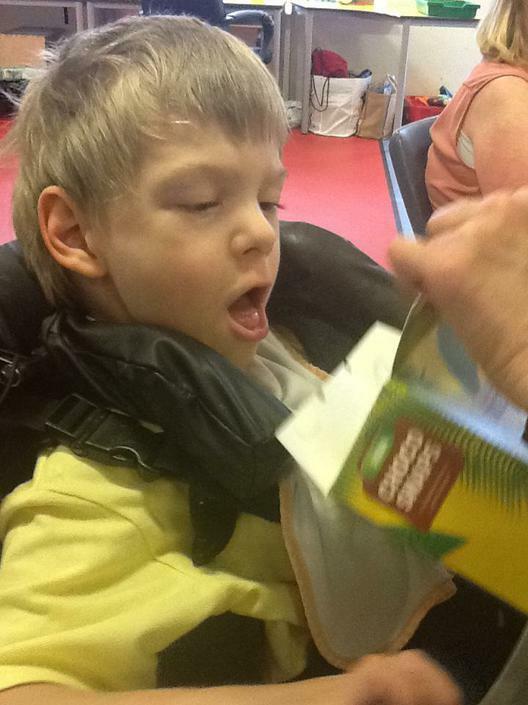 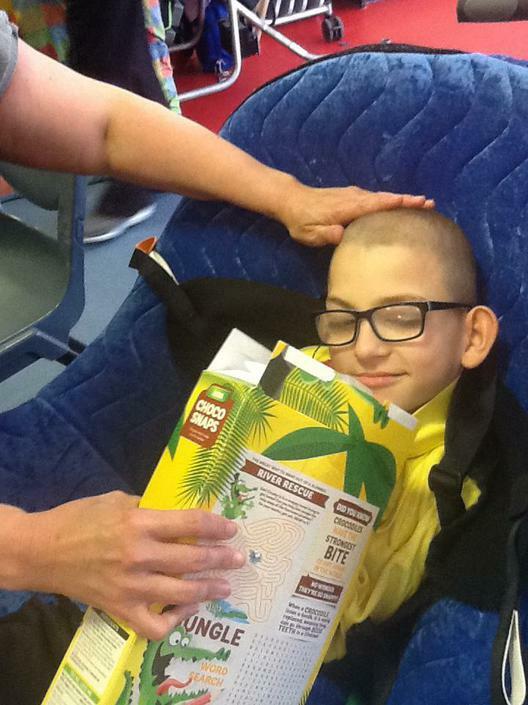 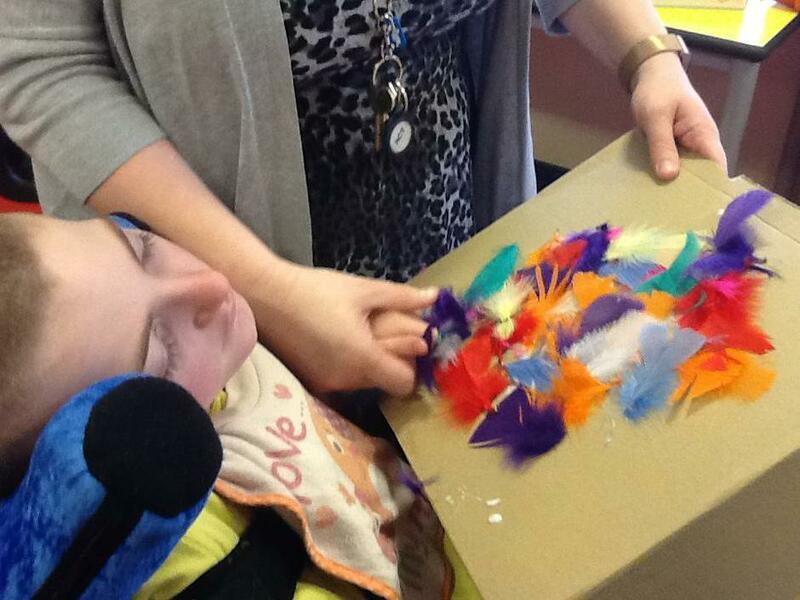 Students had fun exploring the different sensory elements of the Aladdin Box Book. 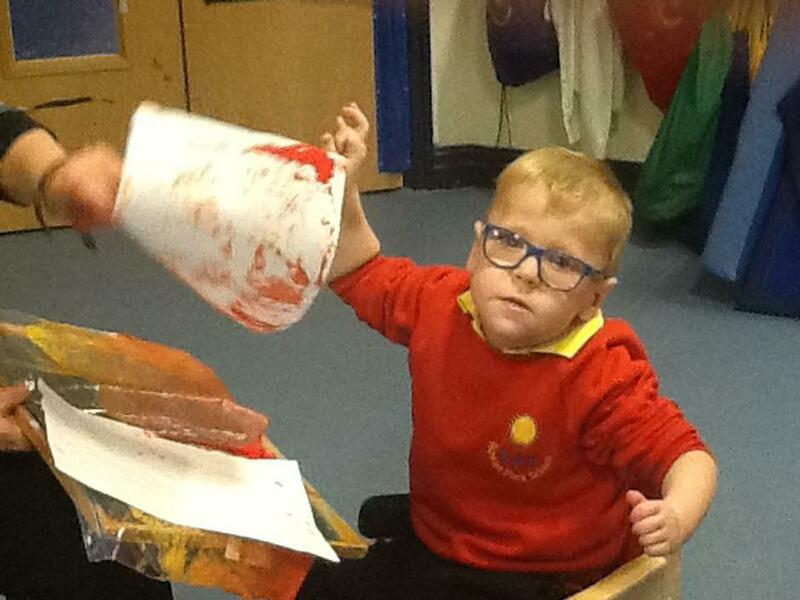 Art: Artist of the Month - Picasso. 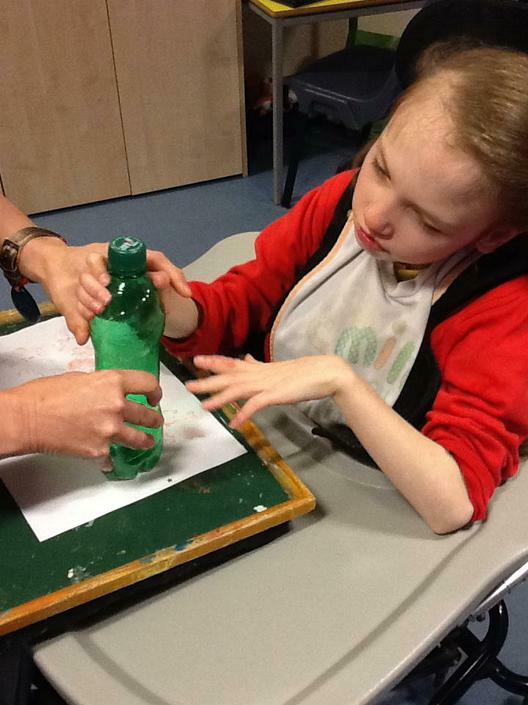 Students explored different materials, textures and used their own portrait photographs to create their own version of one of his most famous paintings - "The Weeping Woman". 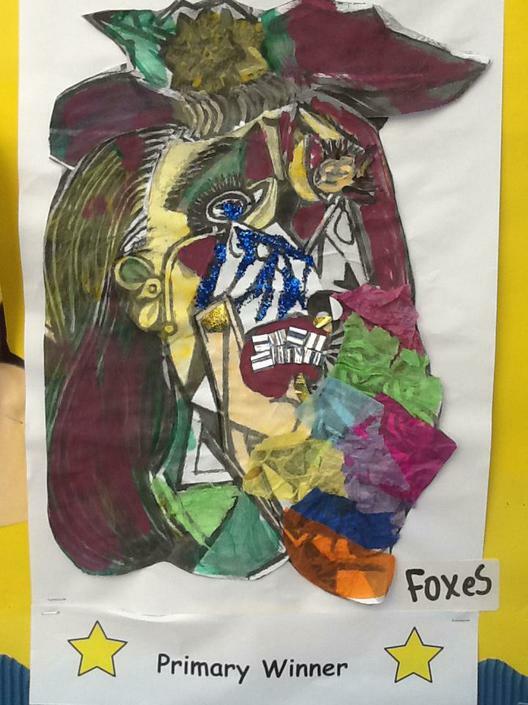 Foxes class even won the Primary entry for Artist of the Month Competition too! 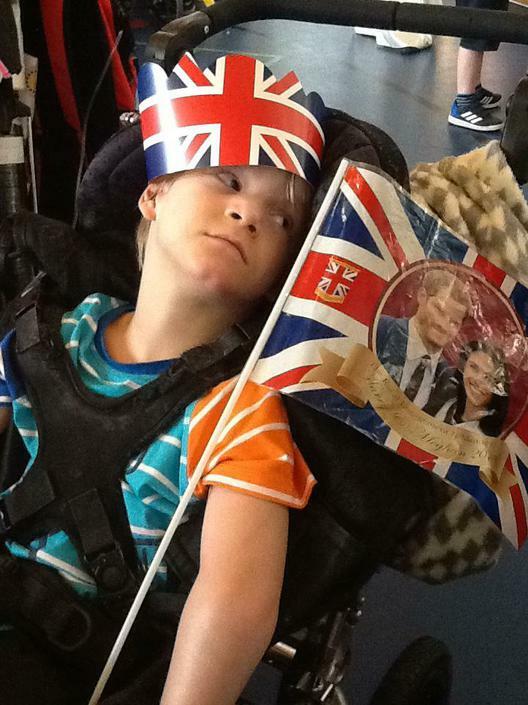 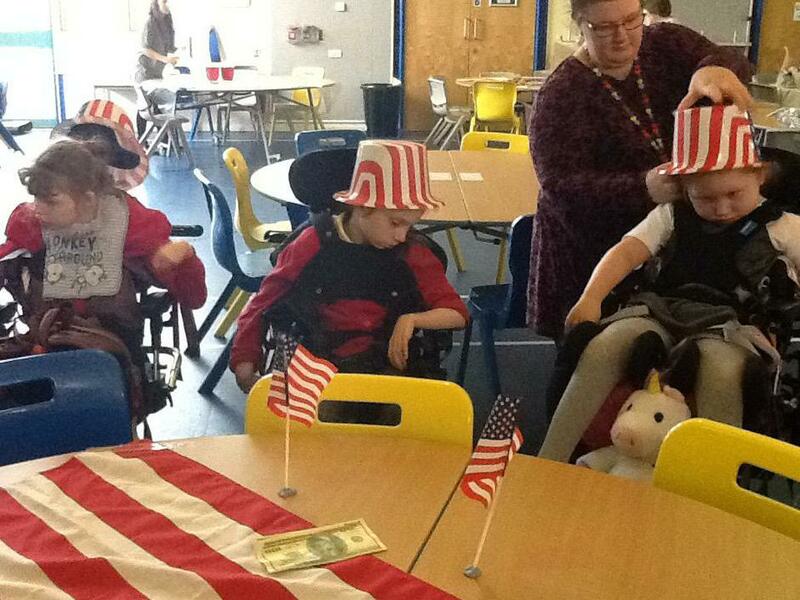 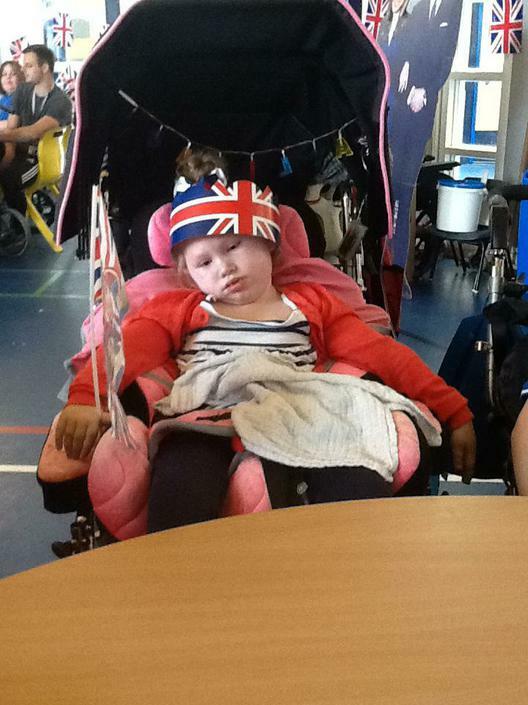 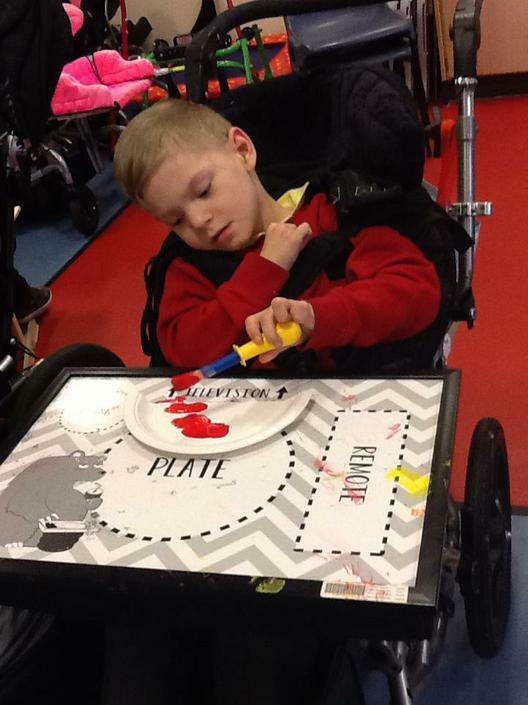 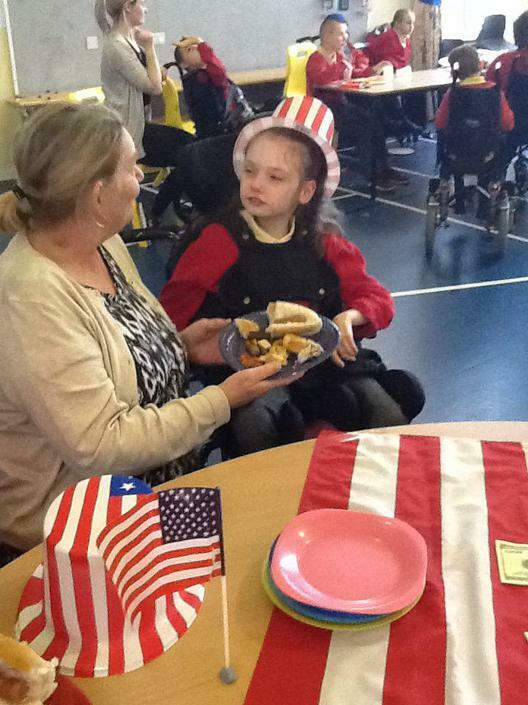 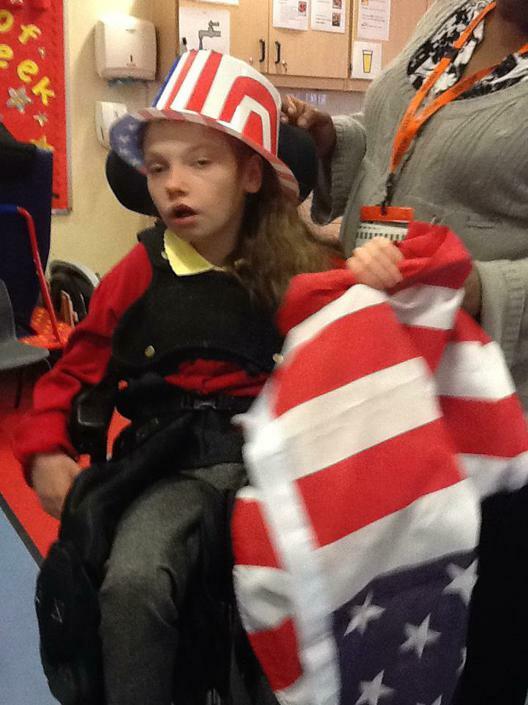 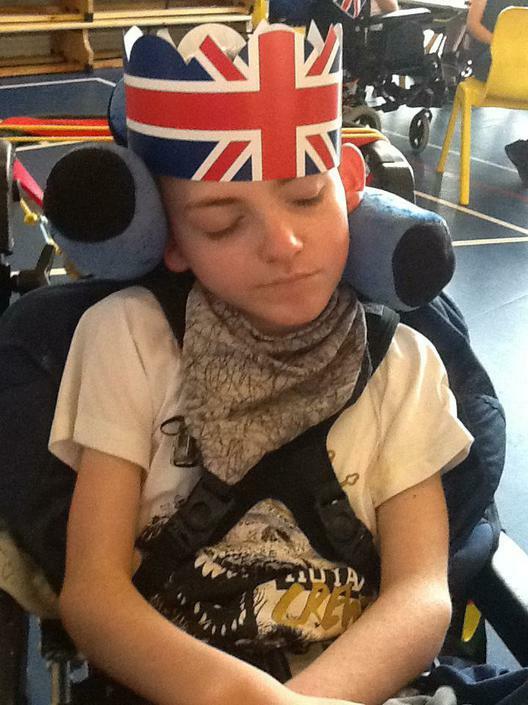 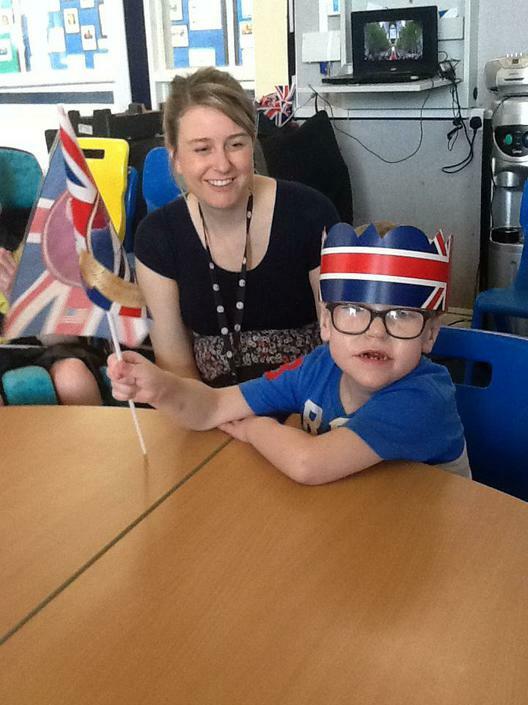 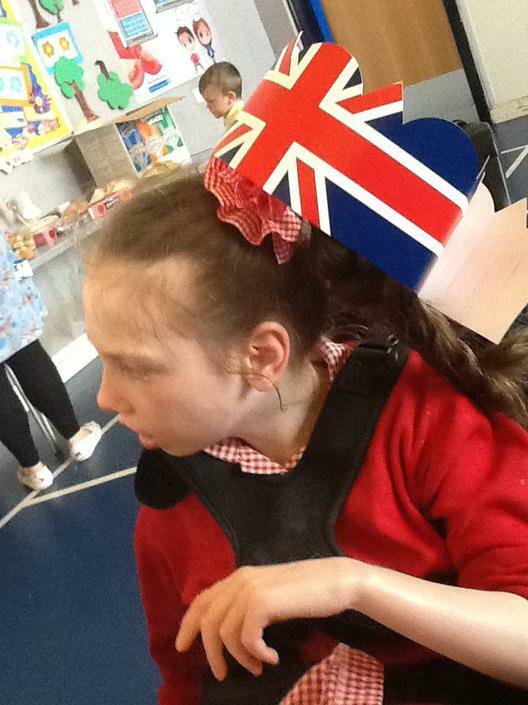 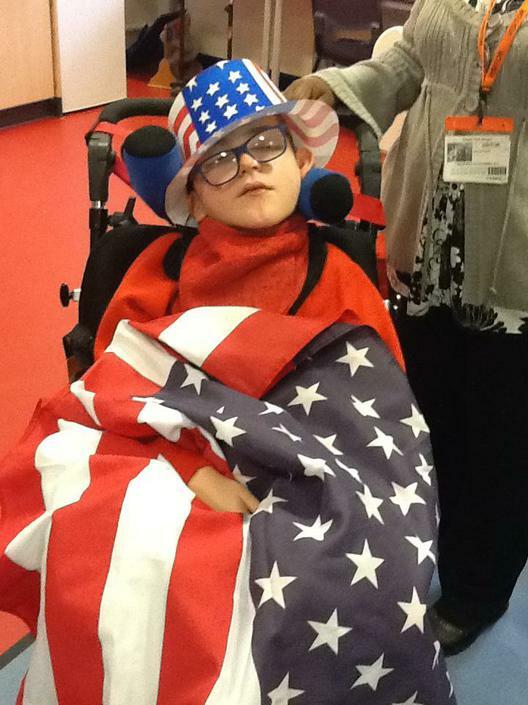 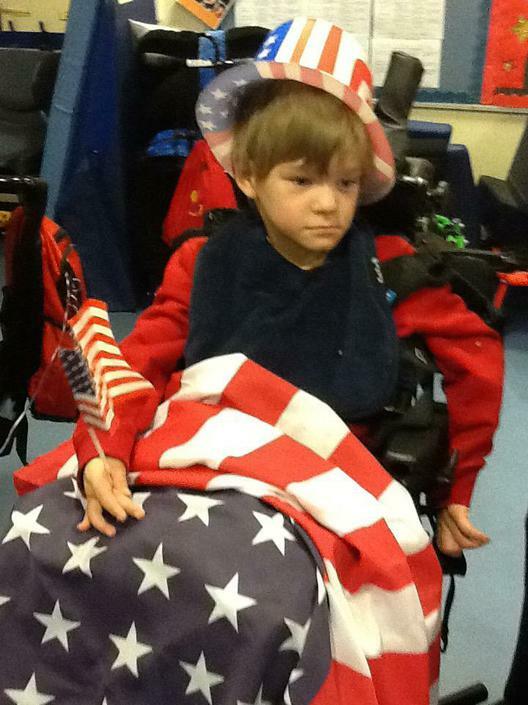 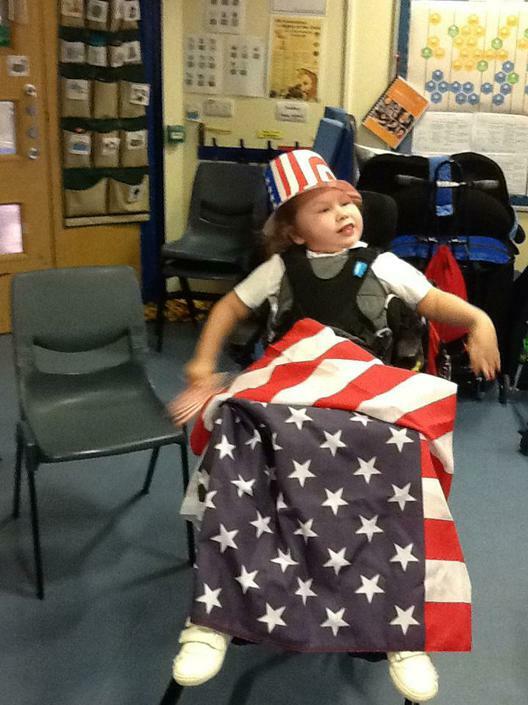 Harry and Meghan's Royal Wedding Party: Foxes class participated in a whole school event in celebrating the wedding of the year, by making food and dressing up in Union Flag hats.. 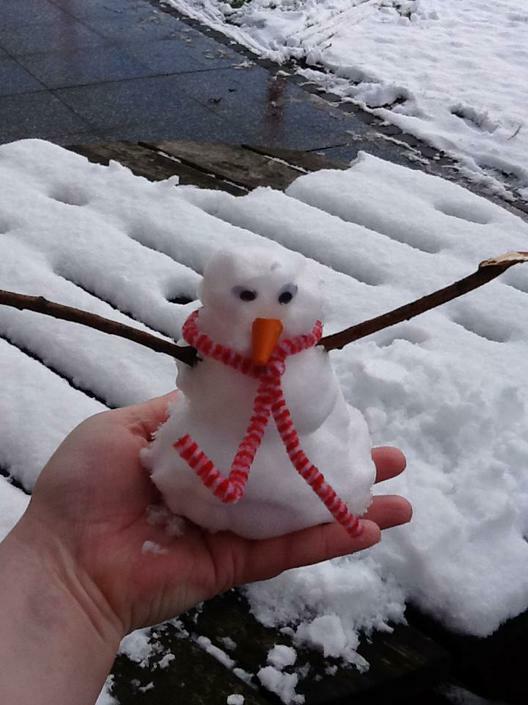 Welcome to Spring Term 2018. 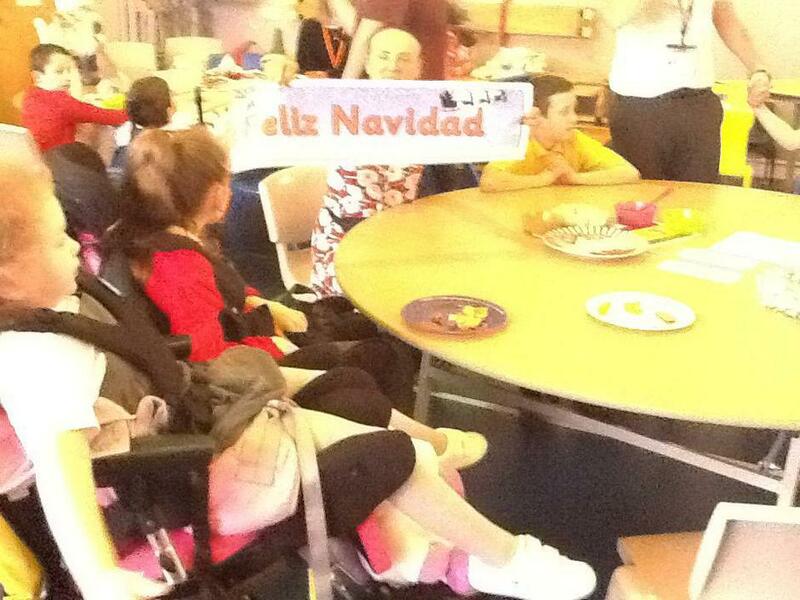 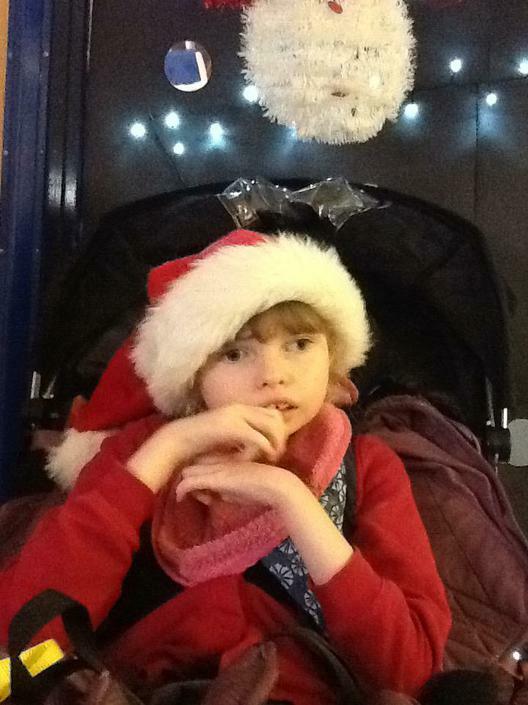 We hope that you have had a very happy Christmas and wish you all a happy and healthy new year. 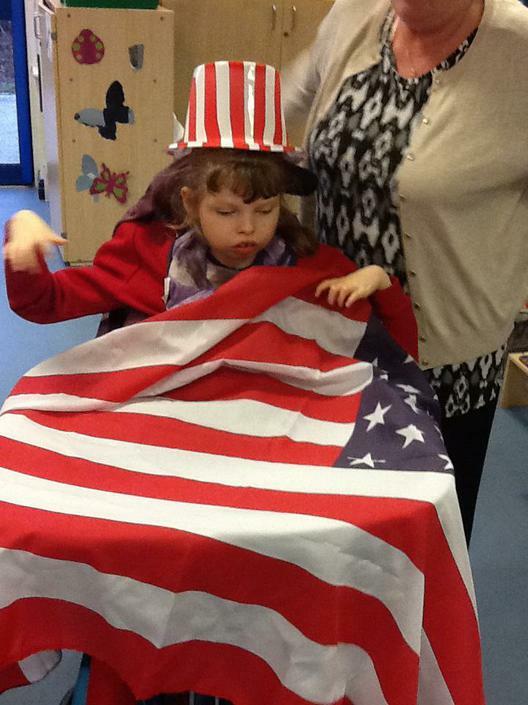 This is our shortest term, but one that is action packed with lots of festivals, celebrations and activities. 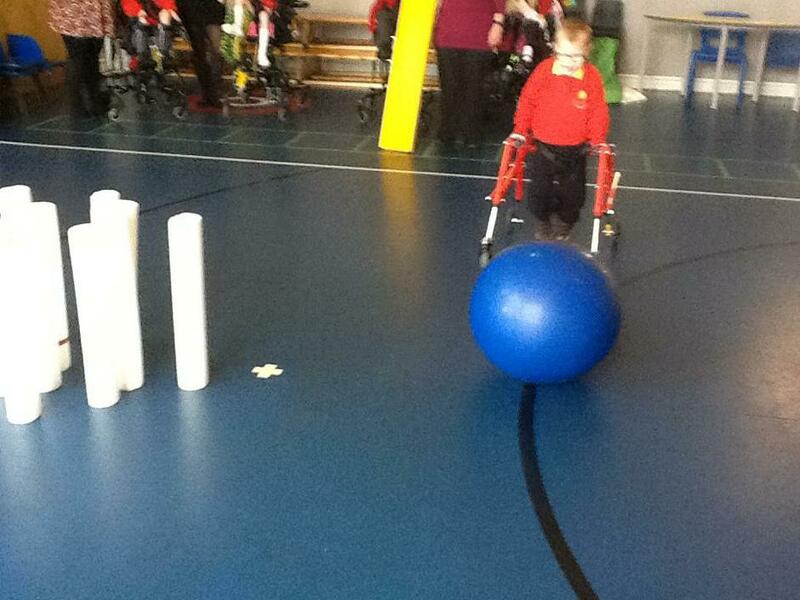 In Mathematics, we will be exploring number, shape, space and measure. 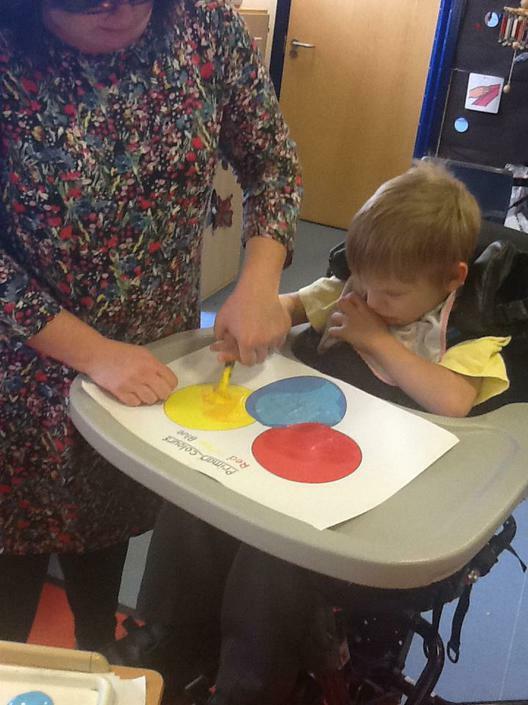 We will be participating in the NSPCC Number Day, having fun learning, whilst raising money for charity. 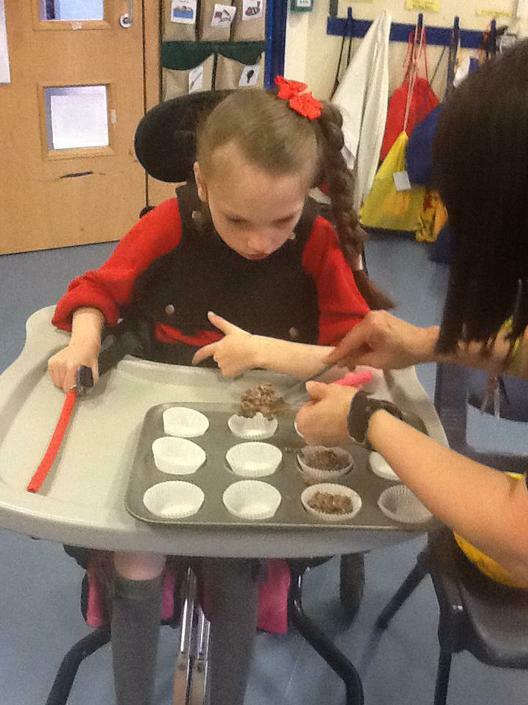 D.T: Cookery- we will be making a variety of cakes and biscuits. 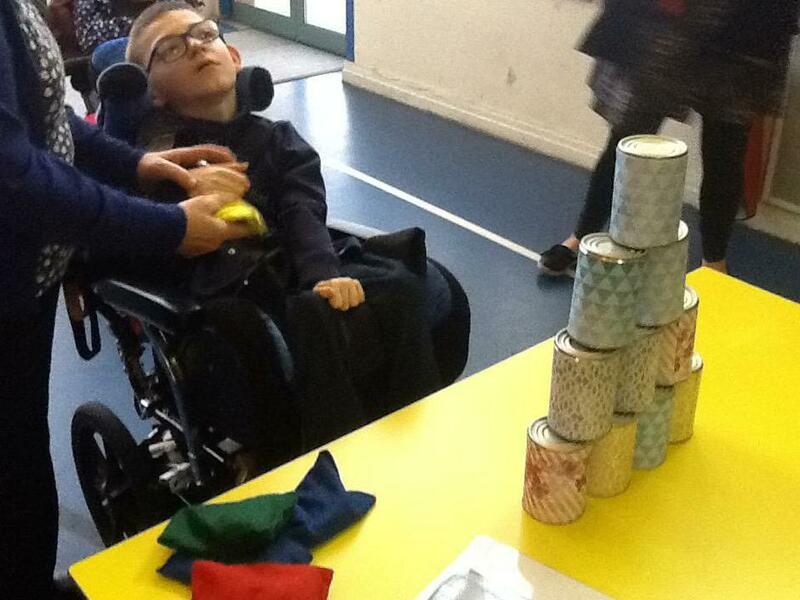 In P. H. S. E. & C we will continue our work on learning about ourselves, friendship and others, and participate in charity fundraising events. 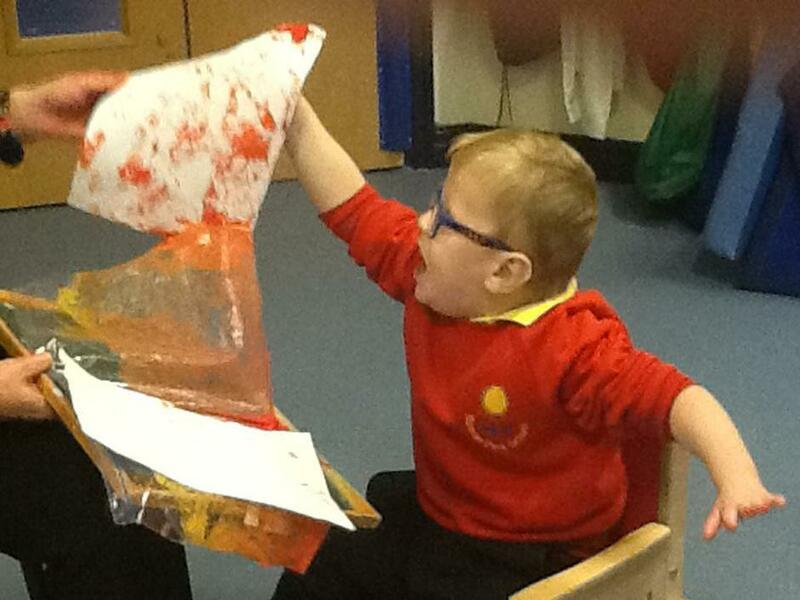 In Art our focus will be on Chinese New Year. 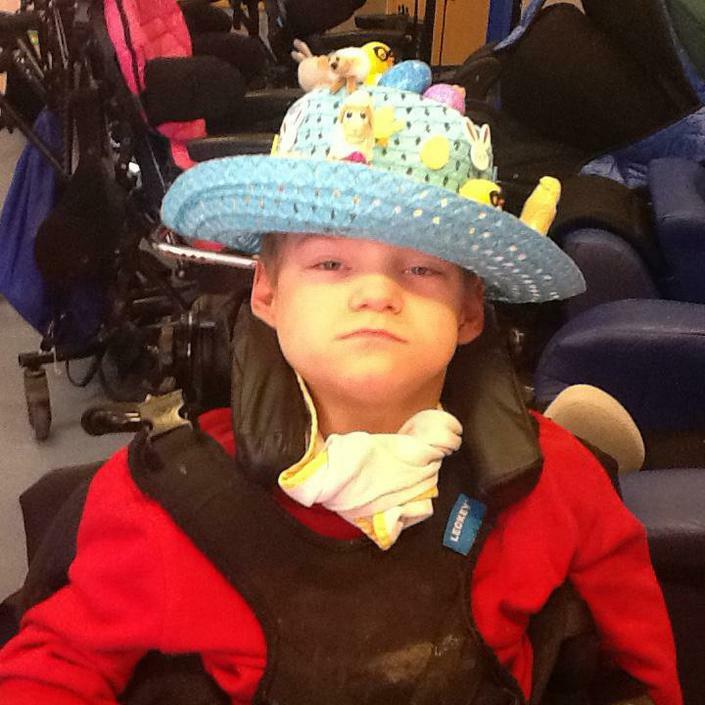 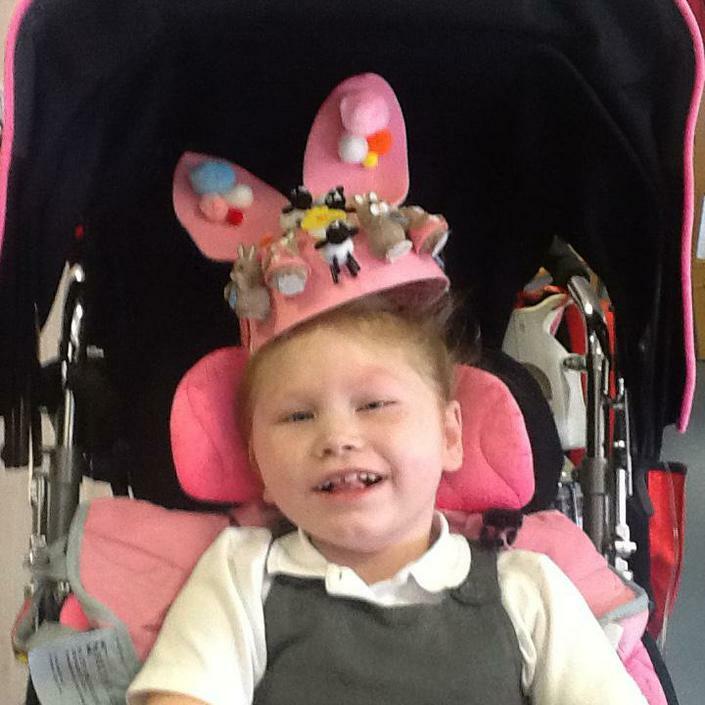 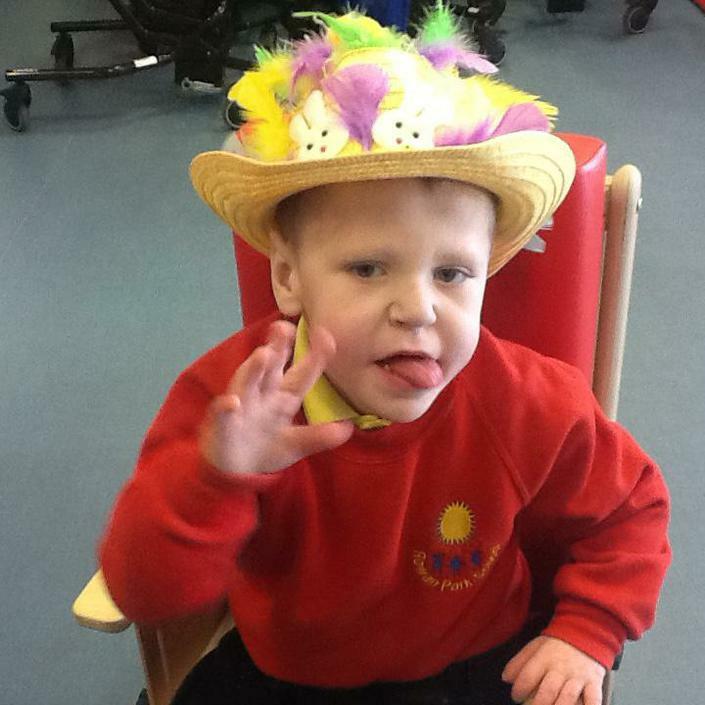 Easter Activities: Egg rolling and Easter Bonnet making. 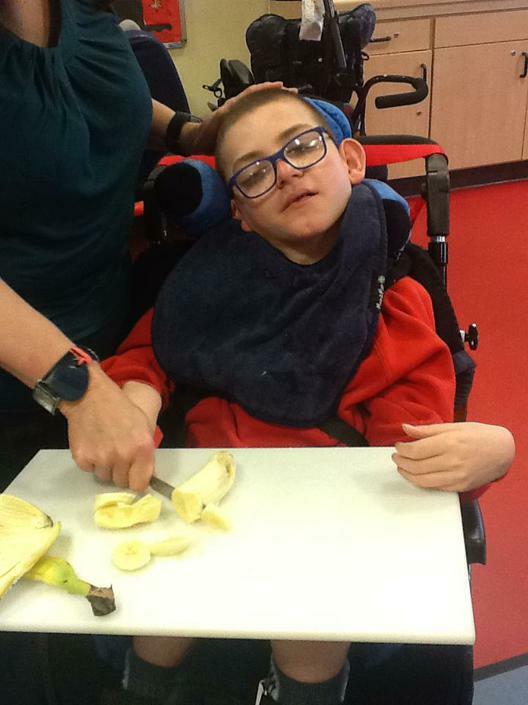 Welcome to Autumn Term 2017 in class Foxes. 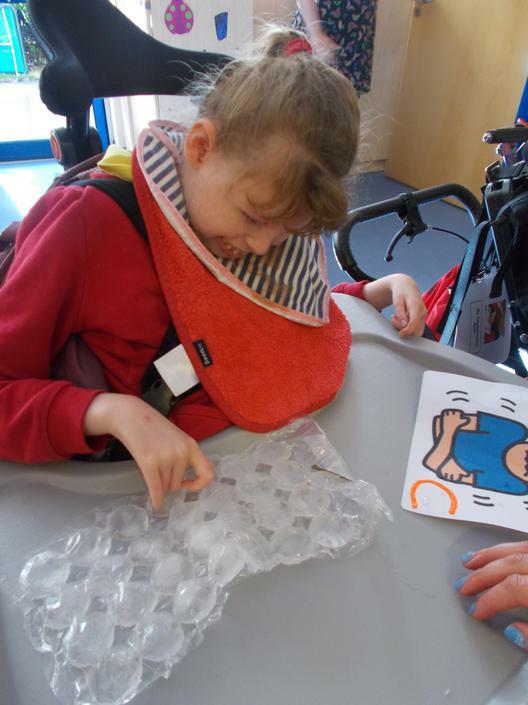 We have a busy term ahead of us with lots of new and exciting things in store. 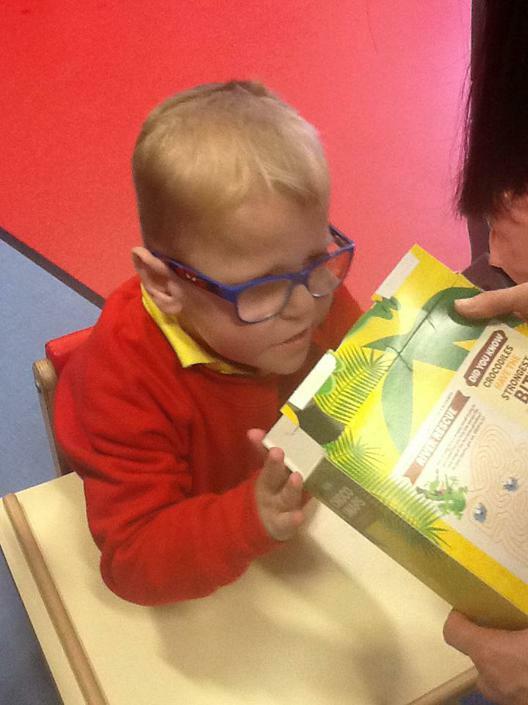 In Literacy we will be exploring box book fiction and sensory stories, Titles include ' Gran's Visit' and '3 Billy goats Gruff' and 'A Christmas Story'. 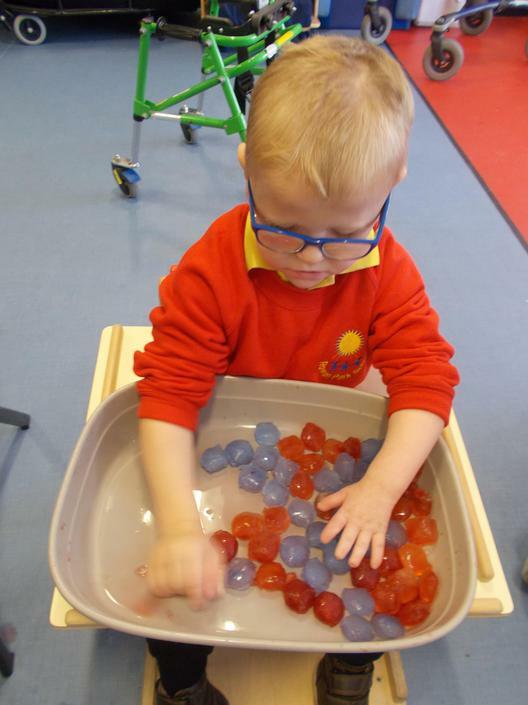 In Mathematics, we will be exploring number, shape, space and measure. 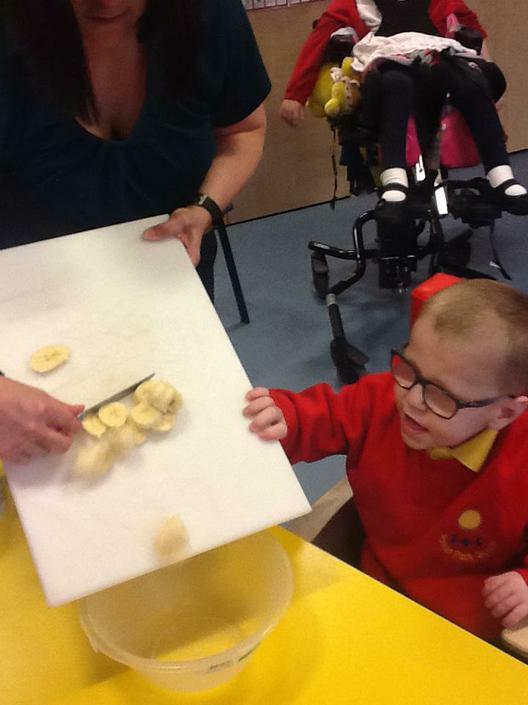 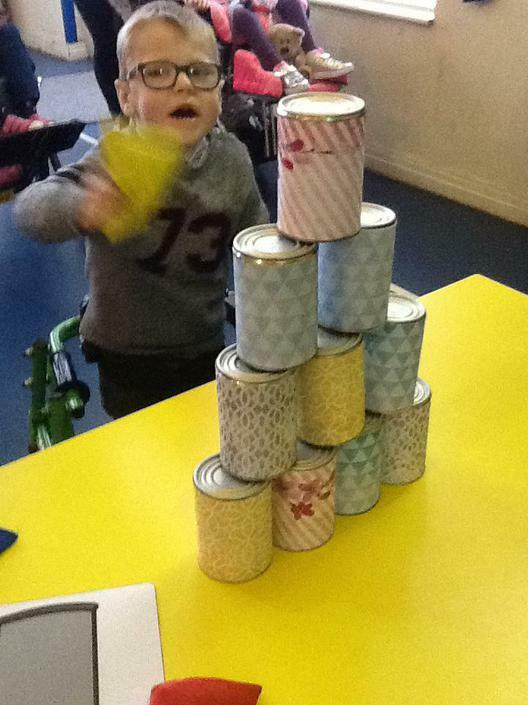 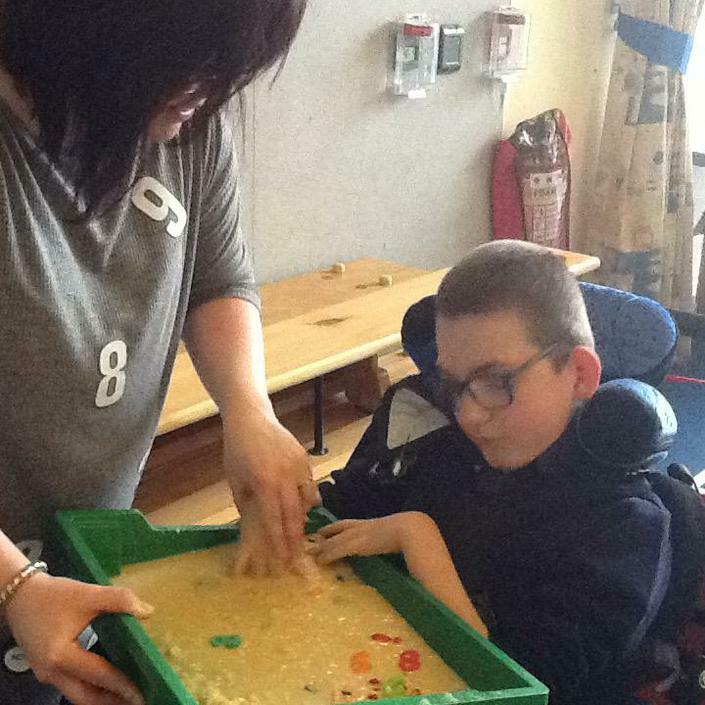 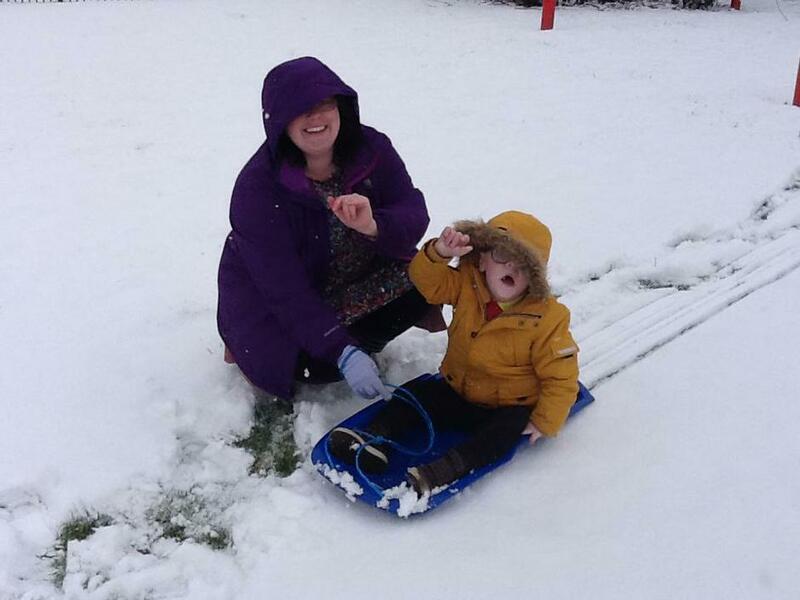 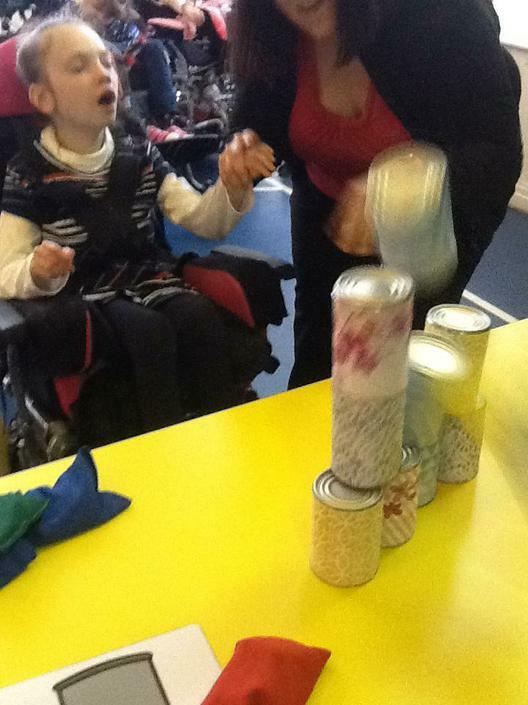 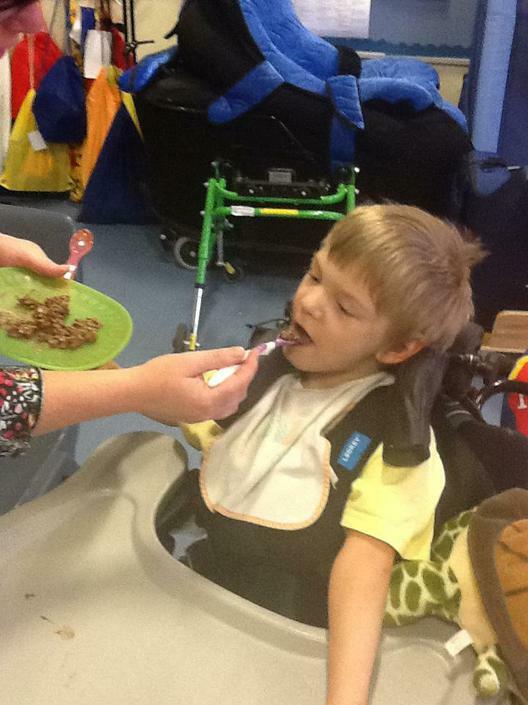 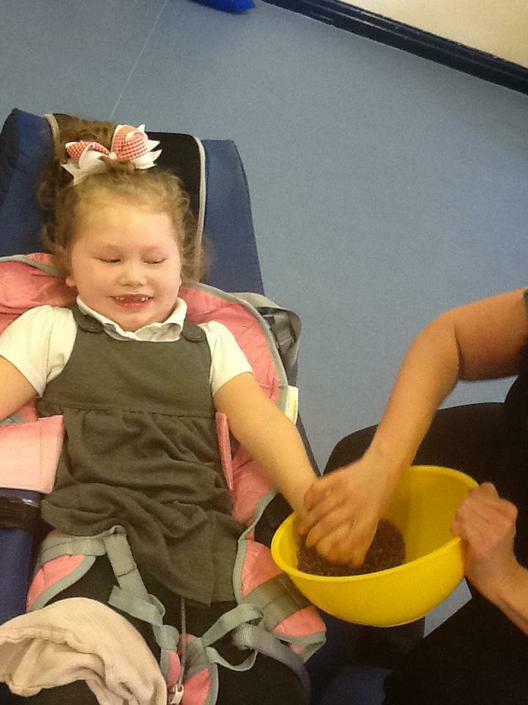 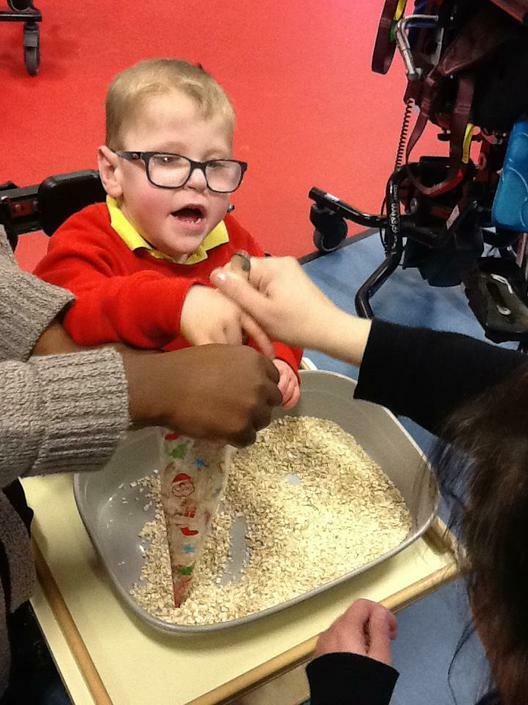 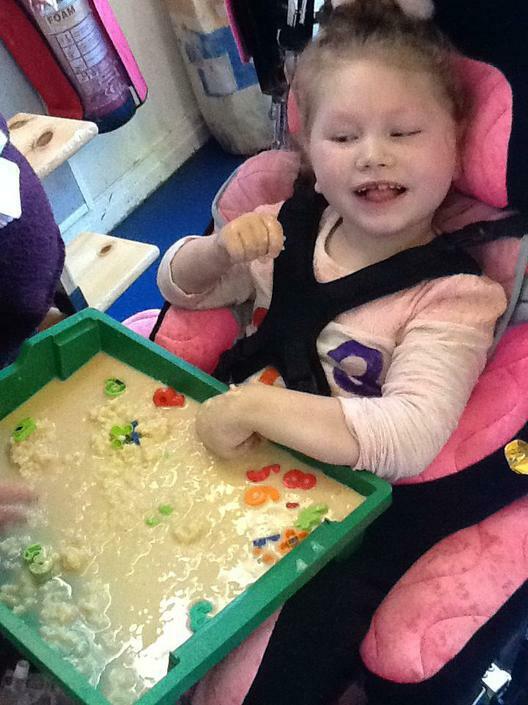 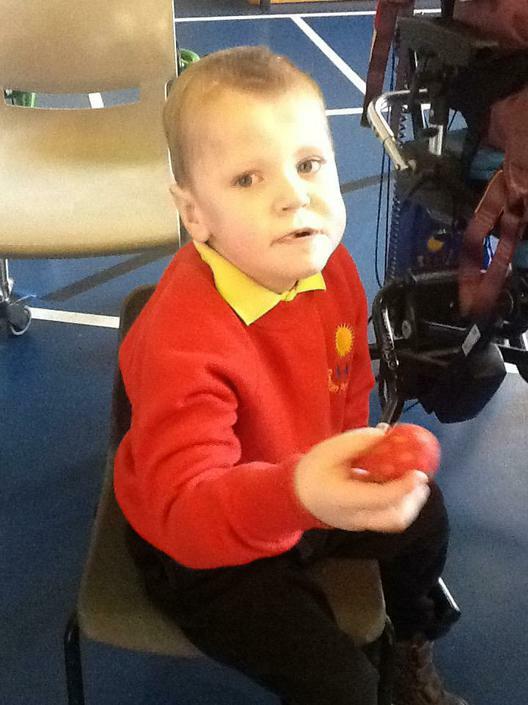 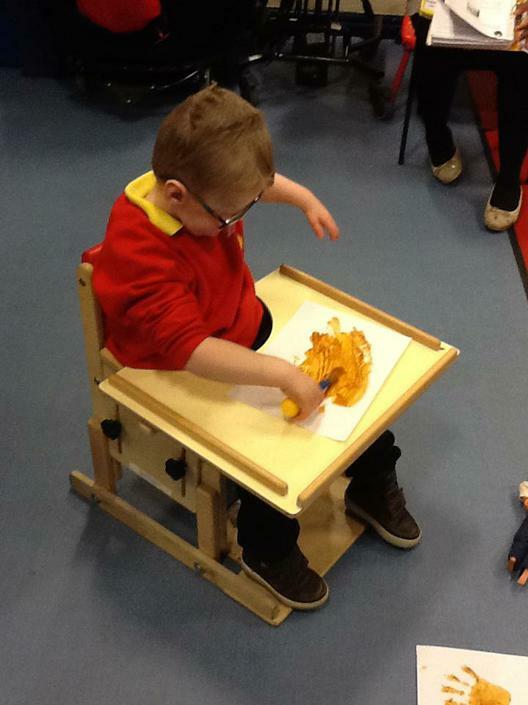 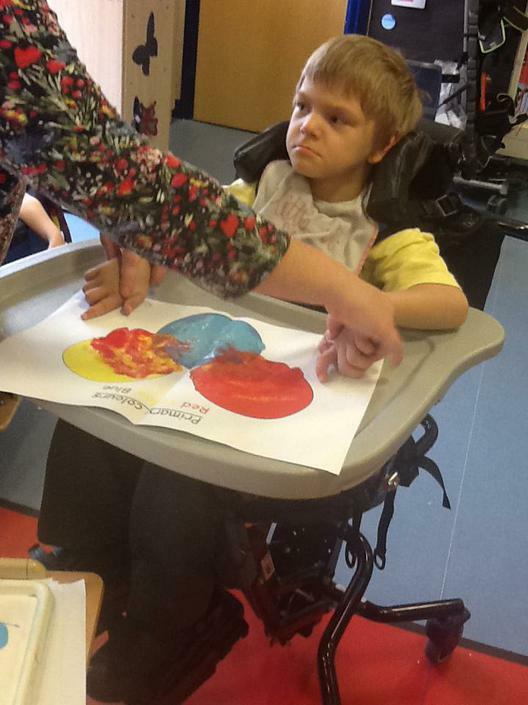 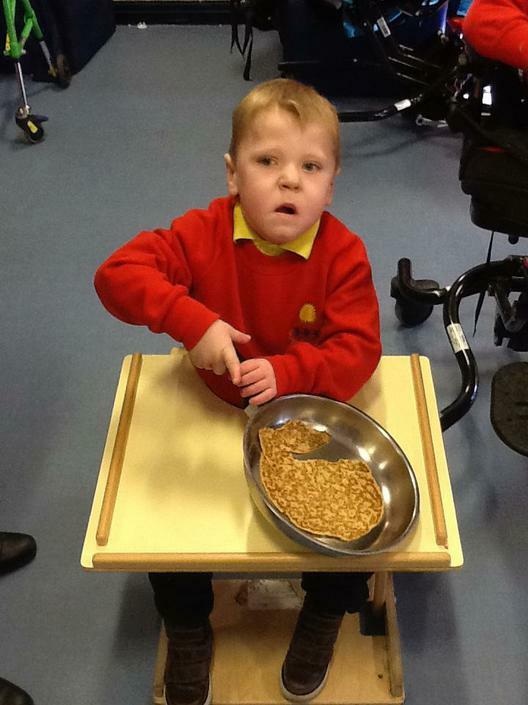 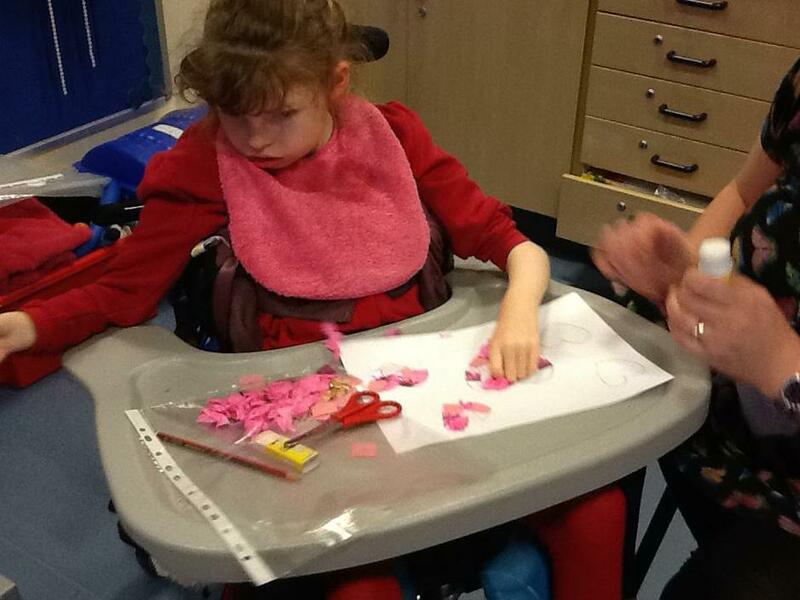 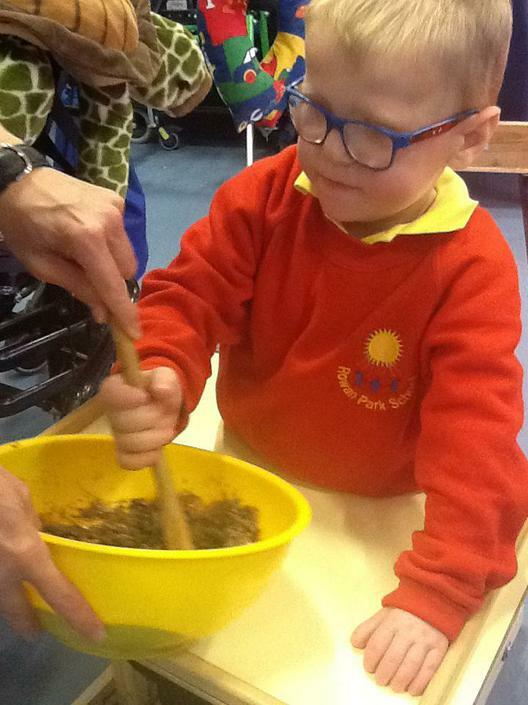 Through number songs and counting activities, sensory play and cookery activities. 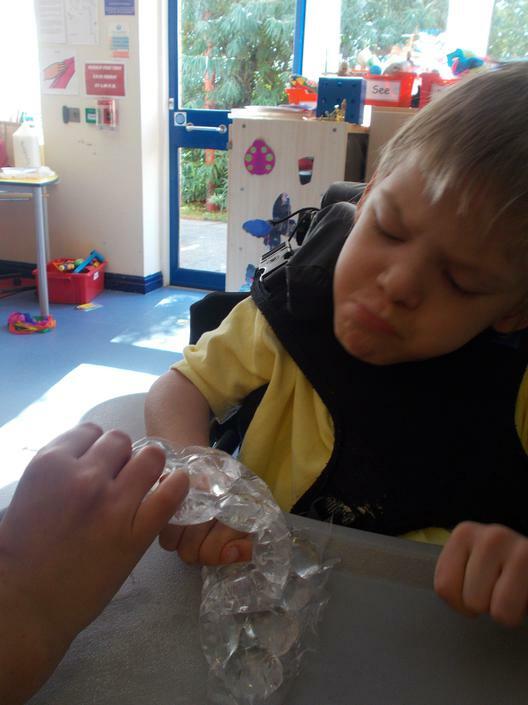 In Science we will be exploring properties of materials: Hot and Cold & Hard and Soft. 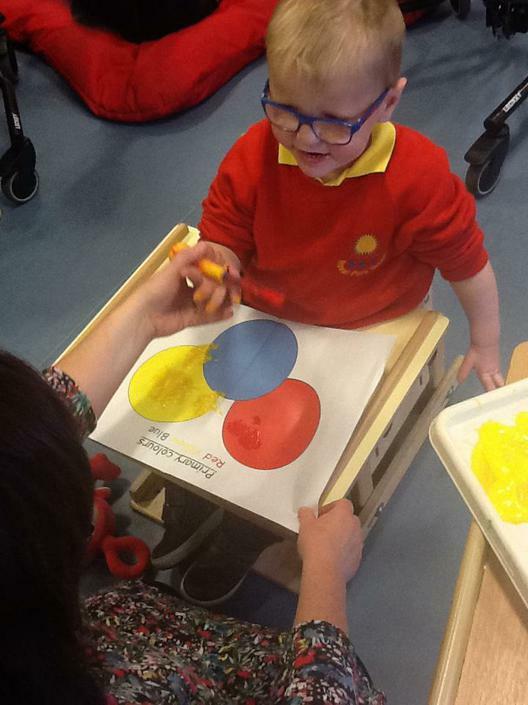 ART: Exploring the Primary colours, Red, Yellow, Blue and mixing them together to form the Secondary colours, Orange, Purple and Green. 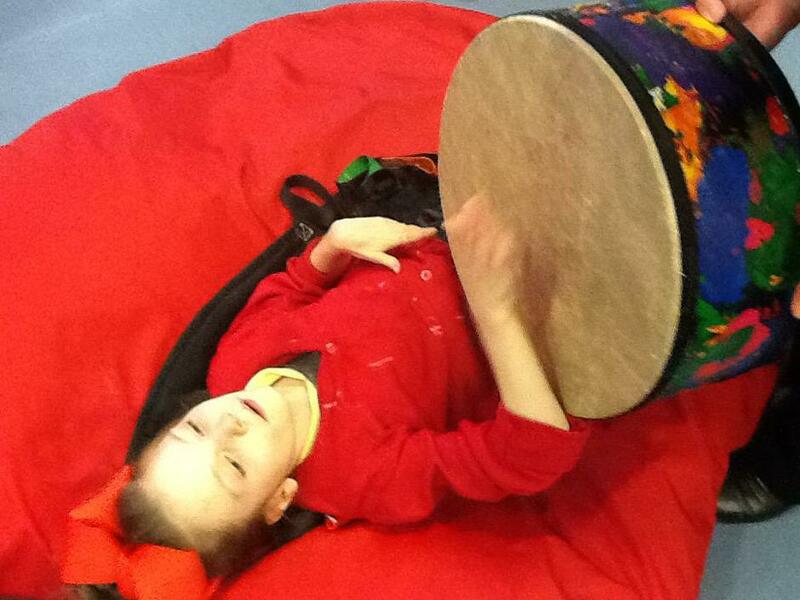 MUSIC: Exploring various instruments to accompany our Billy Goats Gruff story. 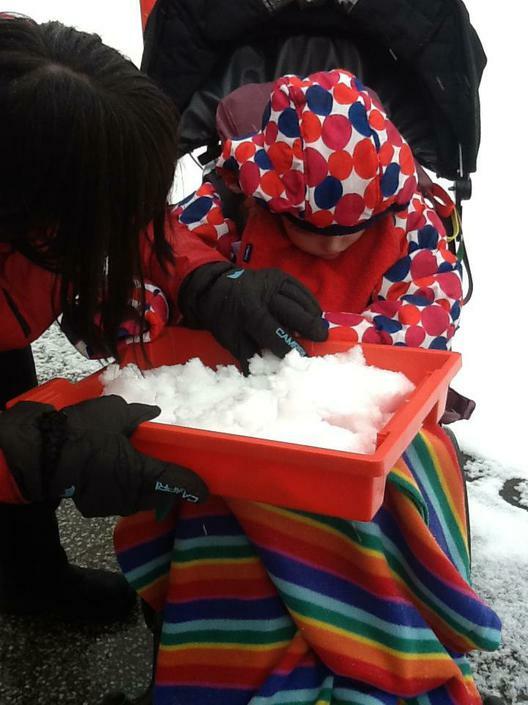 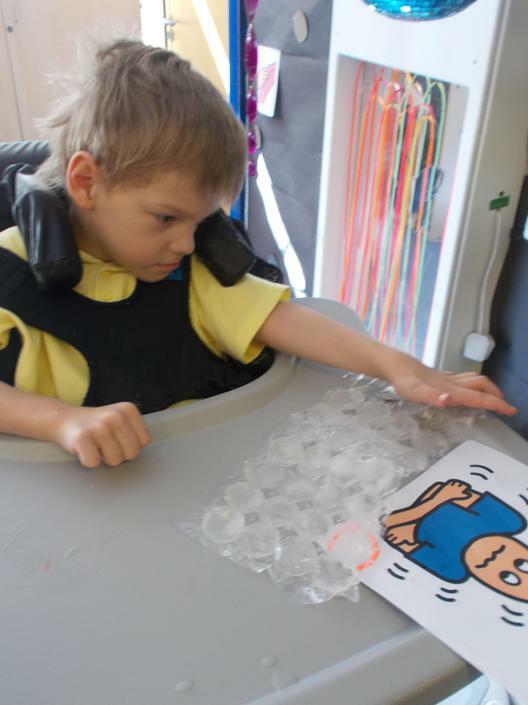 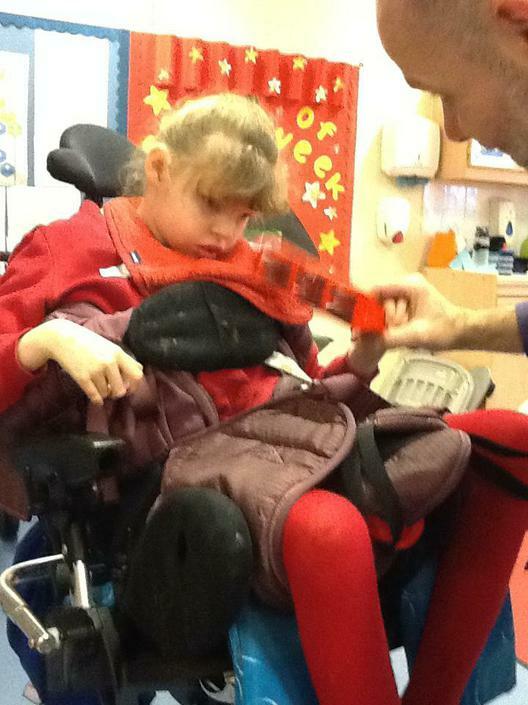 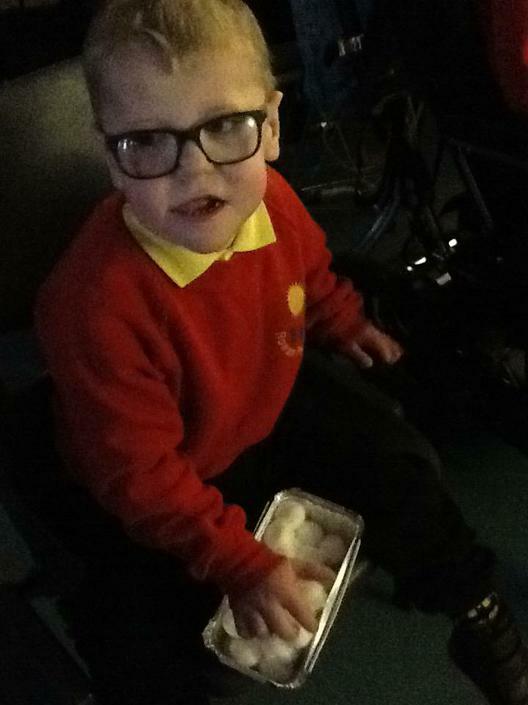 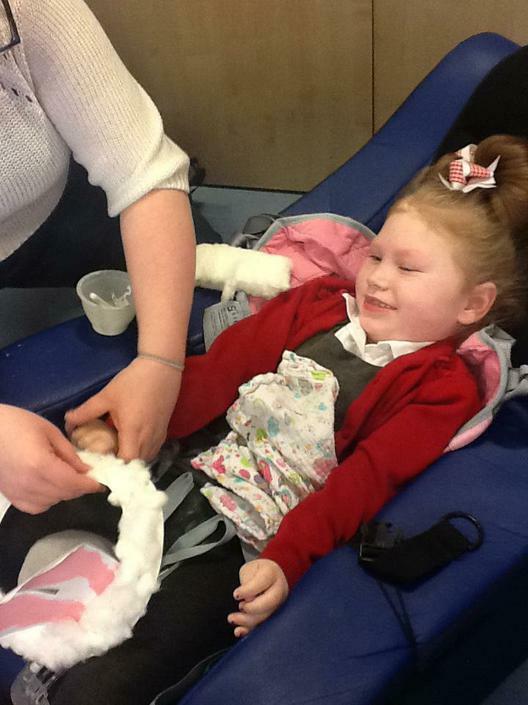 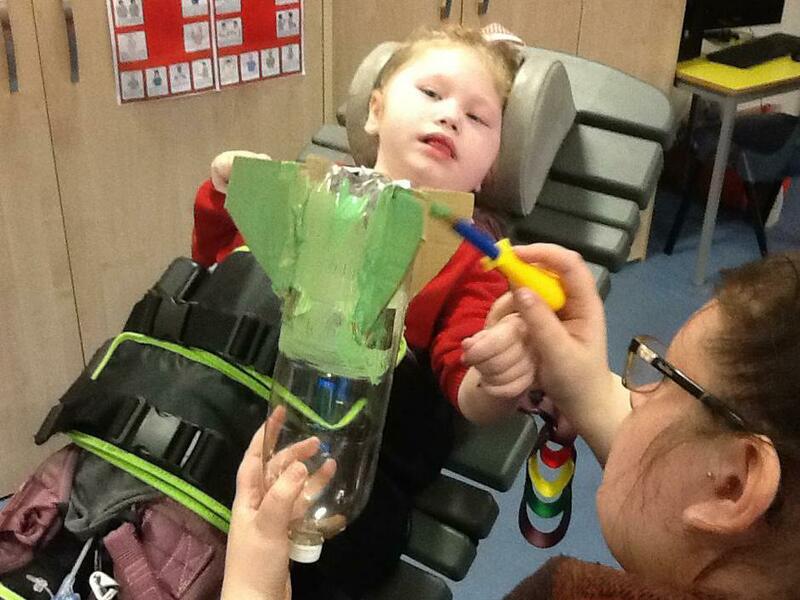 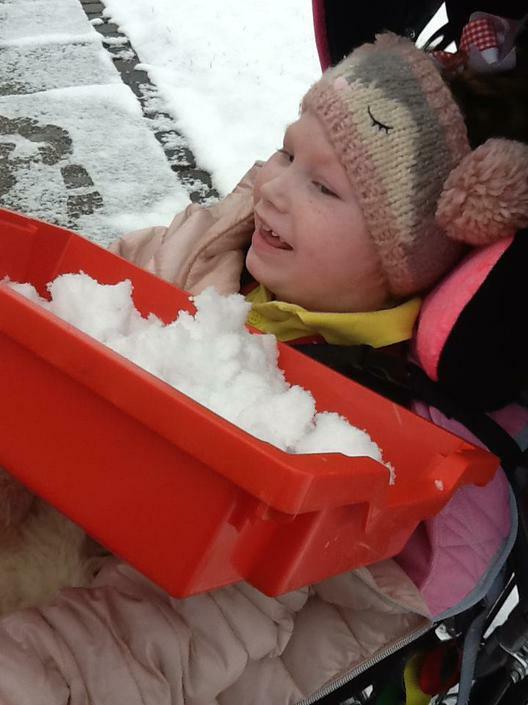 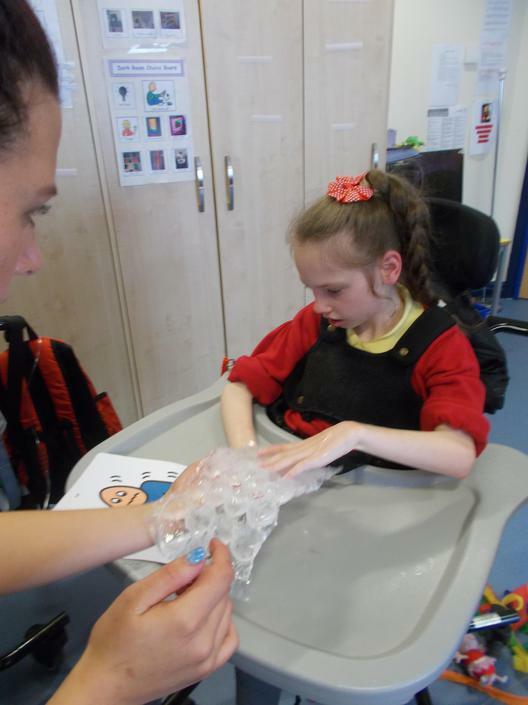 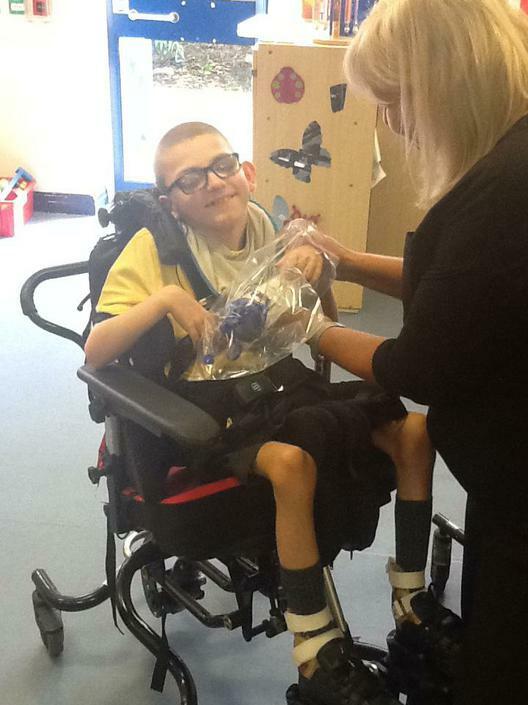 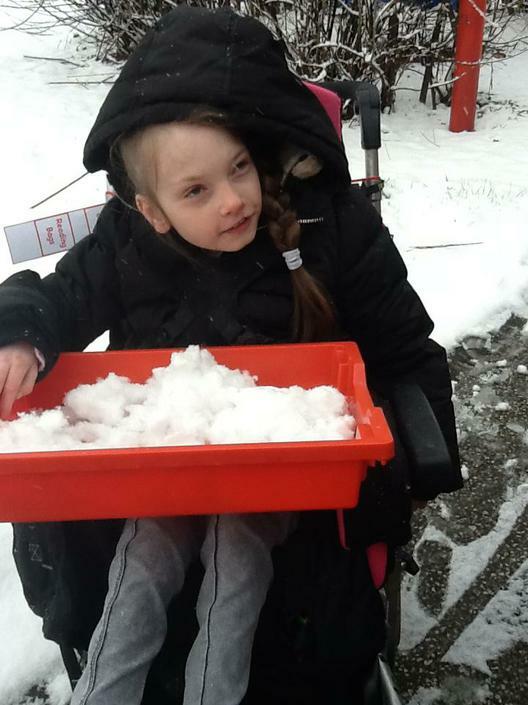 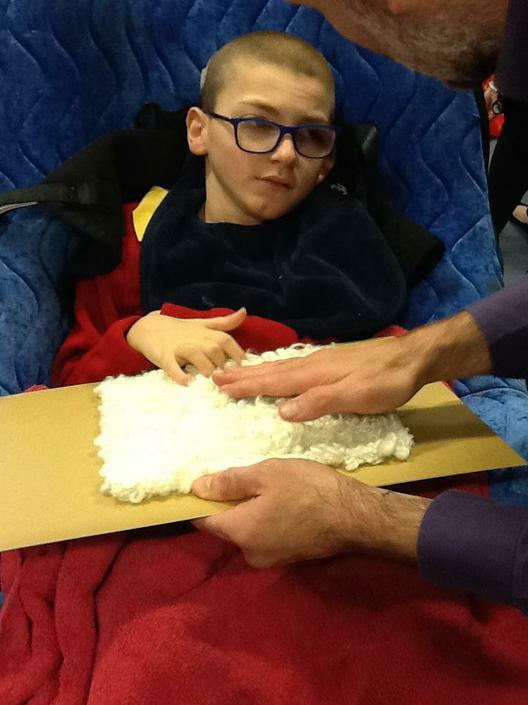 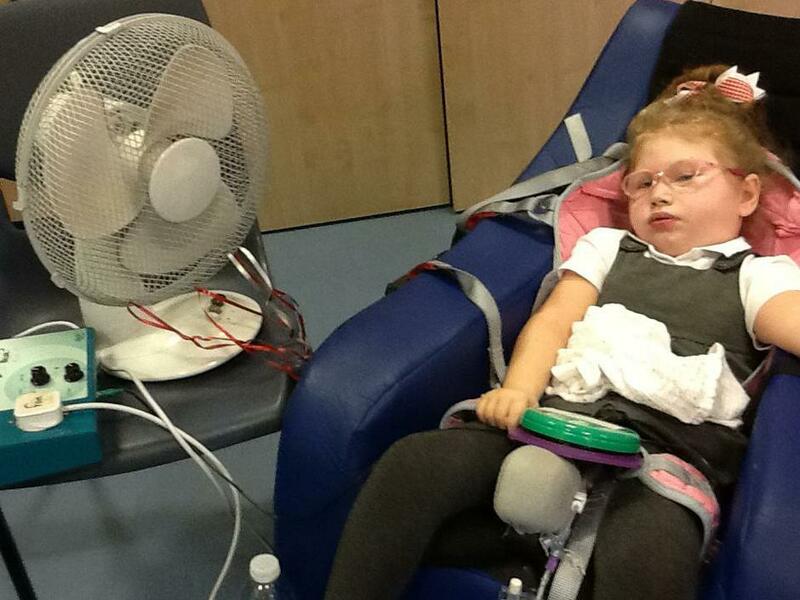 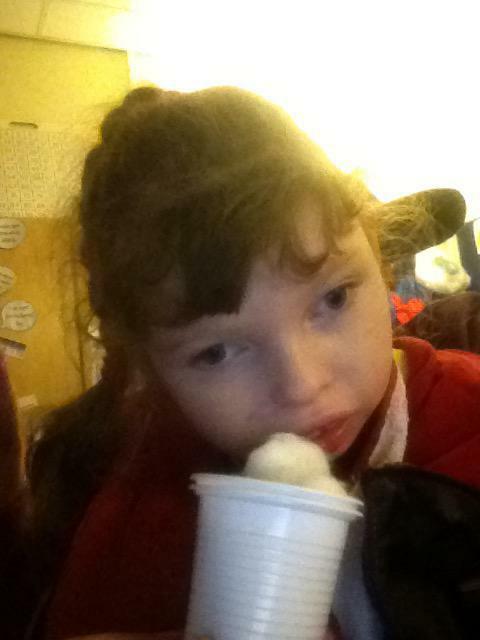 SCIENCE: Exploring all things Hot and Cold, with ice and hot water bottles. 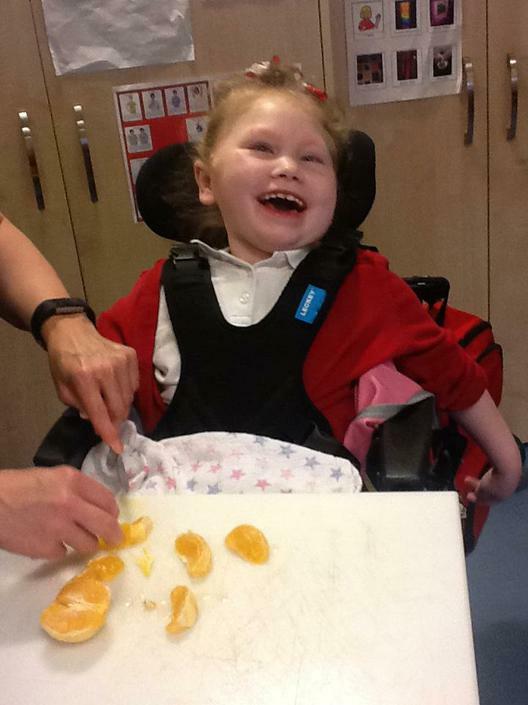 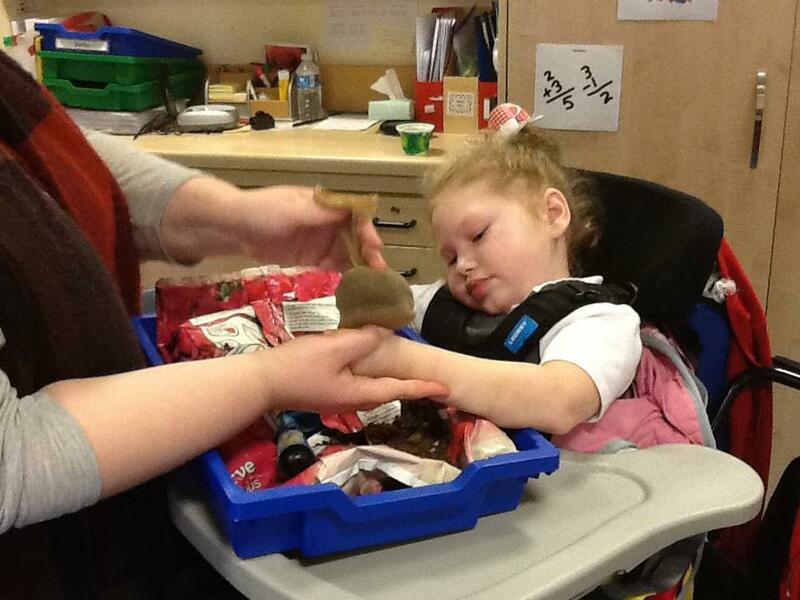 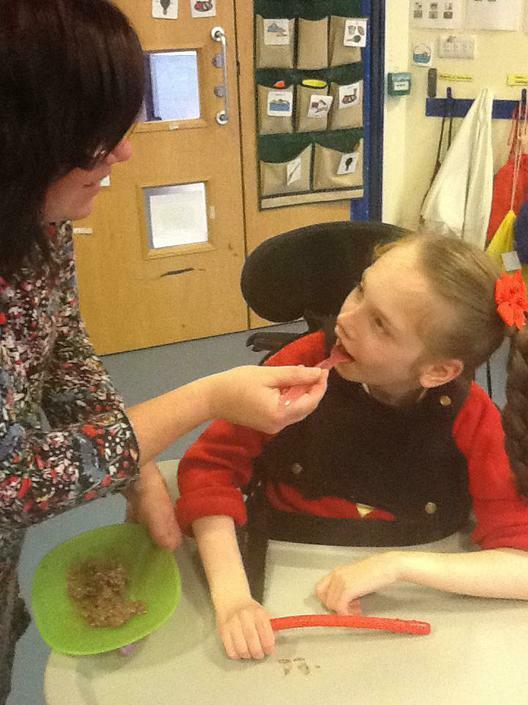 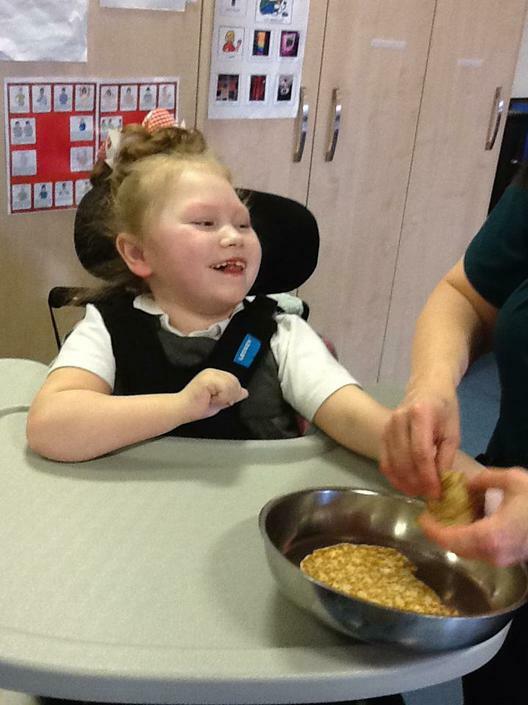 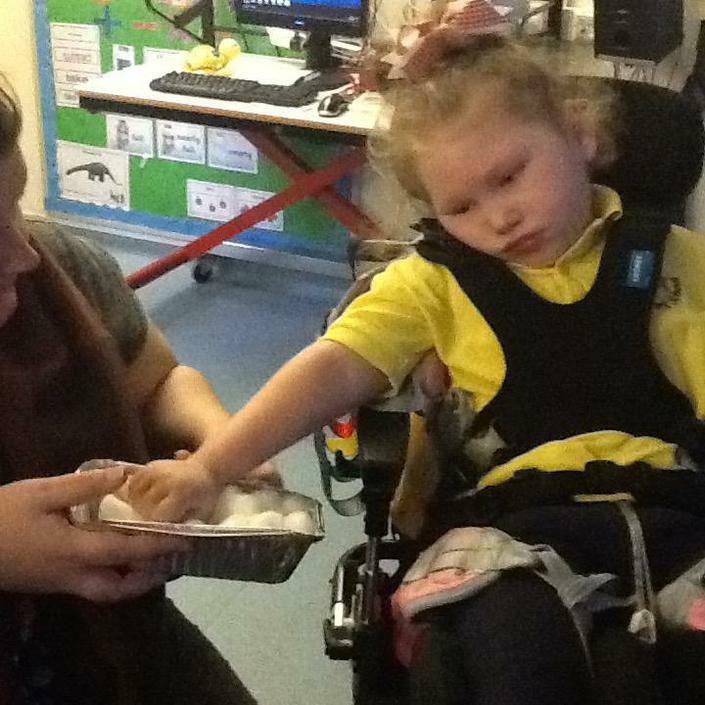 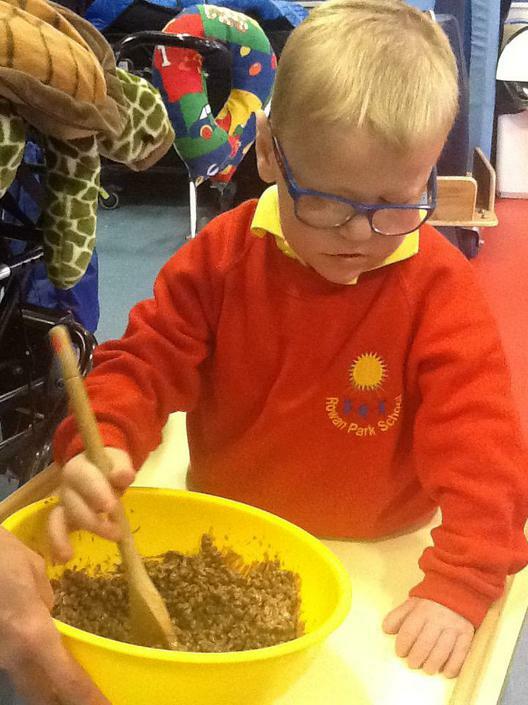 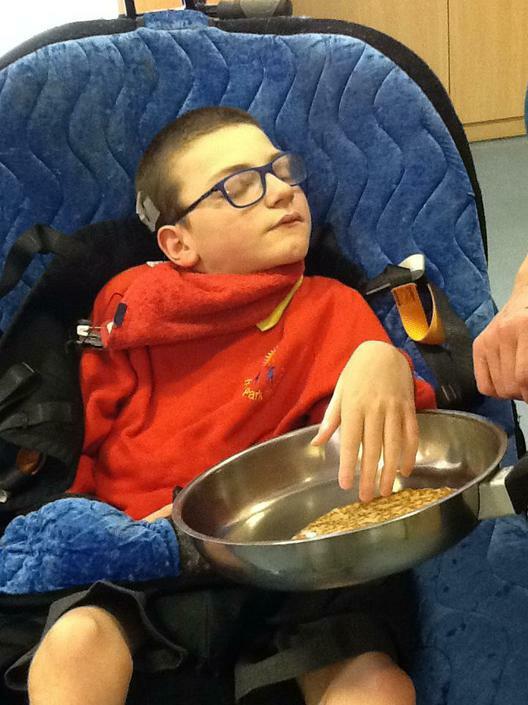 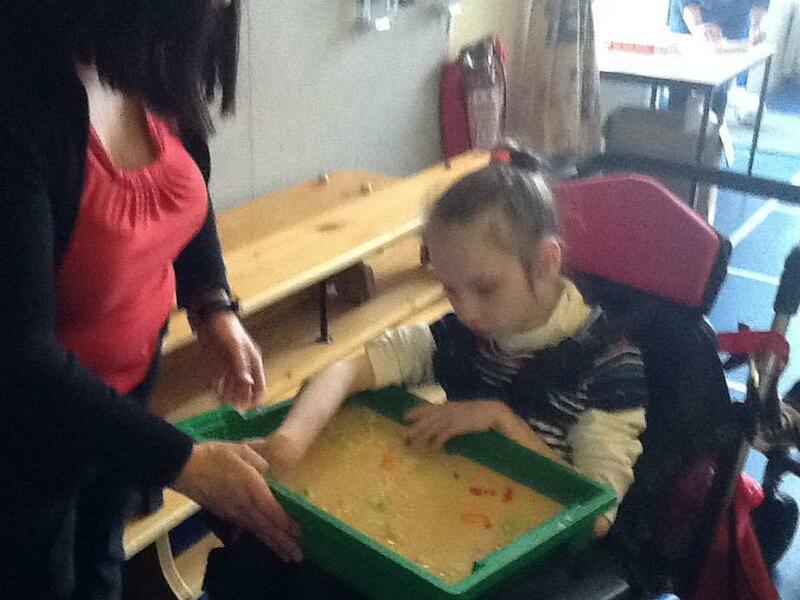 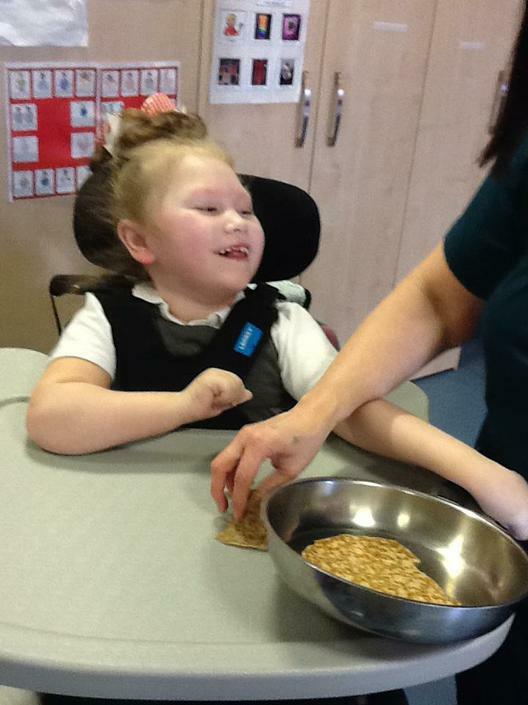 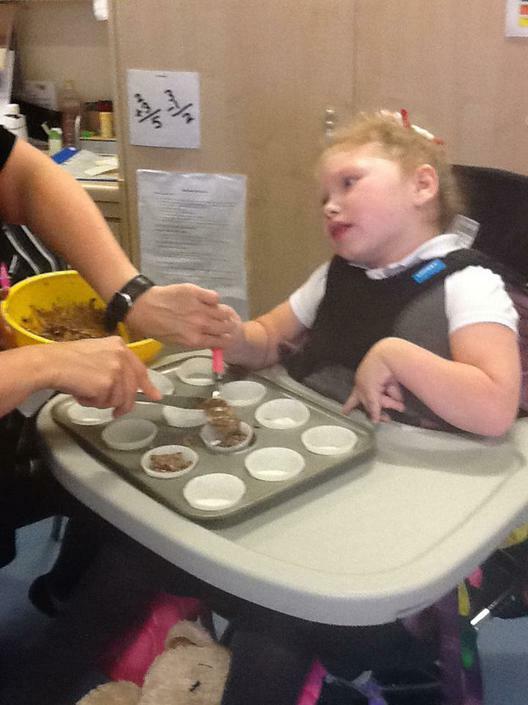 COOKERY: Using our senses to make some yummy cakes. 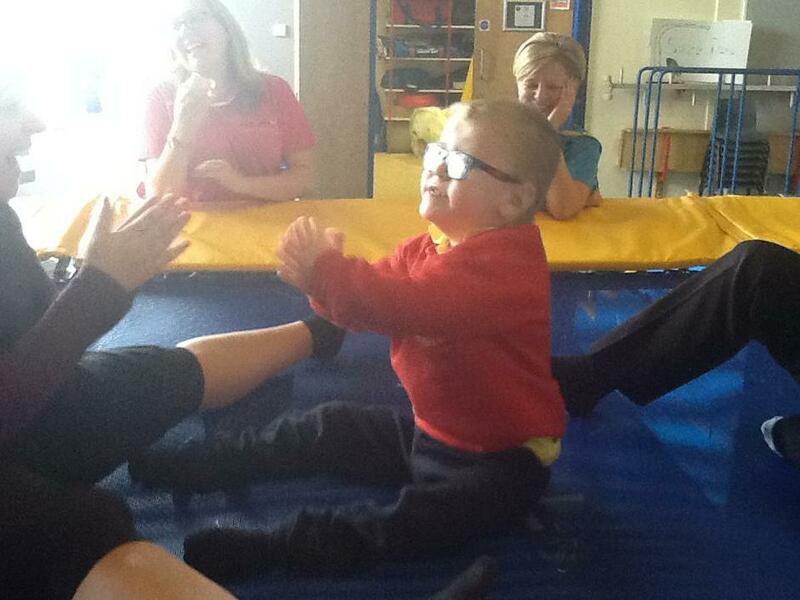 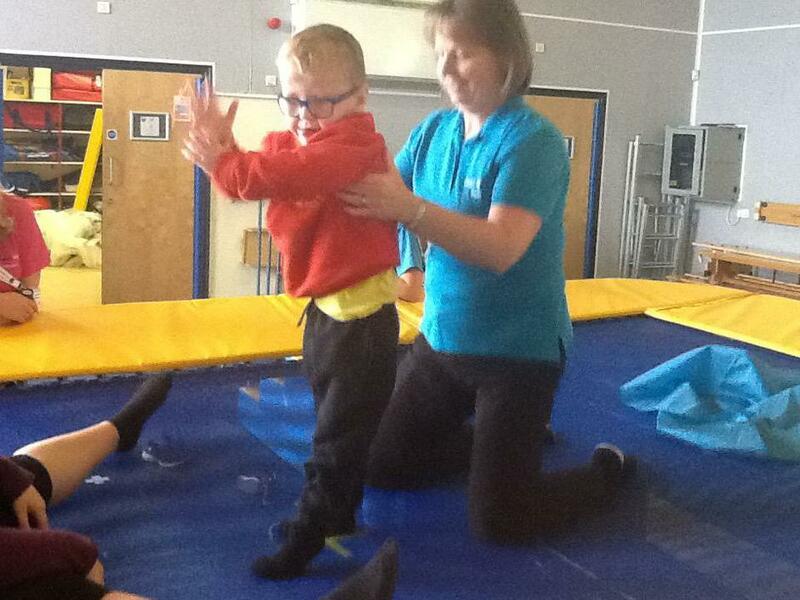 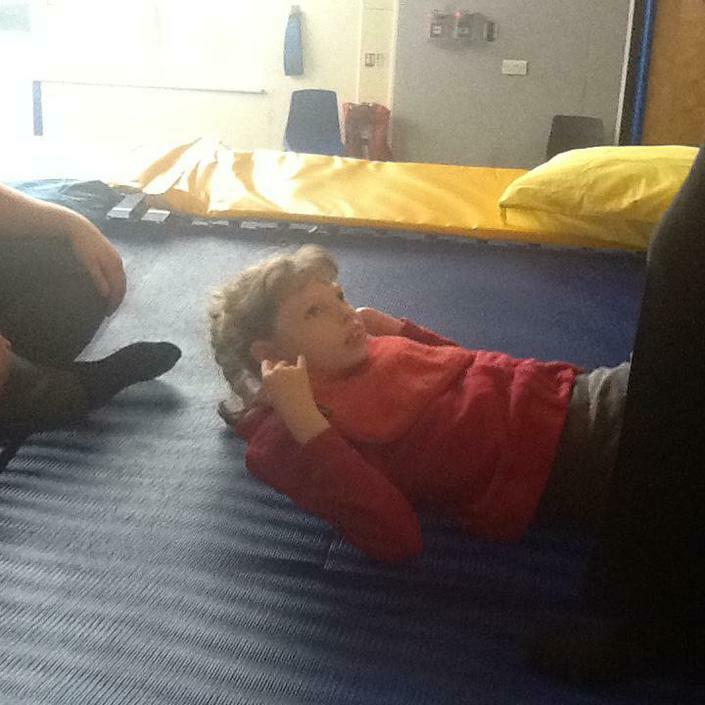 P.E: Having fun bouncing on the trampoline during Rebound Therapy. 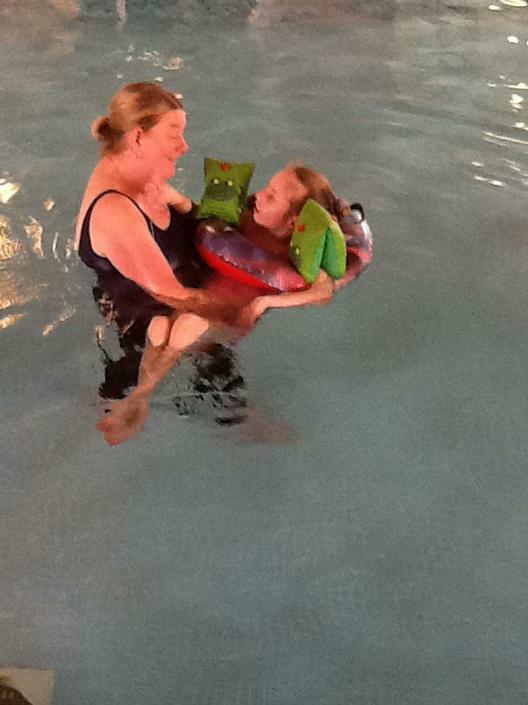 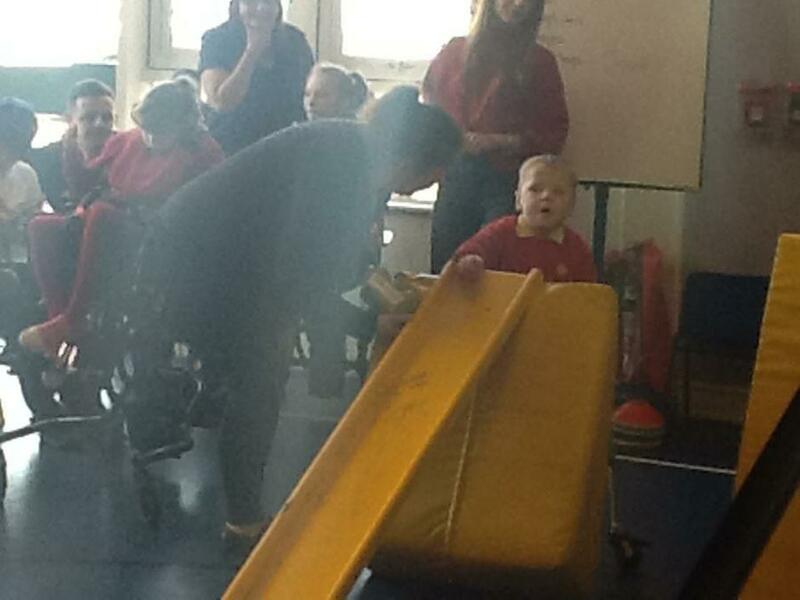 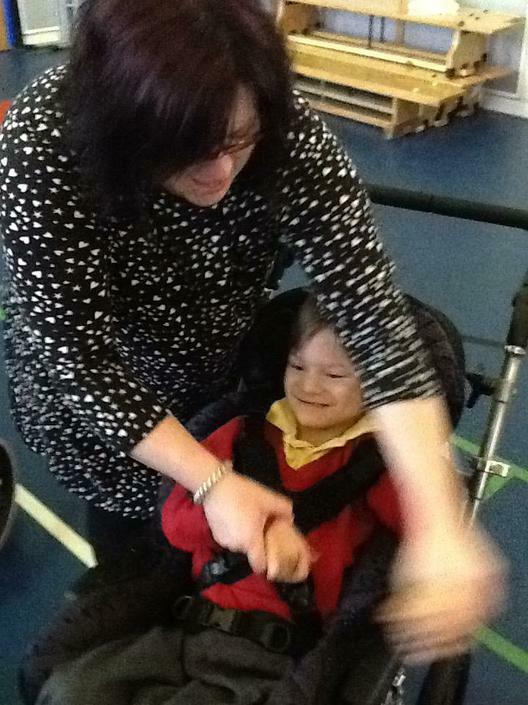 P.E: Having lots of fun splashing the staff during our swimming sessions. 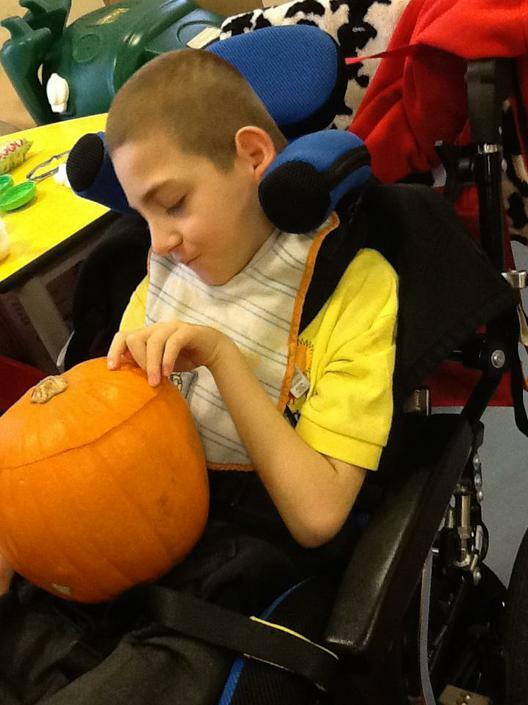 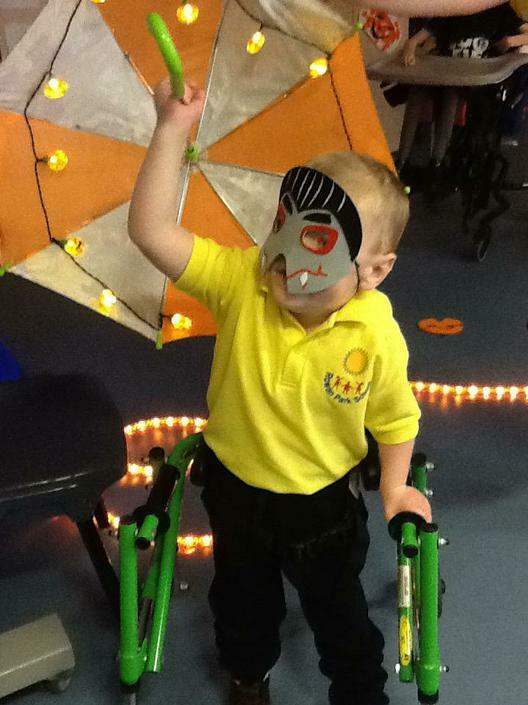 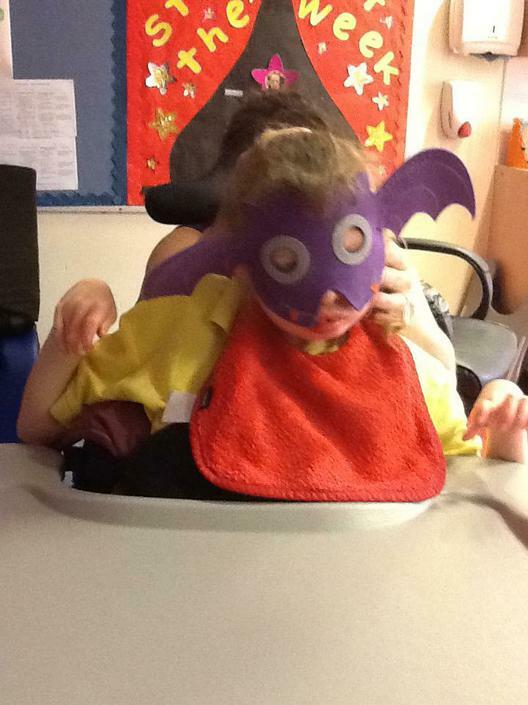 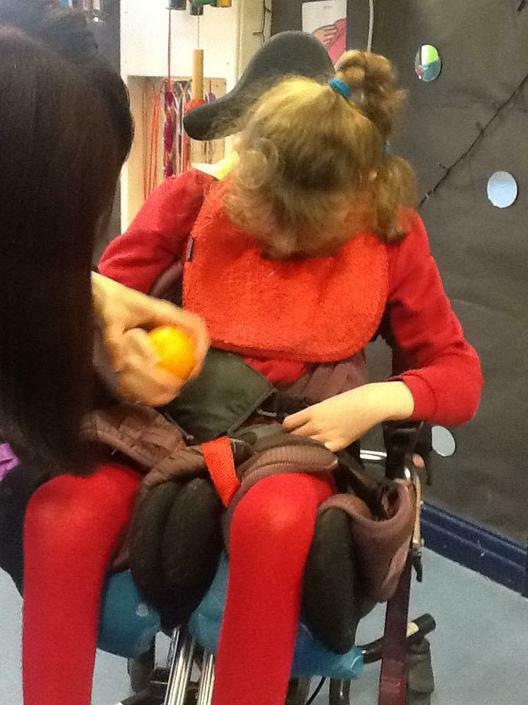 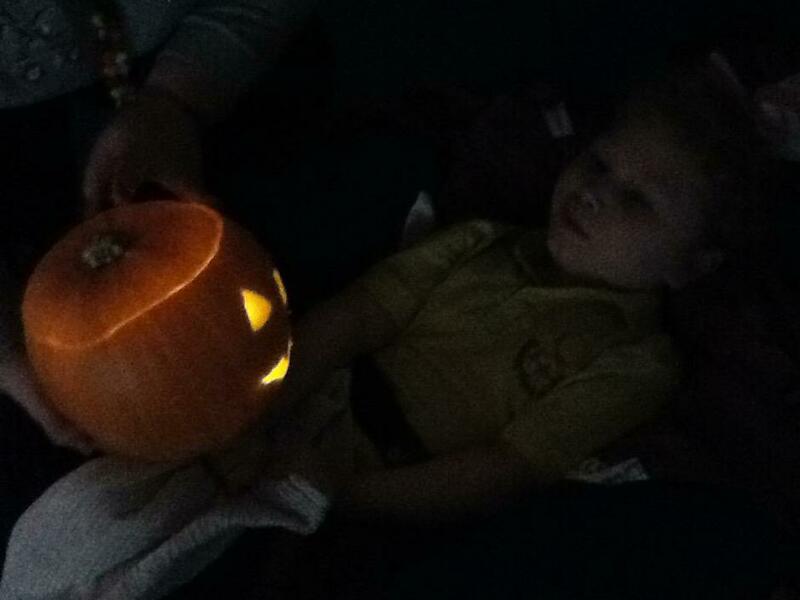 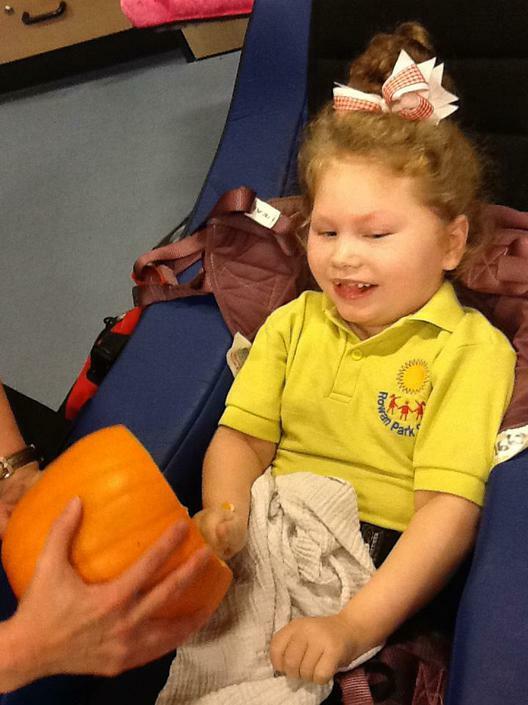 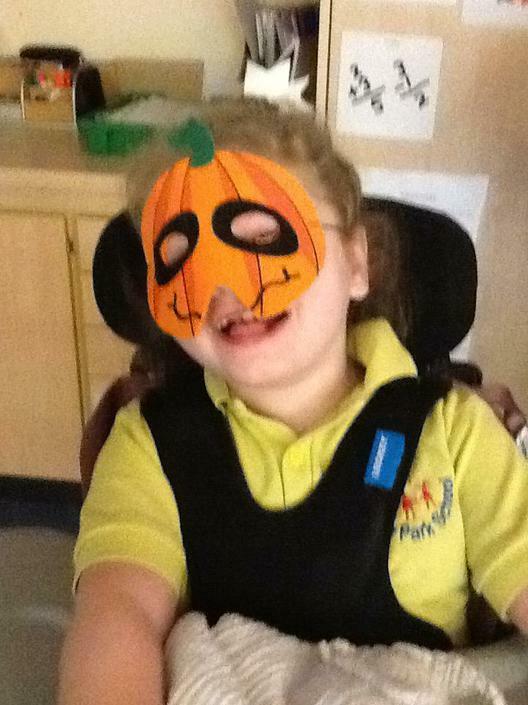 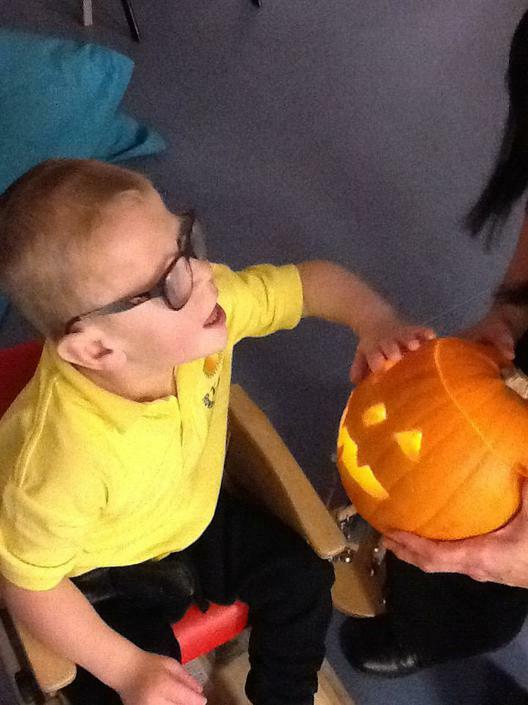 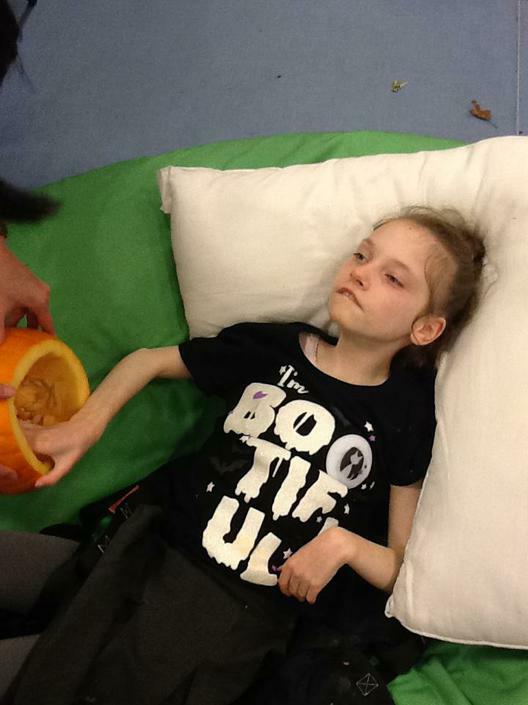 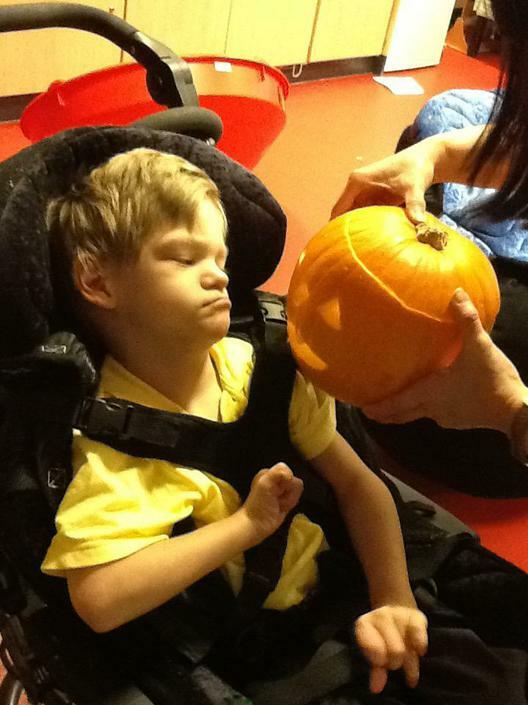 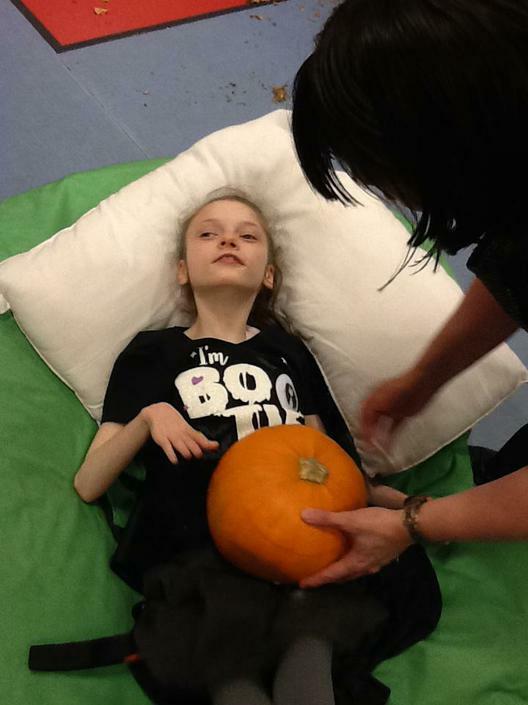 HALLOWEEN: Foxes class had LOTS of fun during our sensory activities, feeling and smelling the pumpkin flesh and seeds, exploring the orange lights, rustling amongst the leaves, scaring the staff with our spooky masks and feeling how heavy our pumpkin was! 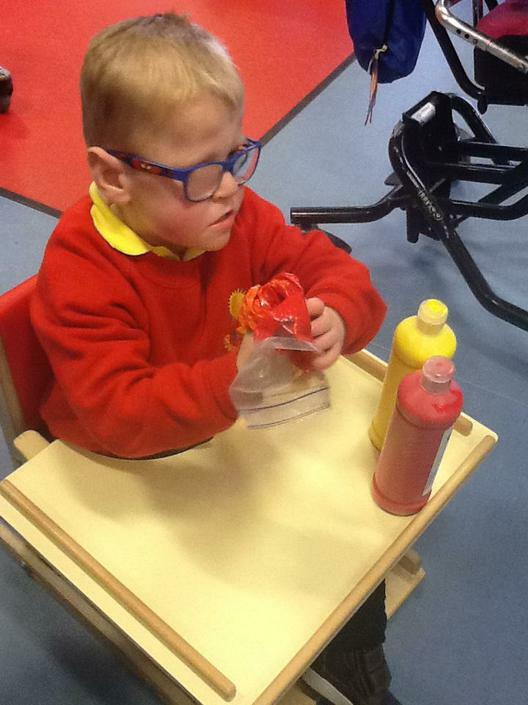 PLAYTIME: Spending time in our sensory area, playing in our new class equipment and exploring different sensory activities. 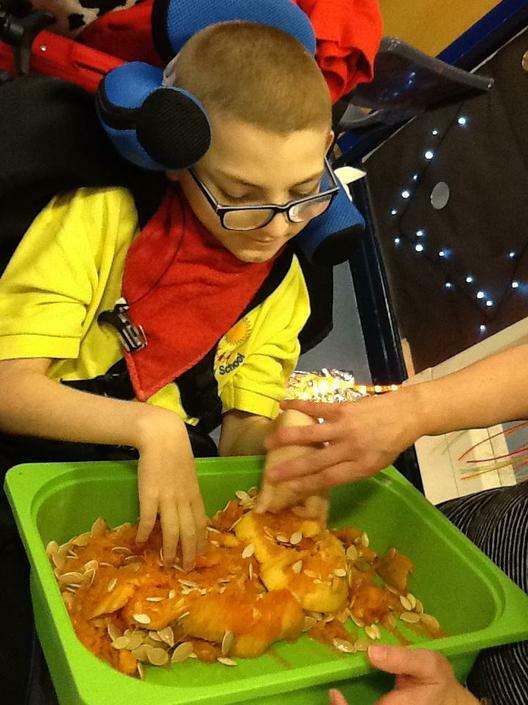 RE: FESTIVAL OF LIGHT: Foxes class participated in many activities throughout the day, making Christingles and celebrating the different religions from around the World. 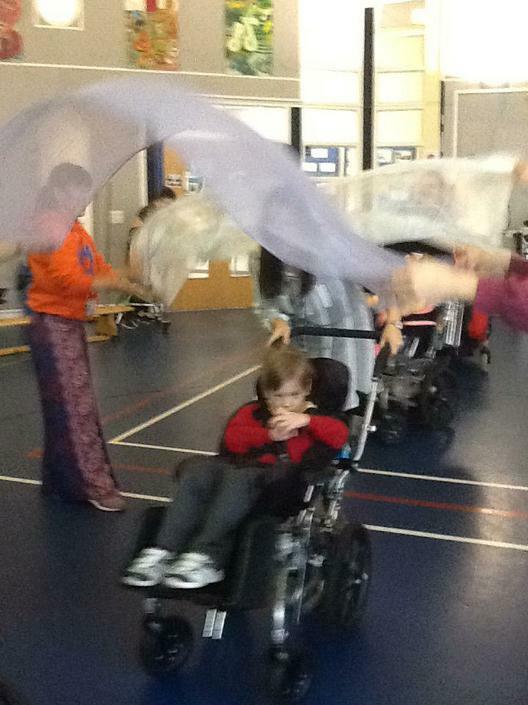 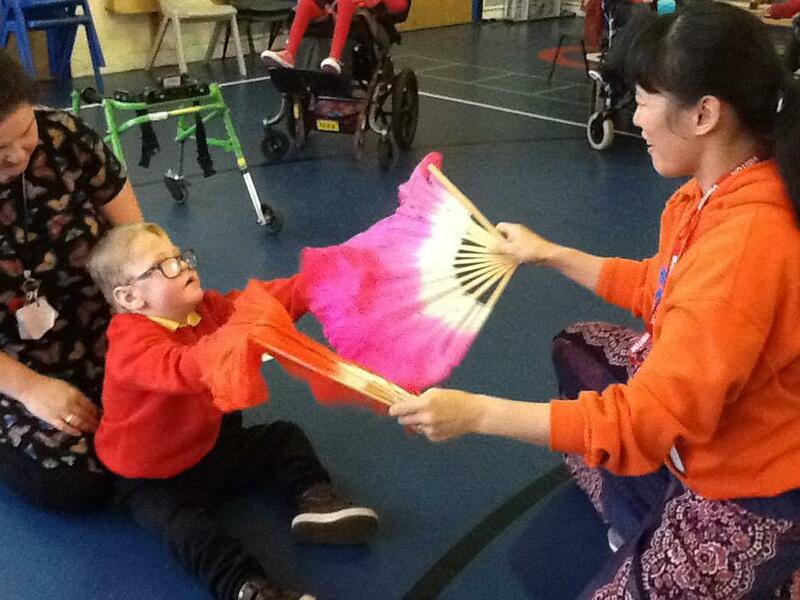 Favourites of ours, was dancing along to the Chinese music with scarves and fans and exploring meditation using our senses. 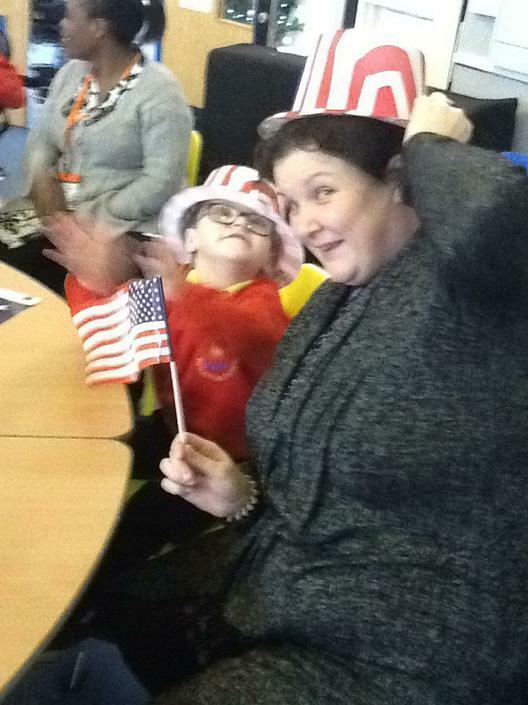 CHRISTMAS FROM AROUND THE WORLD: Our little foxes had USA as our country. 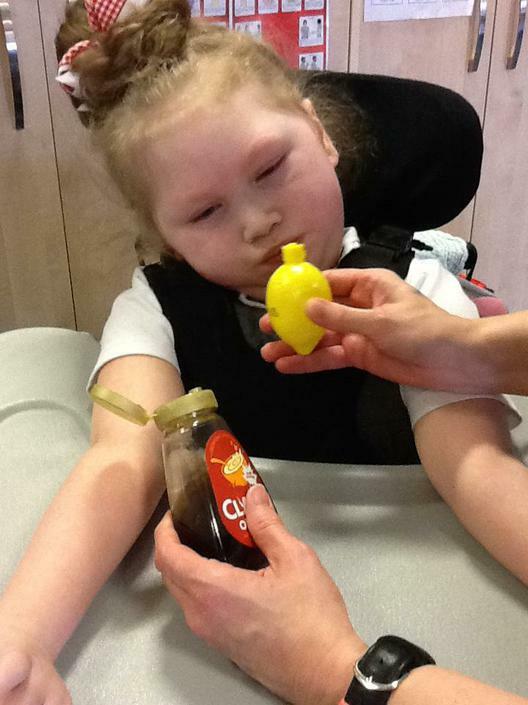 We cooked hot dogs and pancakes with syrup for the other classes to have a taste. 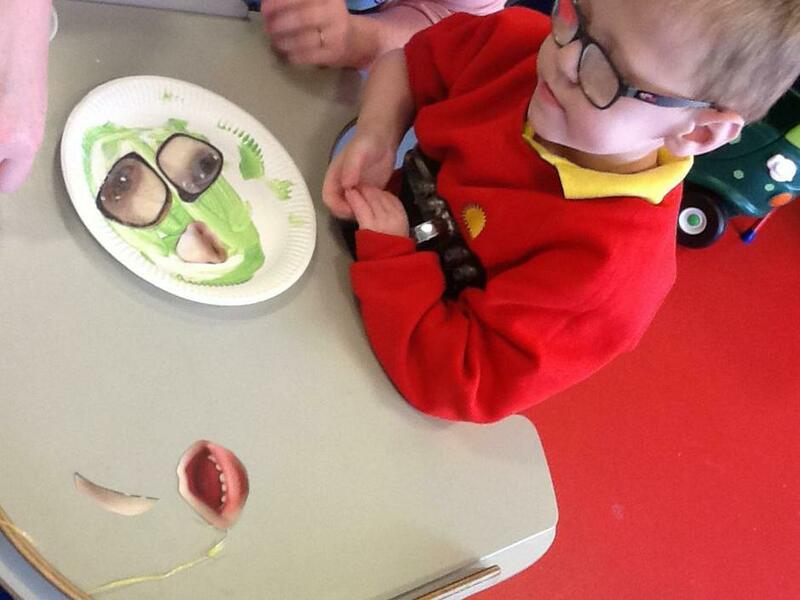 We also visited other tables to see what they had to offer. 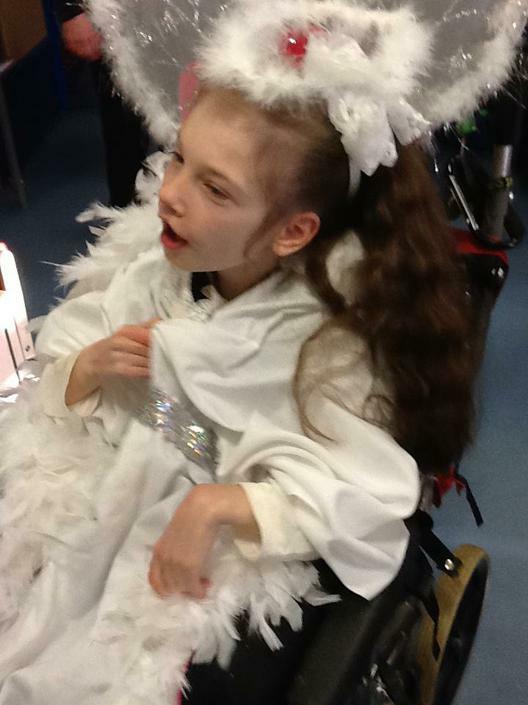 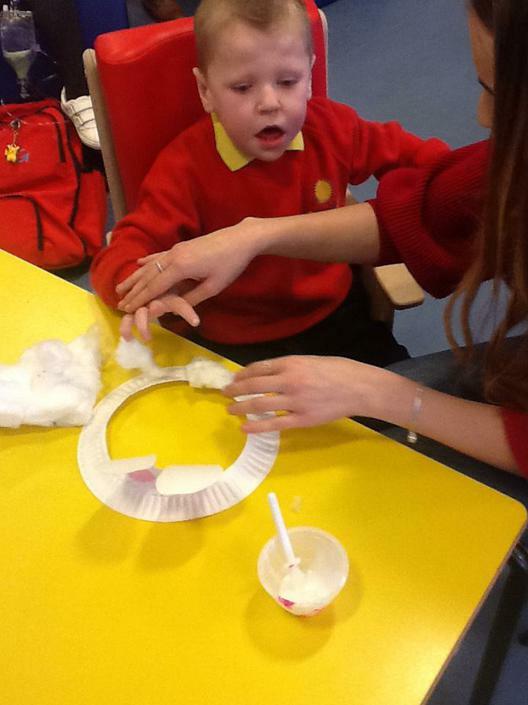 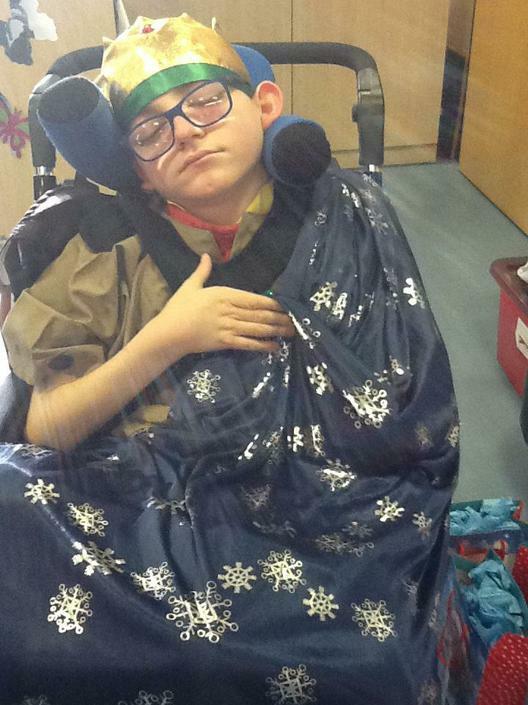 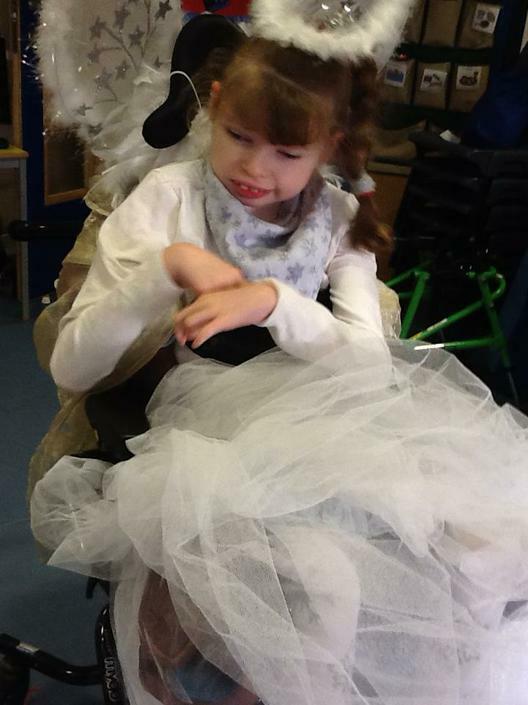 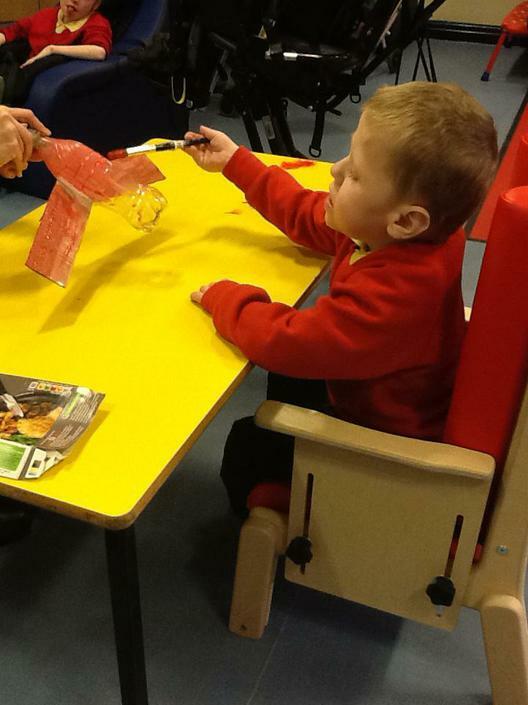 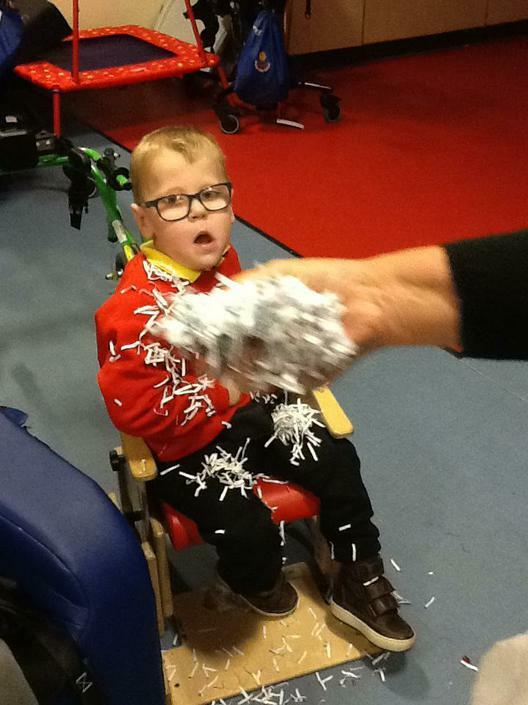 CHRISTMAS: Foxes class enjoyed dressing up, participating in a themed box book activity all about the story of Christmas, creating art work for our class calendar, producing items to sell as part of our enterprise for Christmas, taking part in the school nativity play and making a big old mess with shredded paper for our Snowmen.